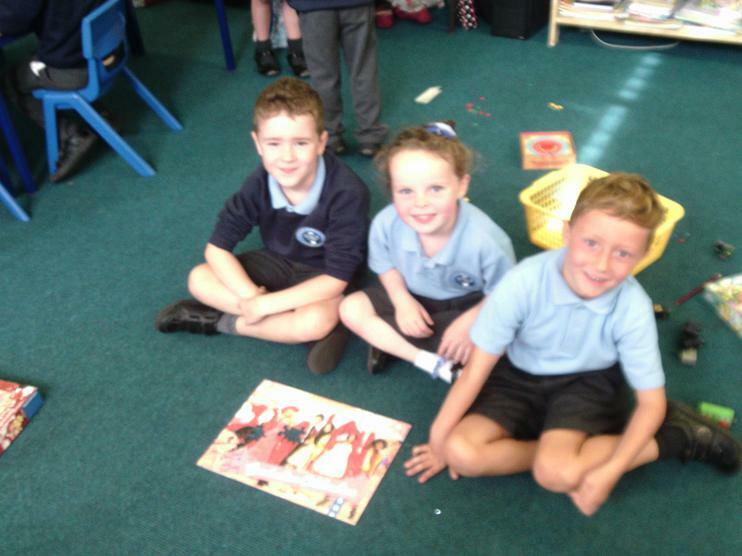 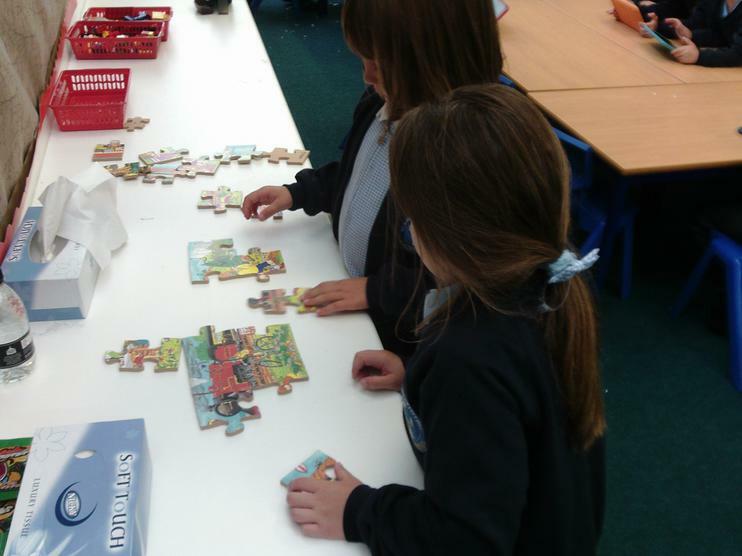 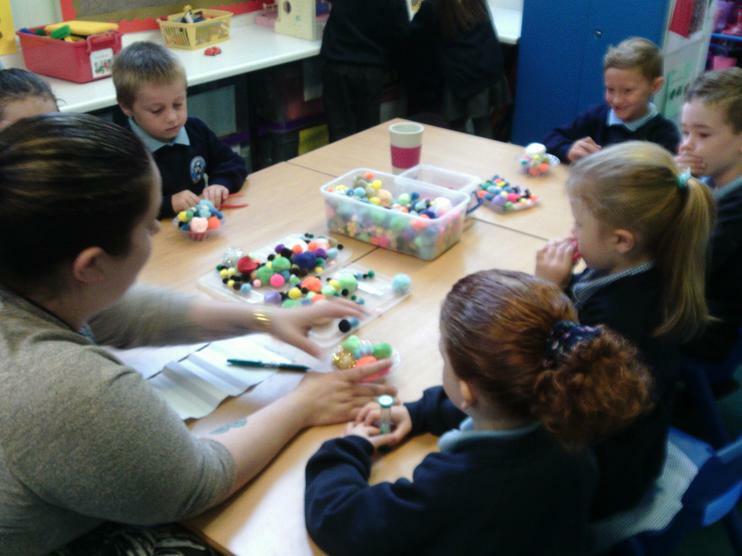 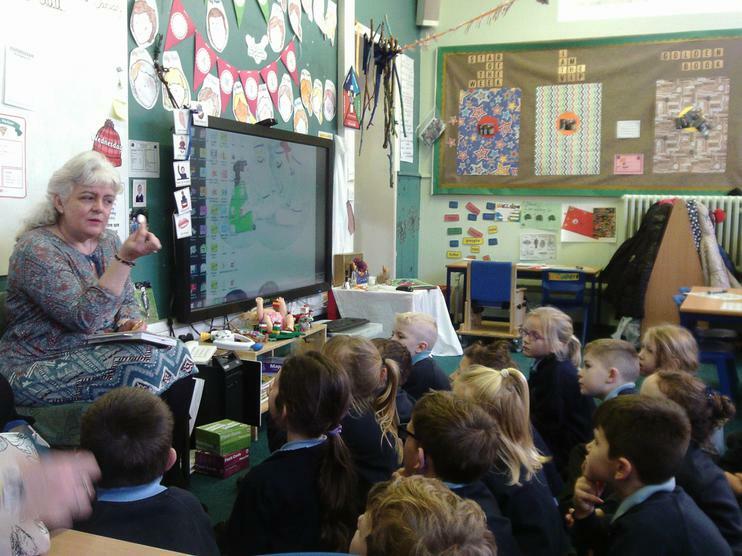 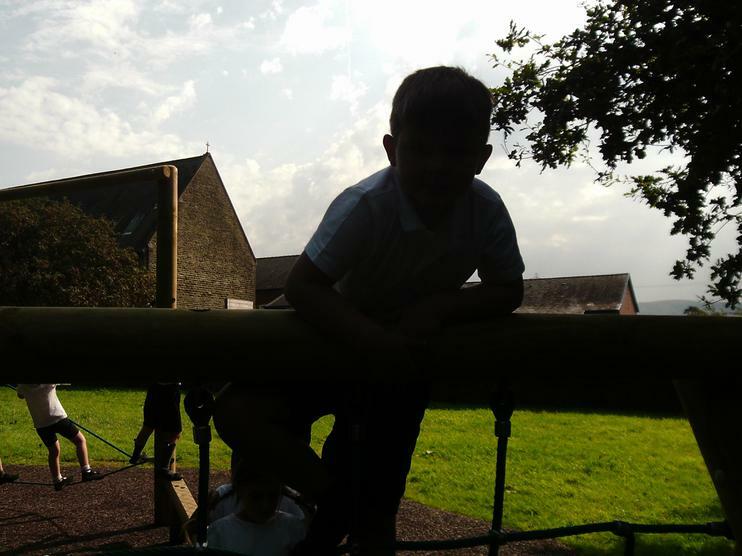 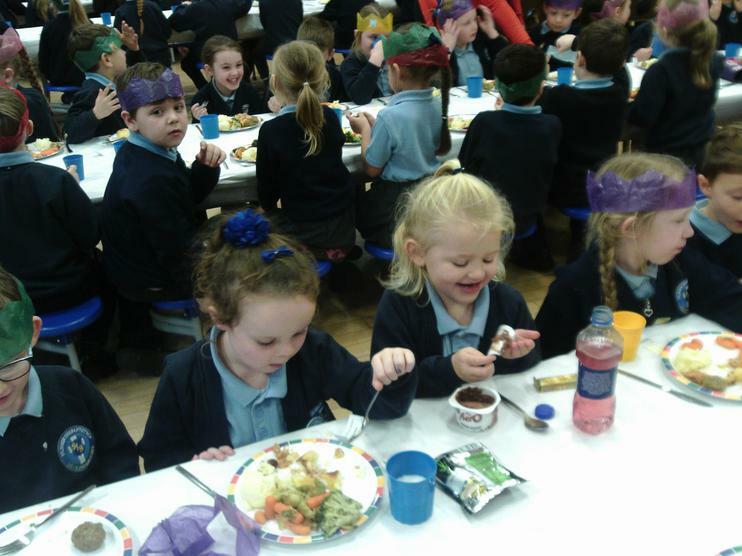 In Year 1 you will find Mrs Clough, Miss Mc Breen and Miss Barnes every day. 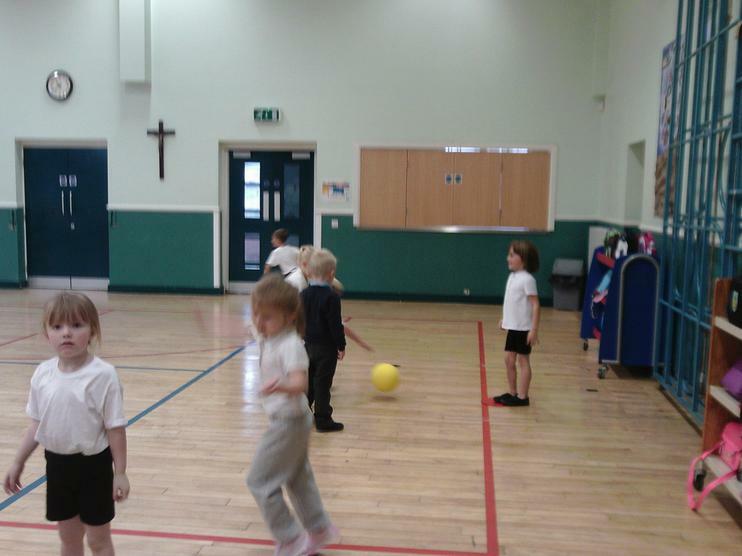 On Monday Mr Kelly joins us in the morning for PE. 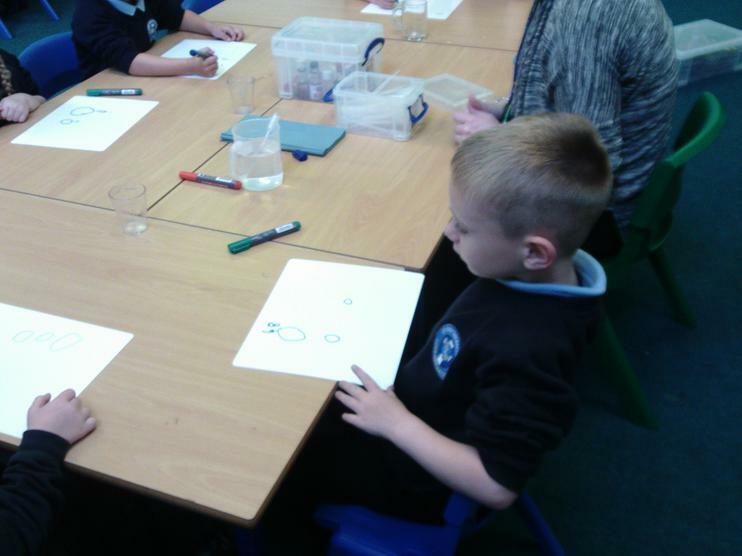 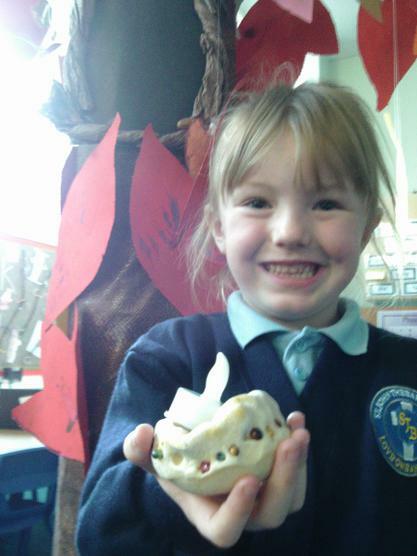 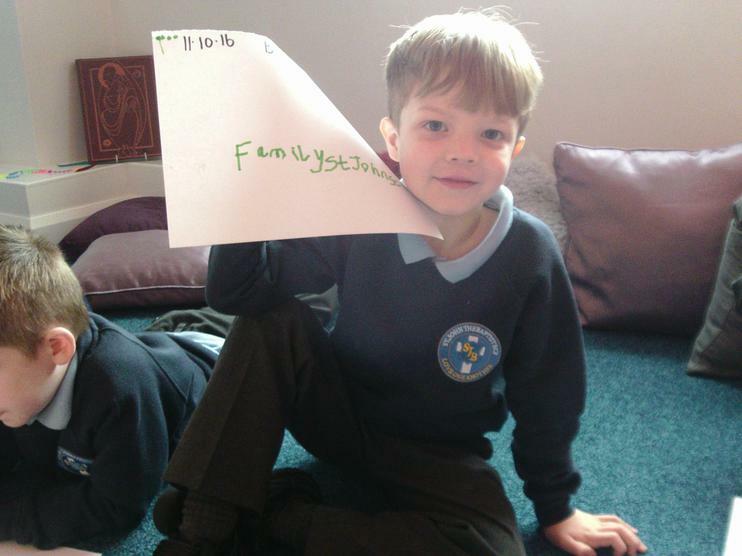 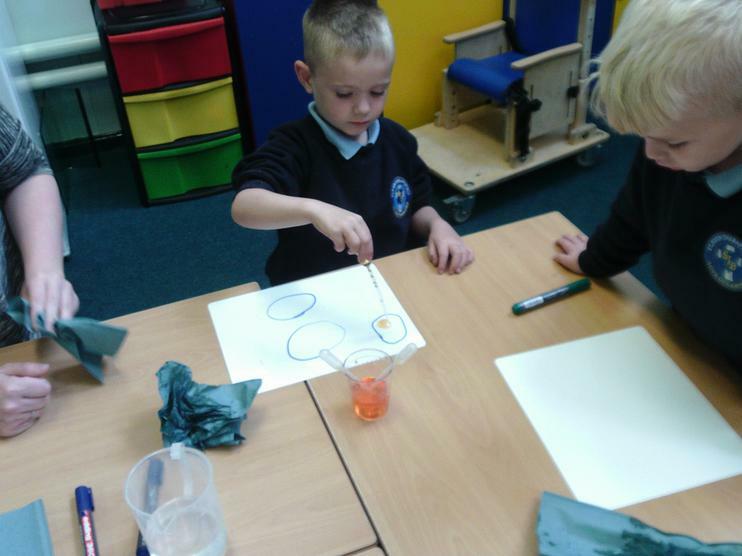 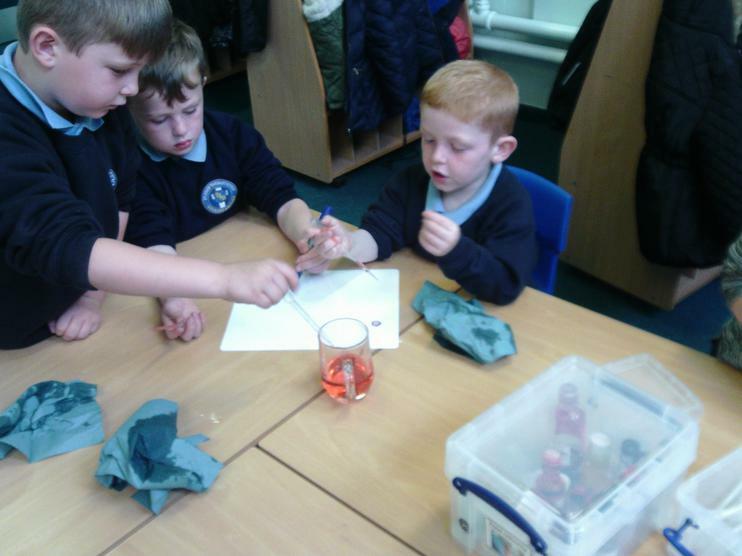 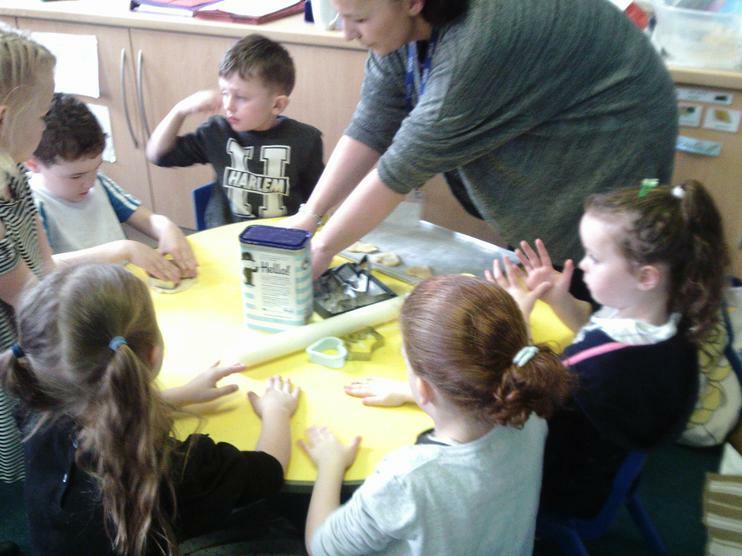 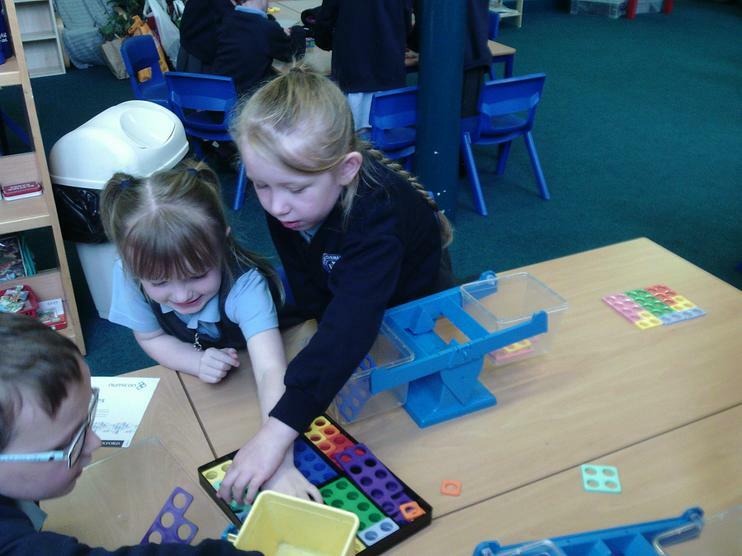 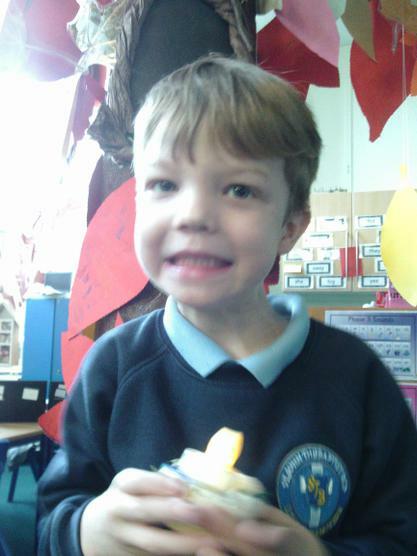 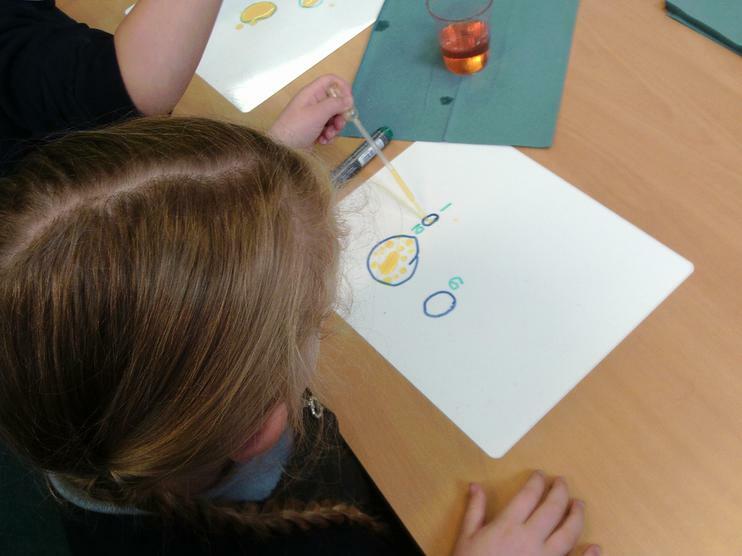 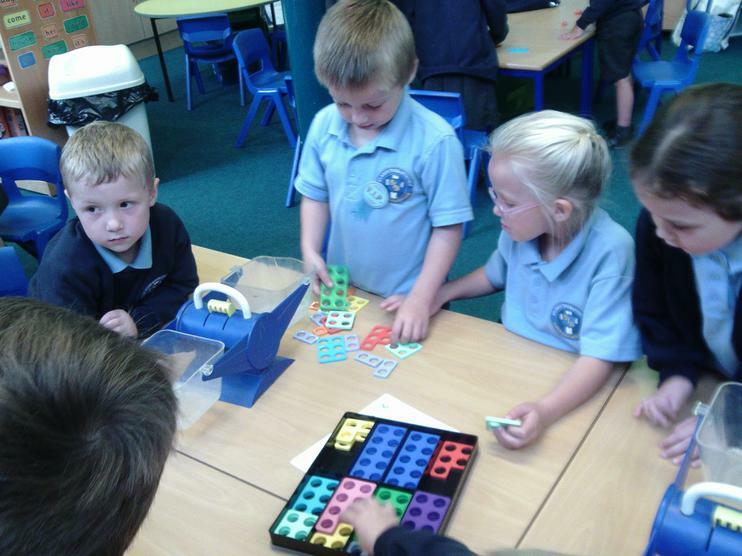 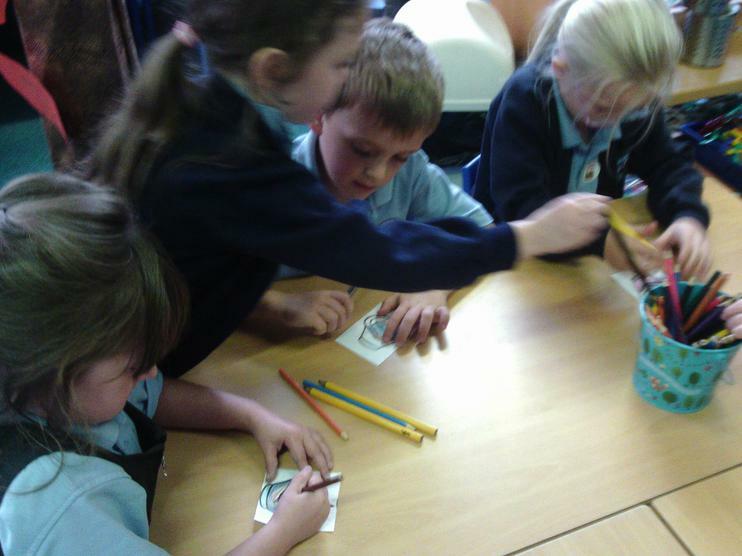 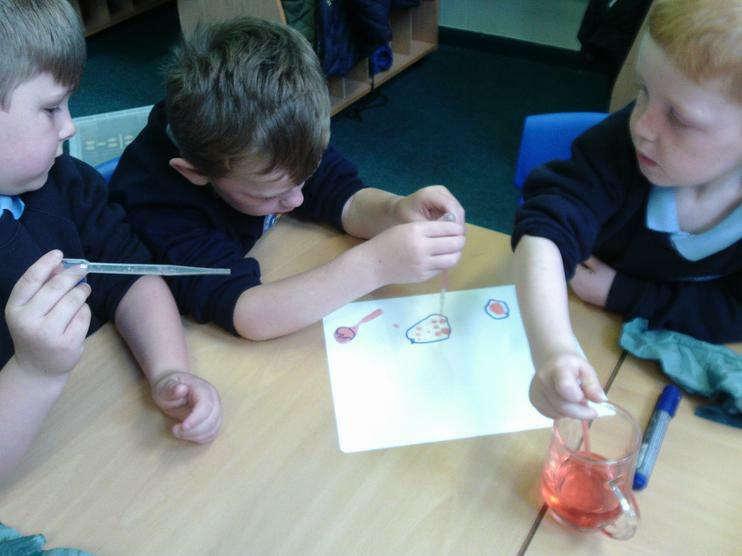 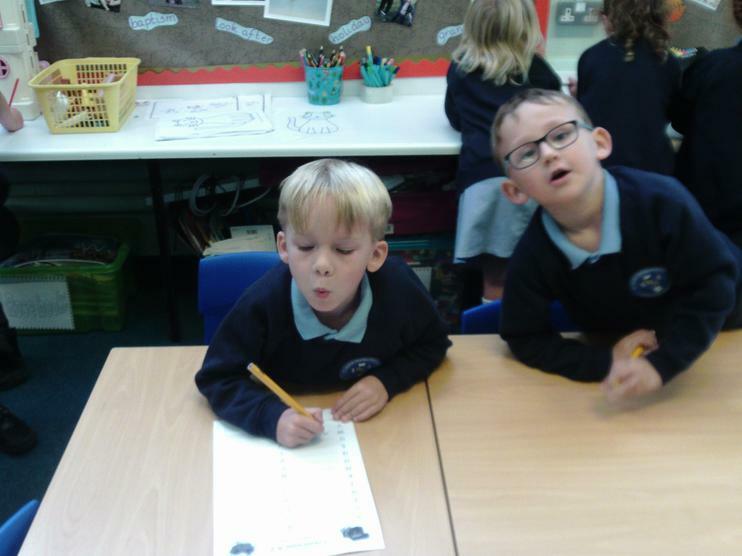 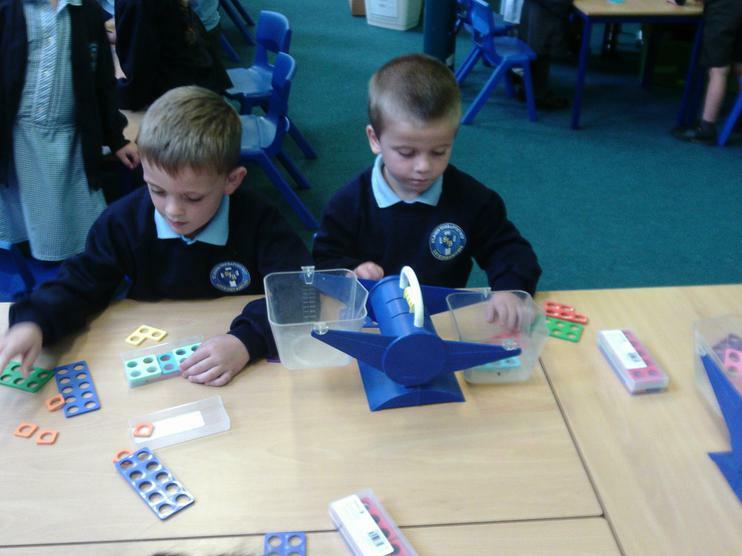 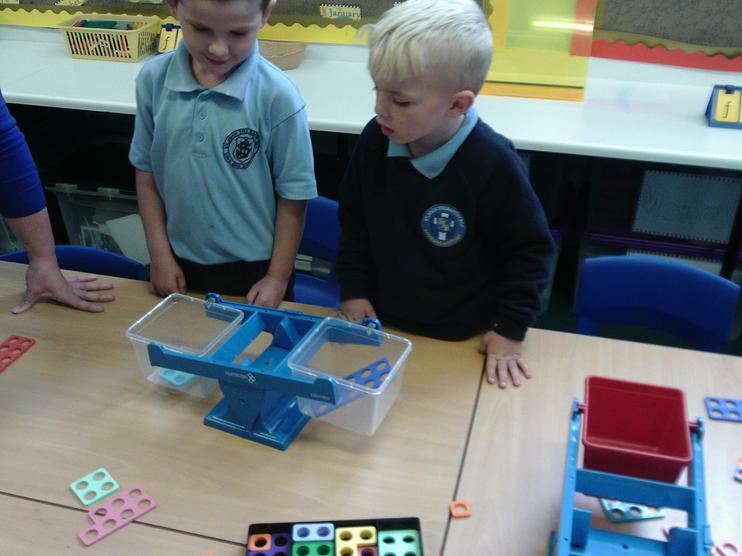 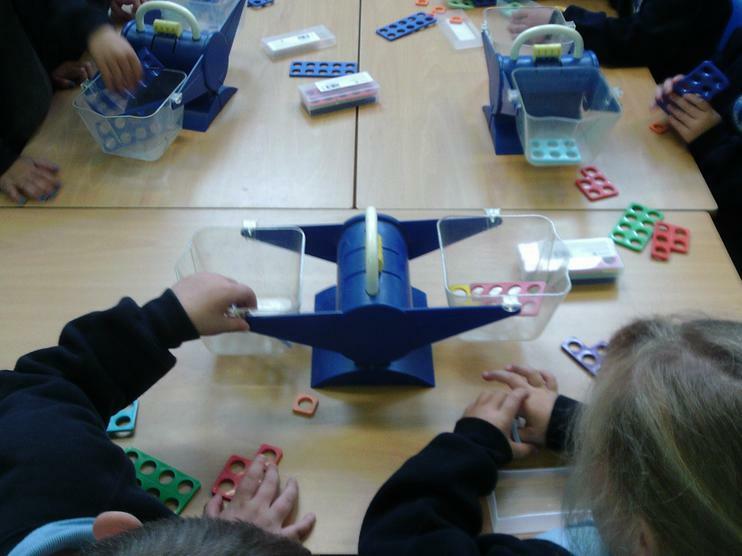 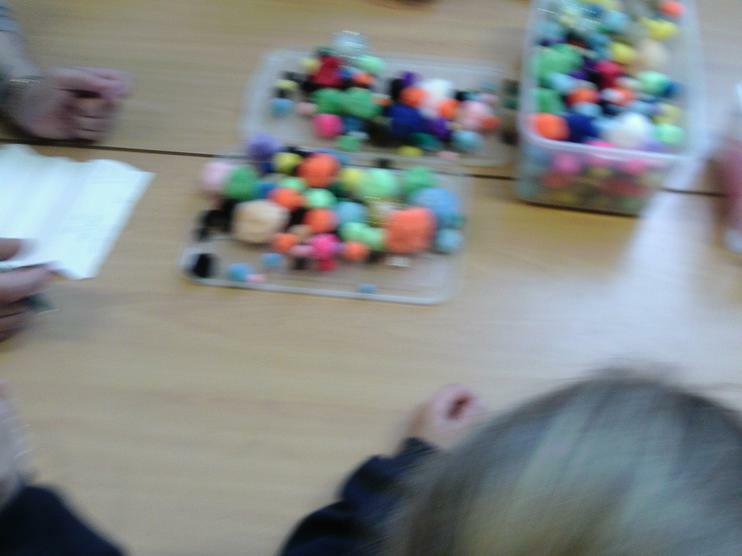 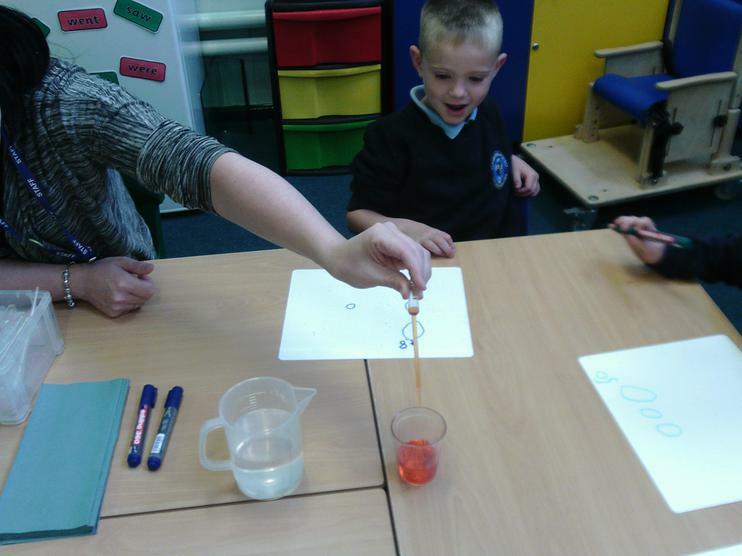 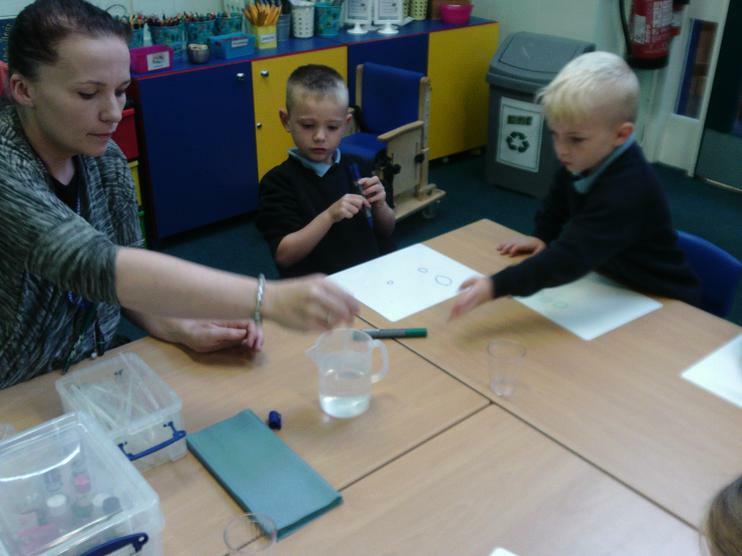 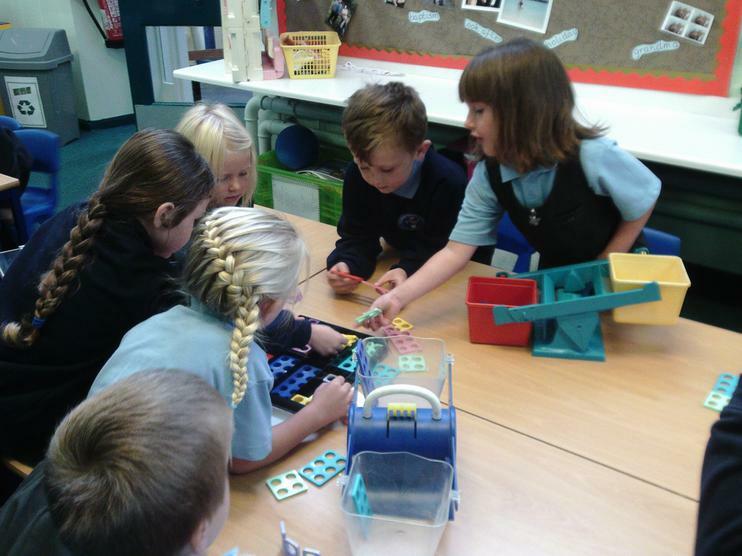 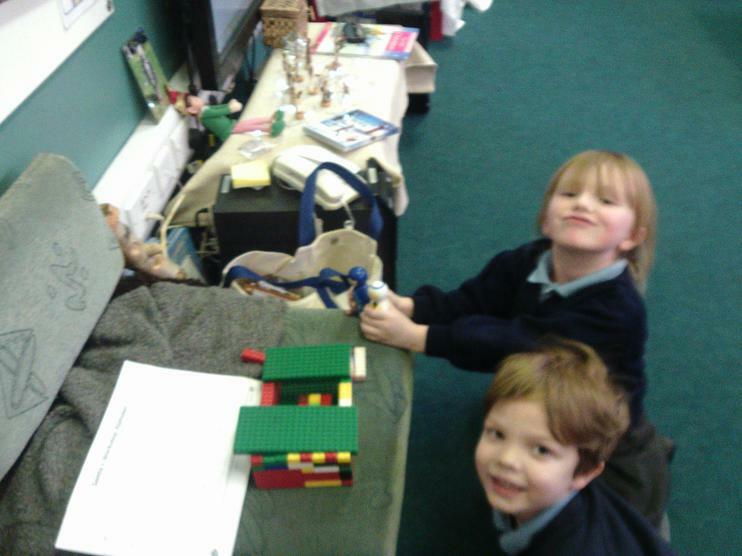 On Wednesday Mrs Byrom teaches us and on Thursday afternoon Mrs Heys teaches us Science. 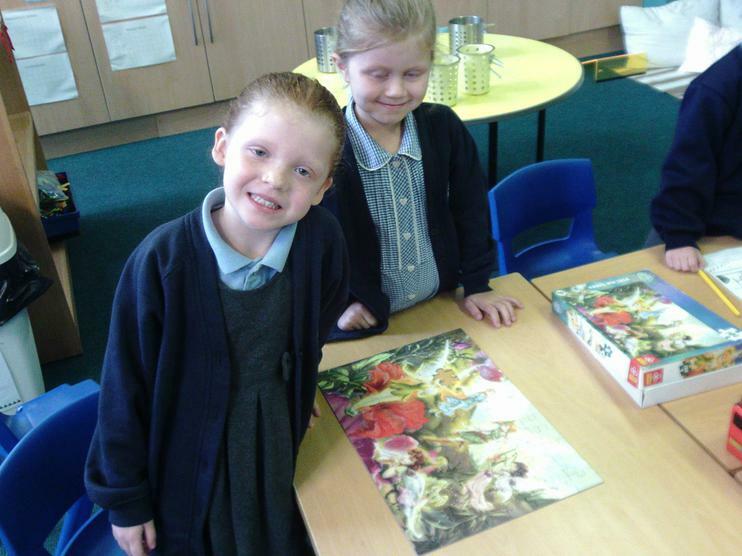 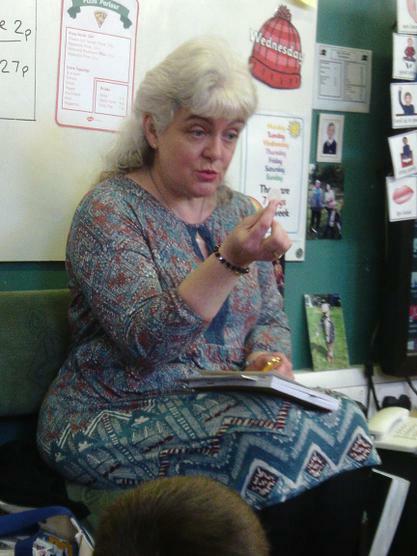 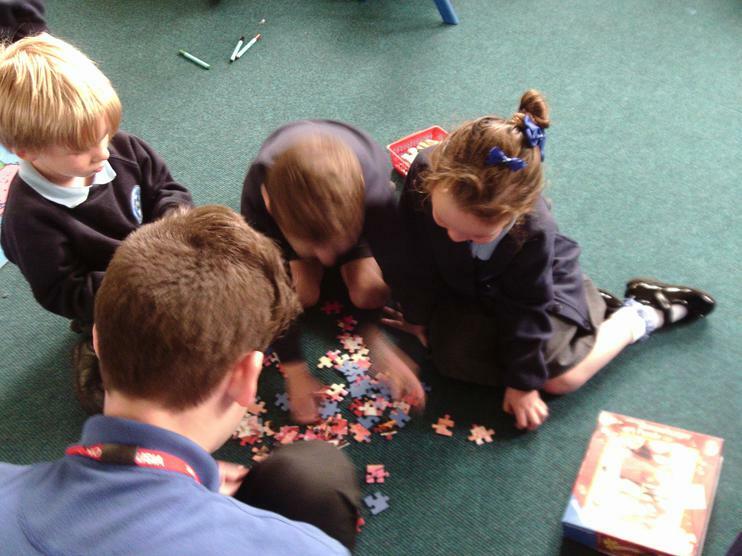 In Spring, Miss Bradley has joined us and will be teaching us too. 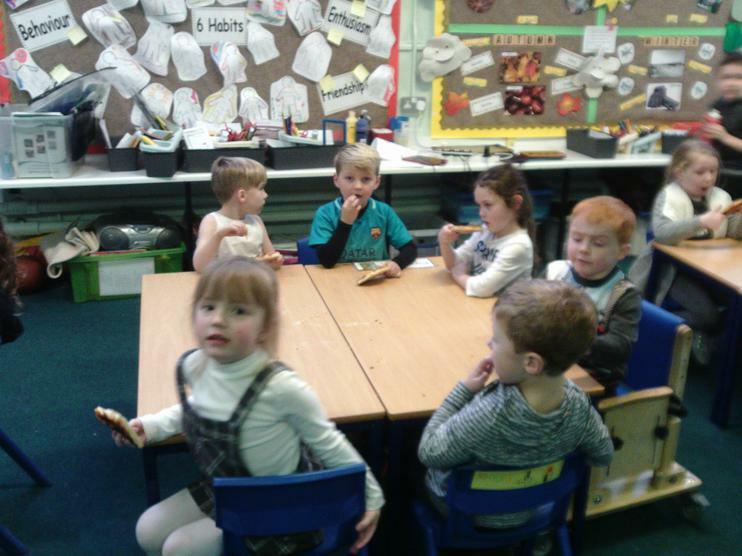 We open the doors to class at 8-50am each morning so that the children can get all their belongings sorted and be ready to learn as soon as possible. 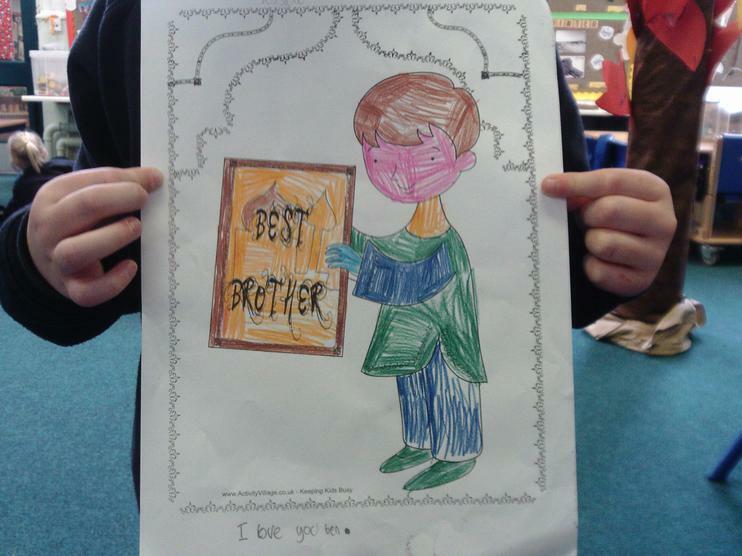 The children always do a very good job of this. 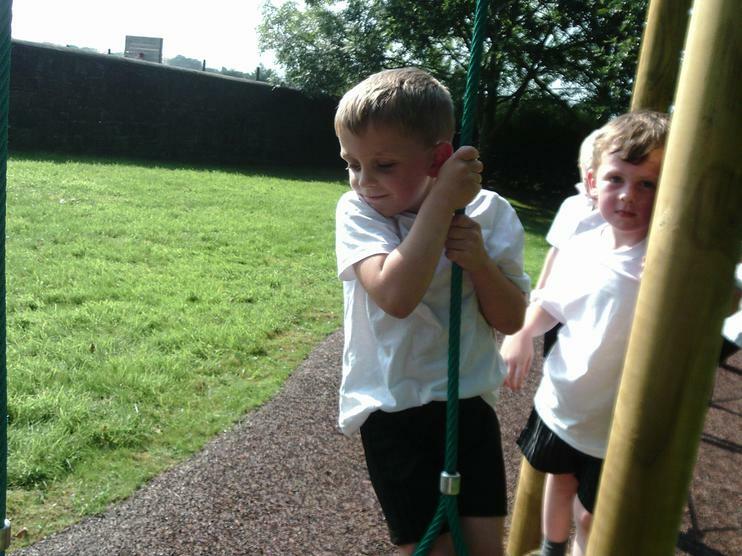 Please ensure that your child's PE bag is in school all the time. 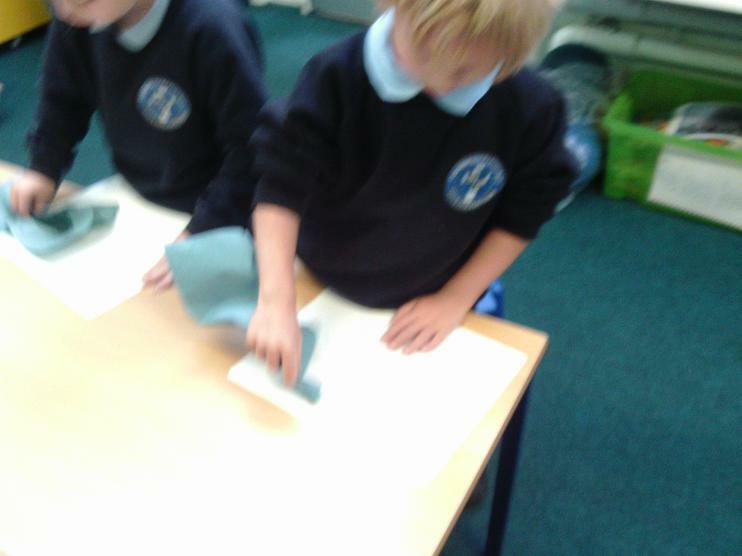 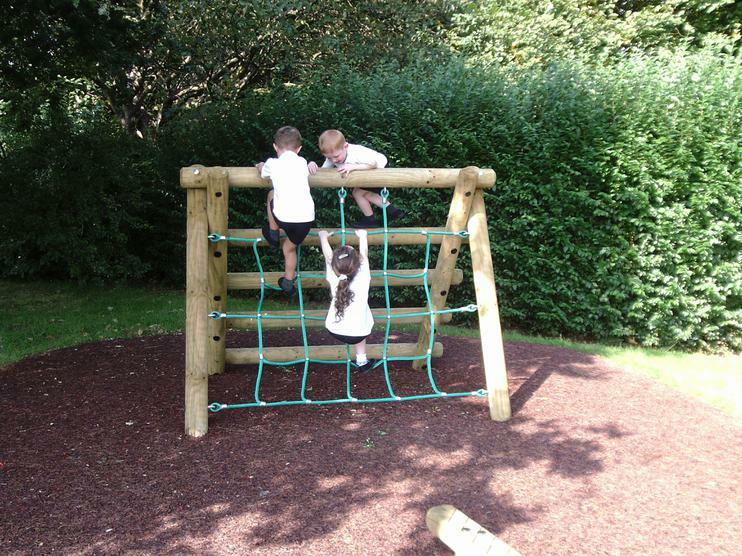 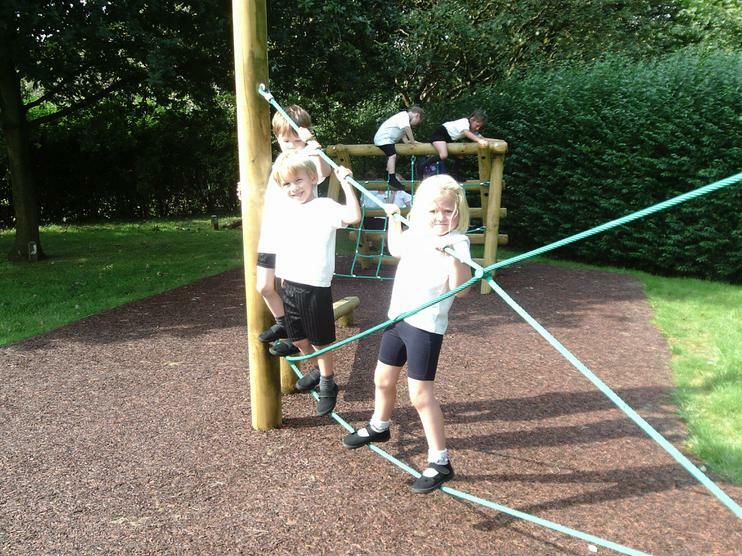 We will send it home each Half Term for a wash. 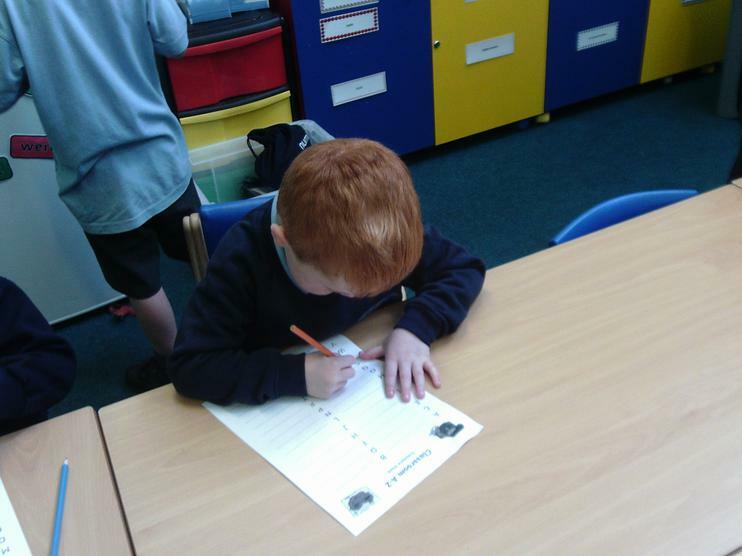 Please ensure that your child has their book bag, with Reading Book and Diary and water bottle every day. 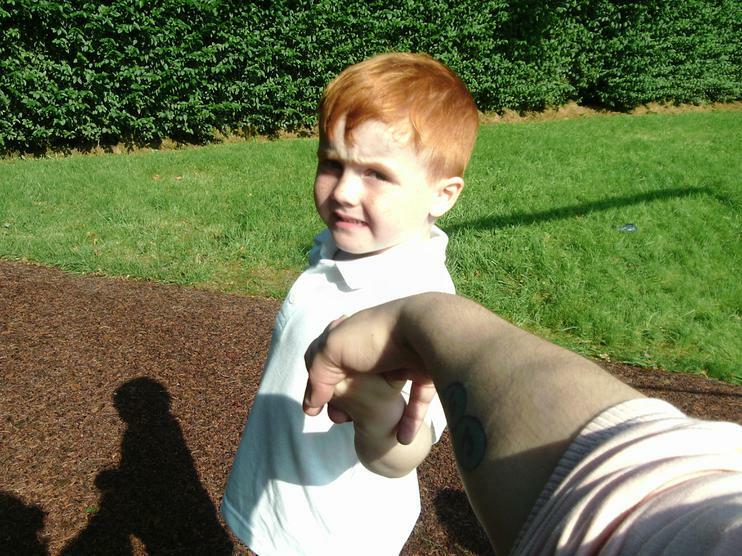 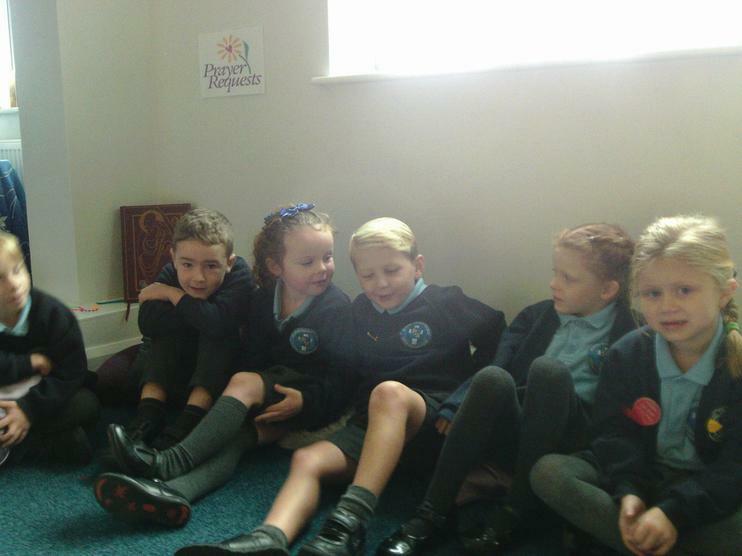 Please send your child with a coat every day. 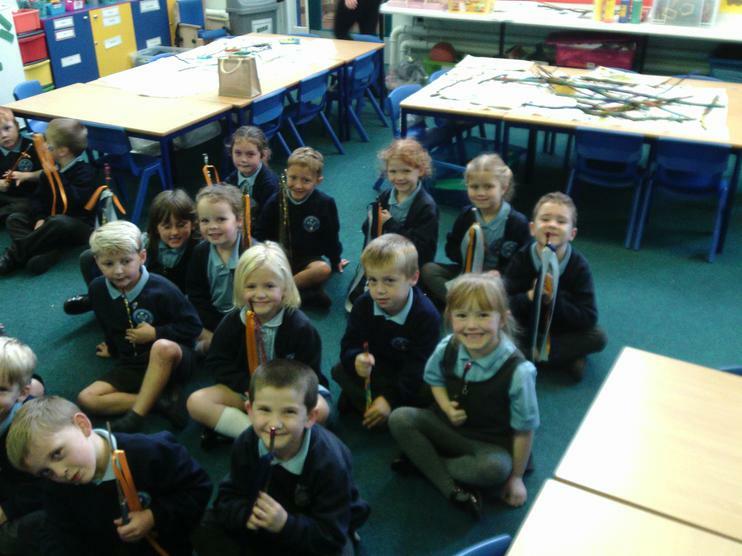 Please let your child know if there is something extra in their bag that they need to get out and give to a member of staff. 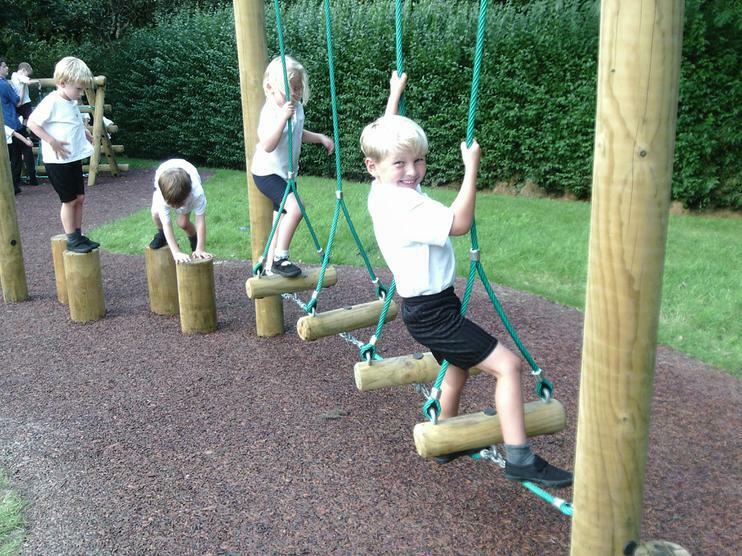 All of these things will make your child feel better in school. 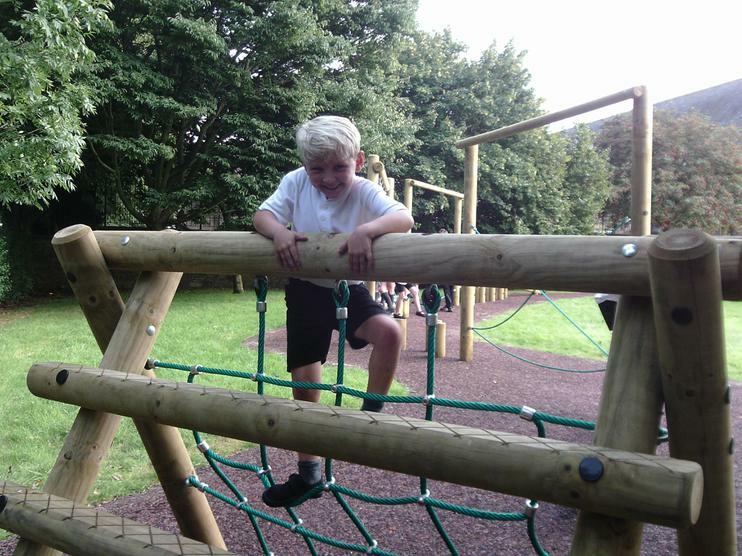 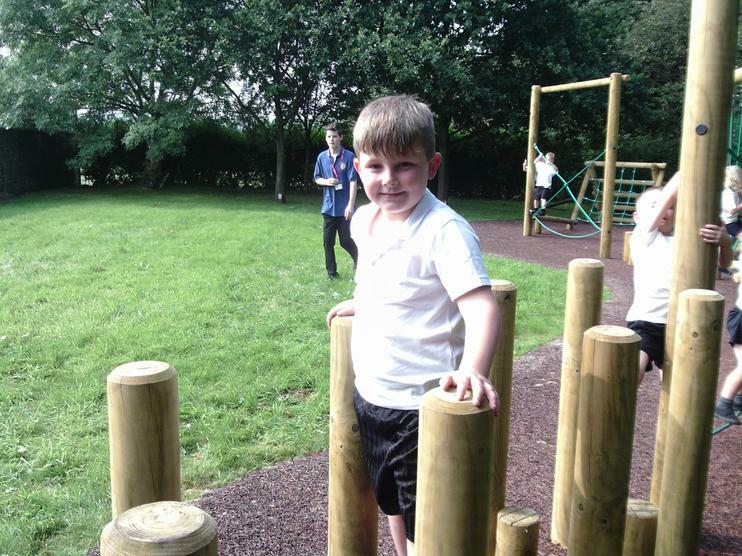 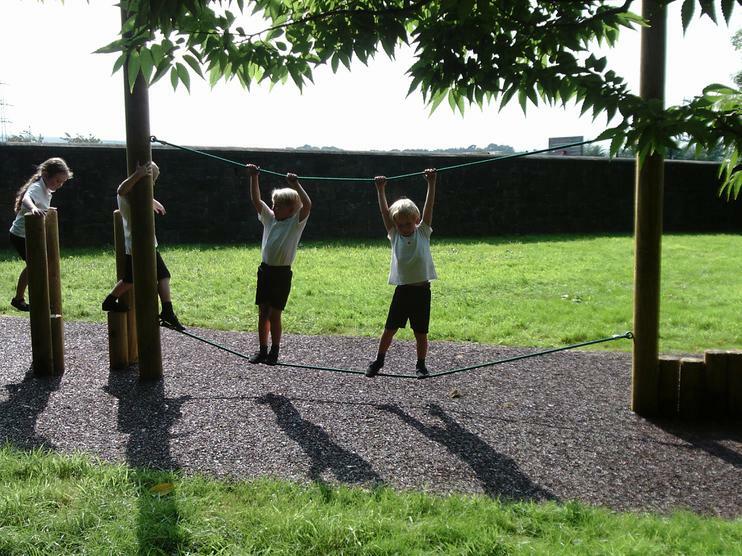 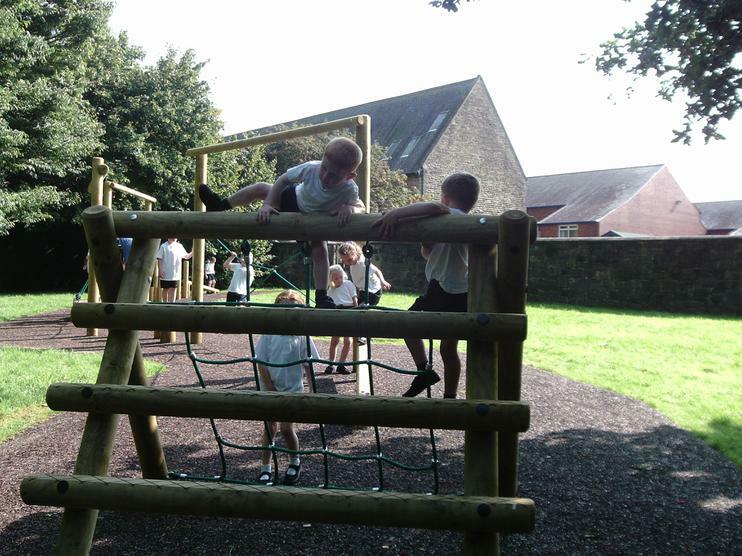 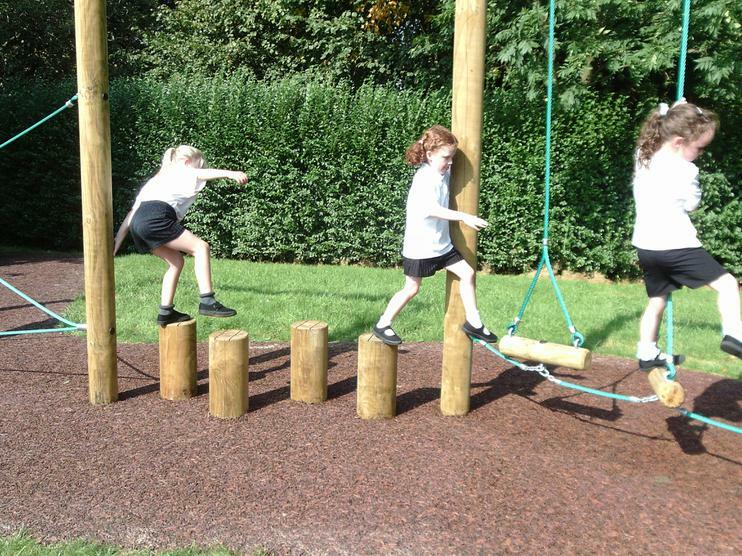 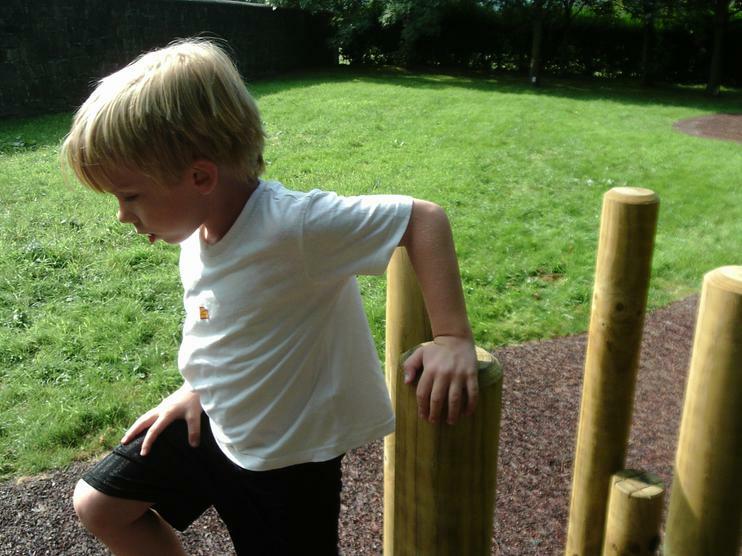 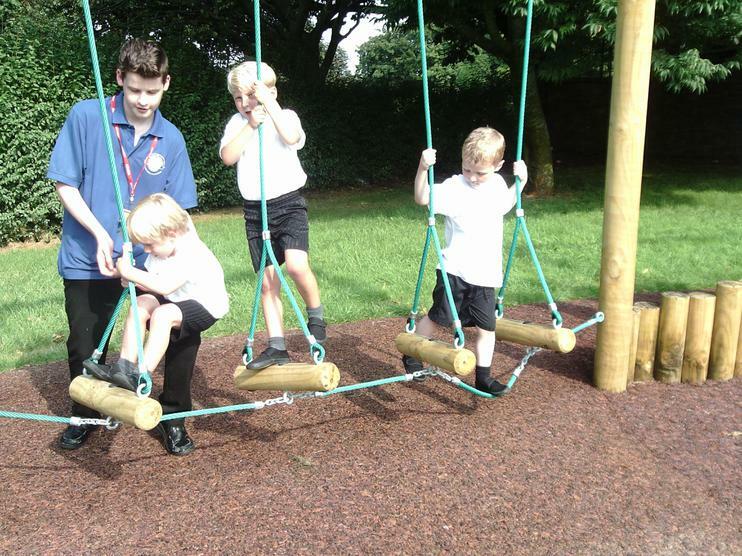 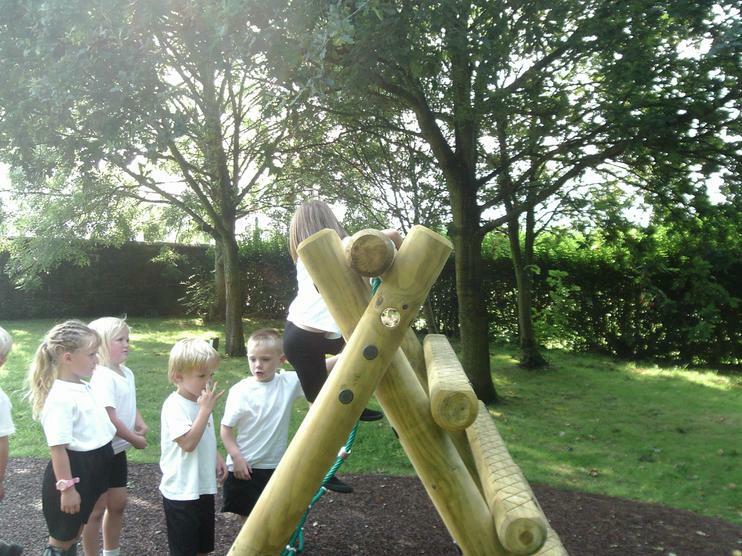 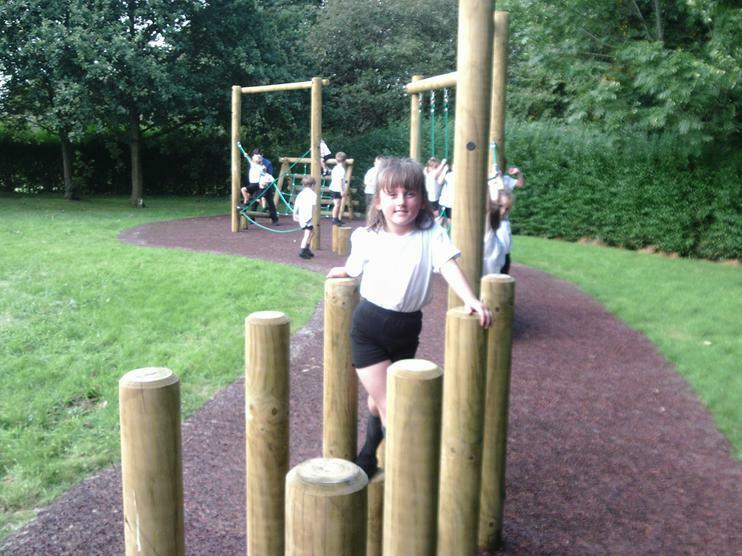 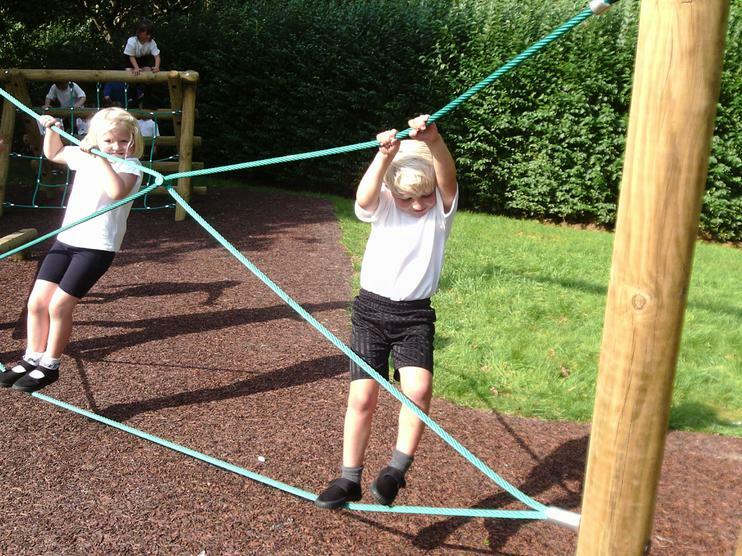 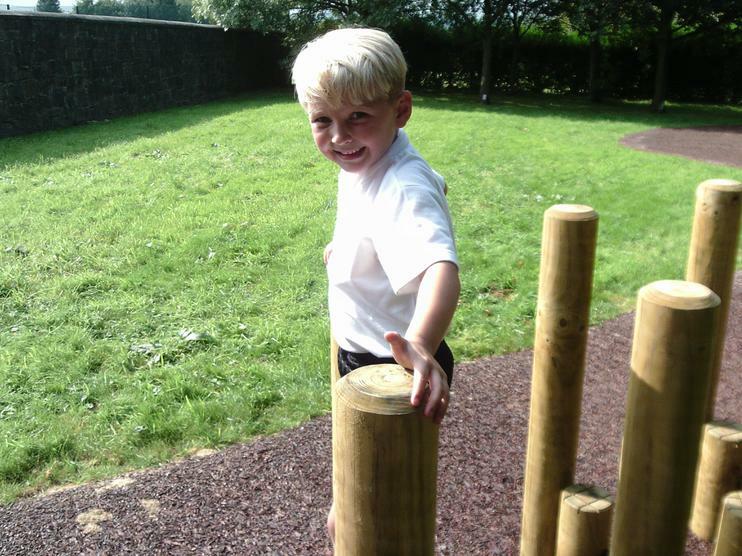 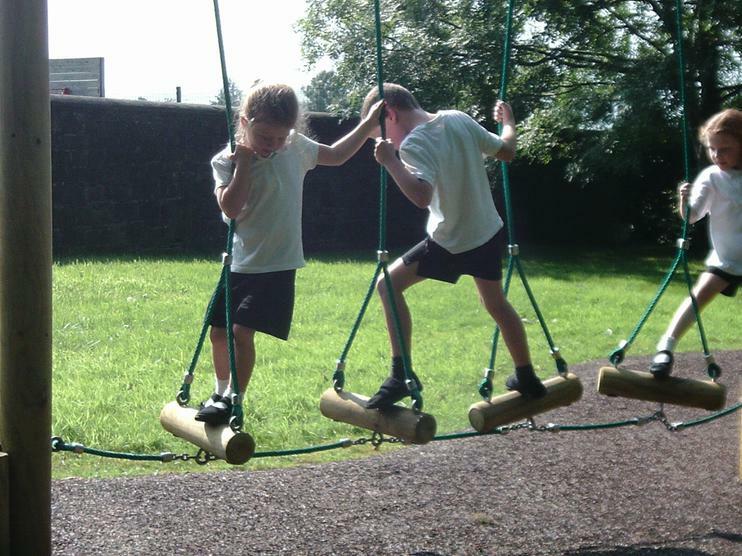 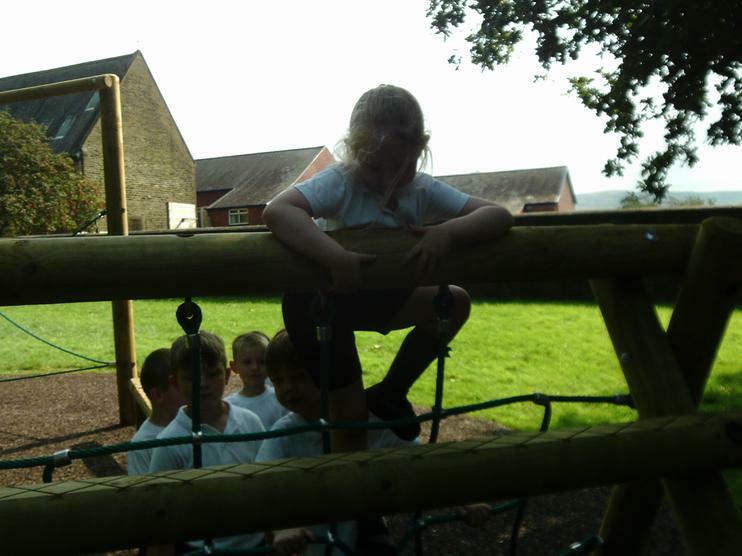 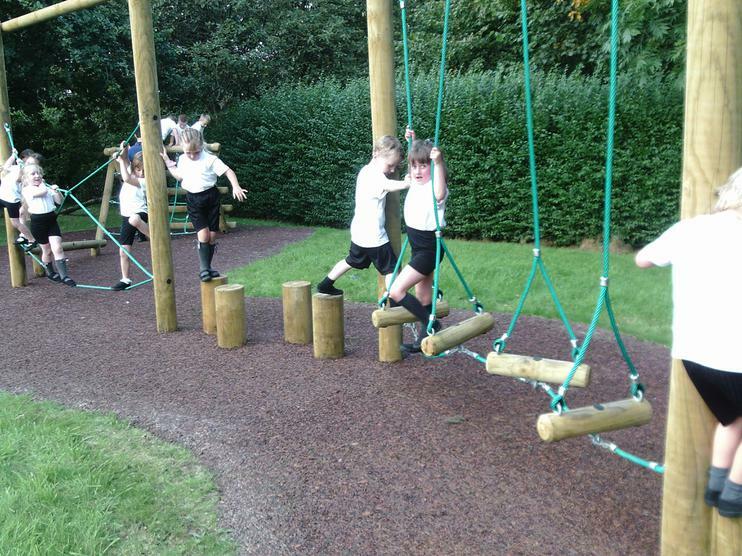 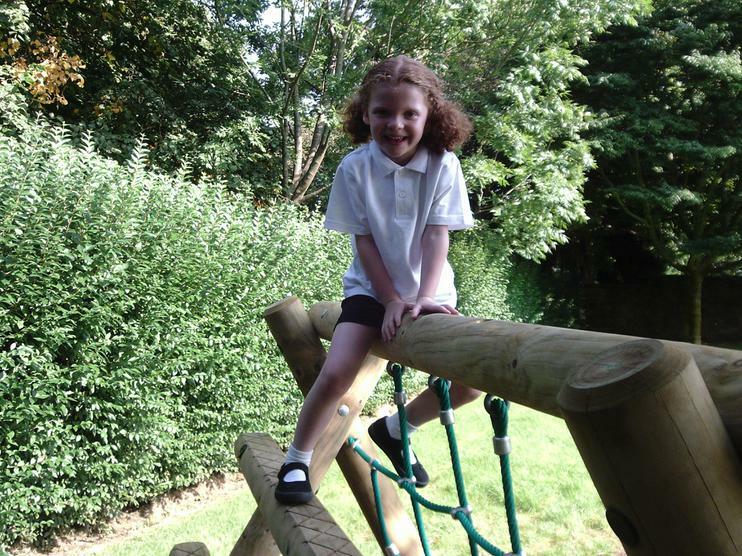 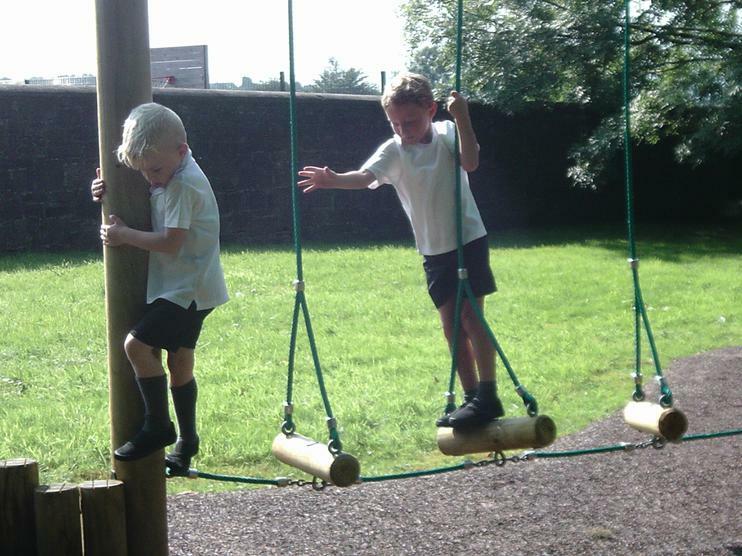 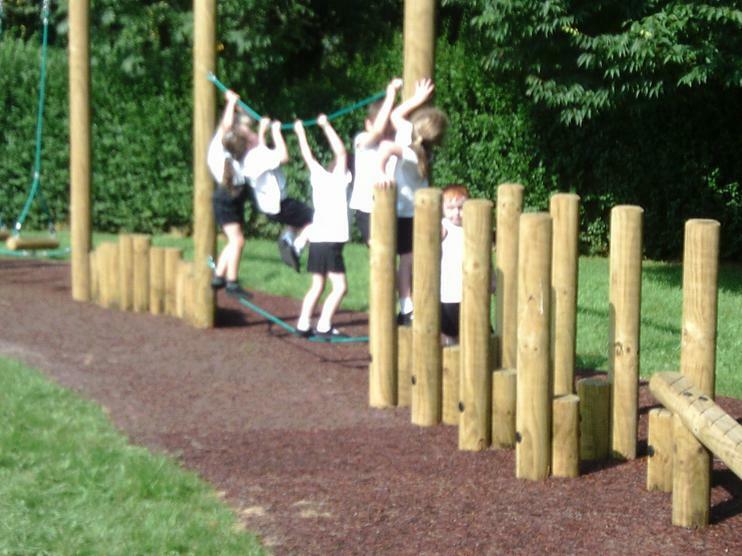 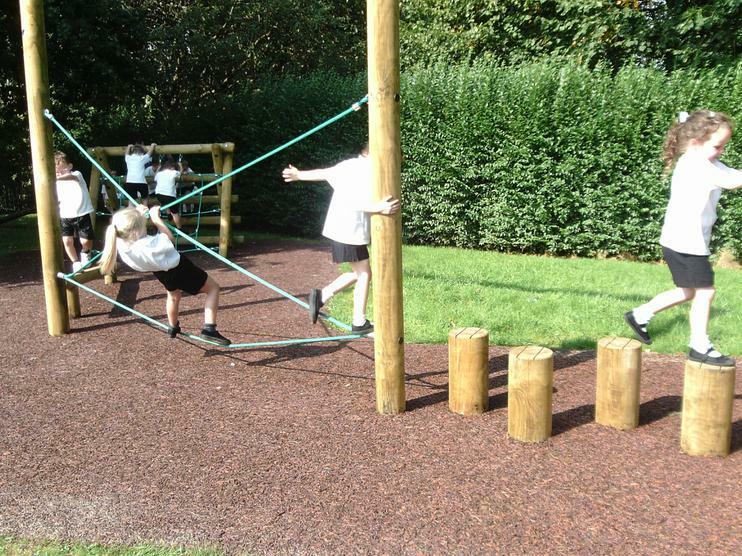 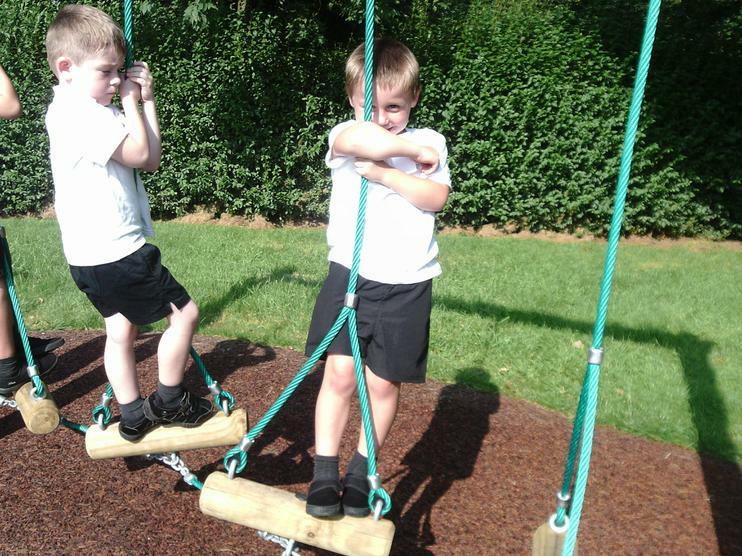 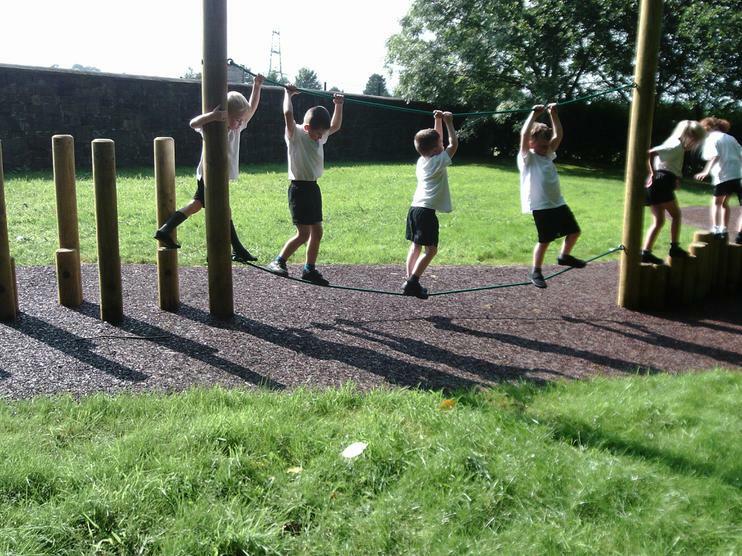 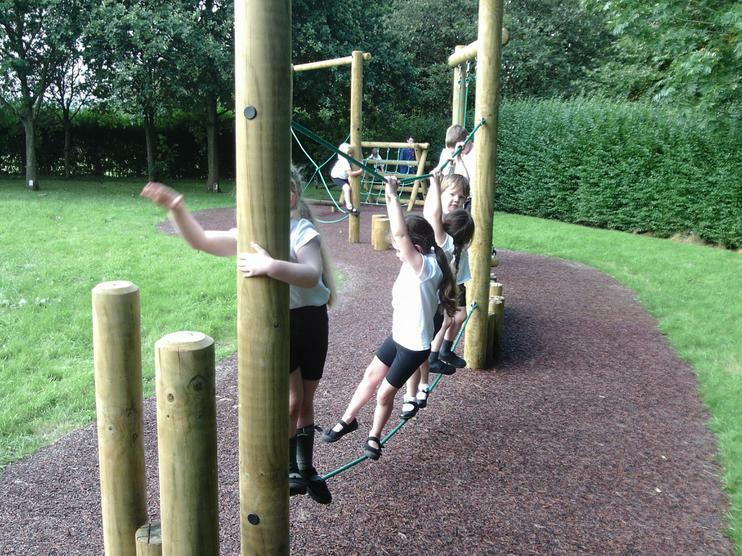 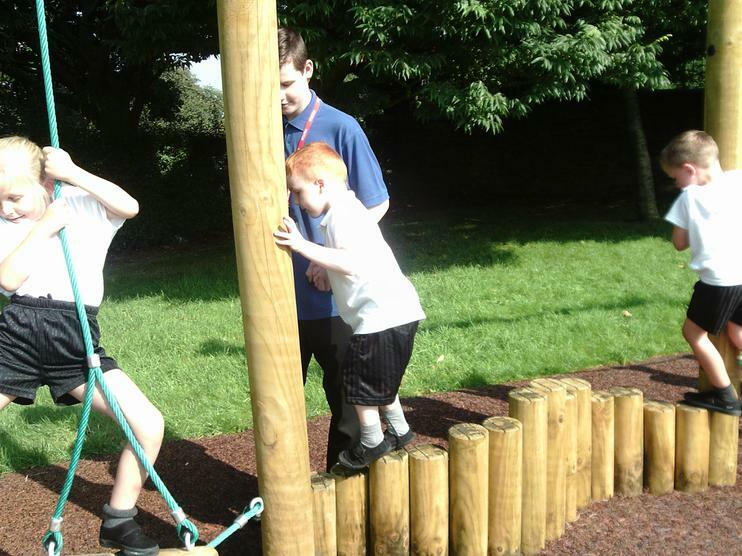 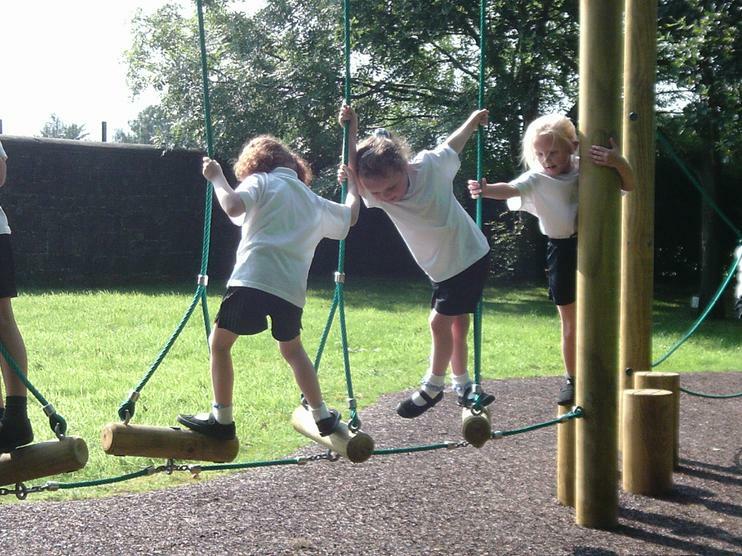 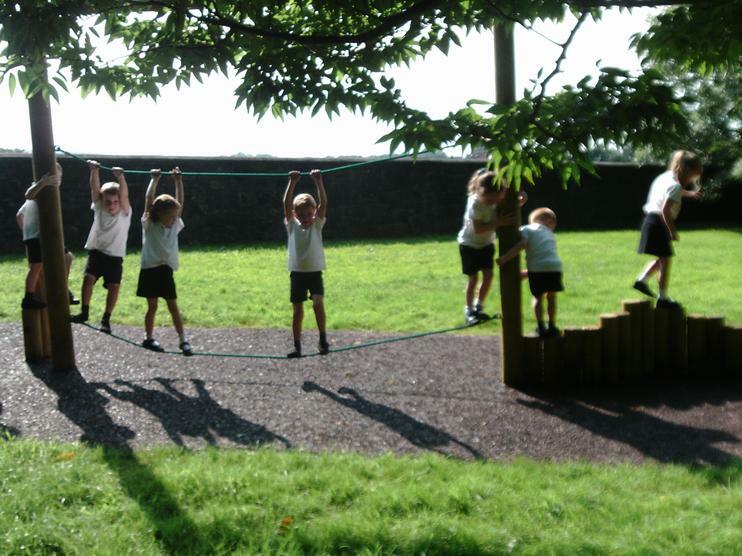 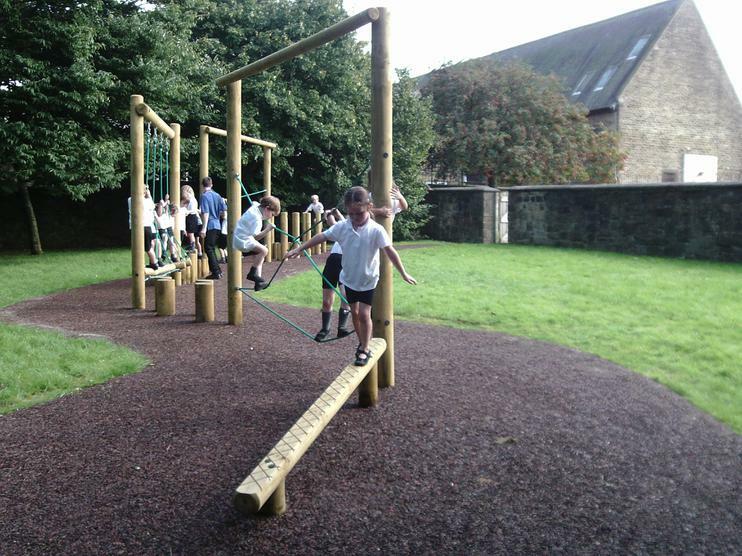 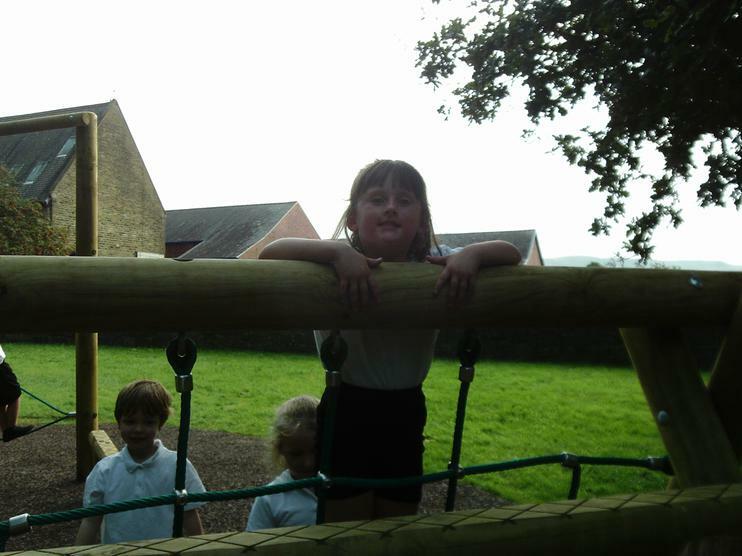 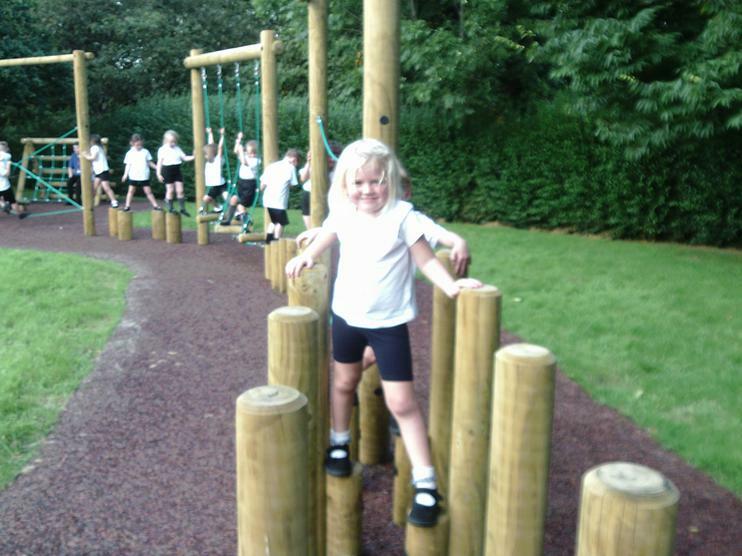 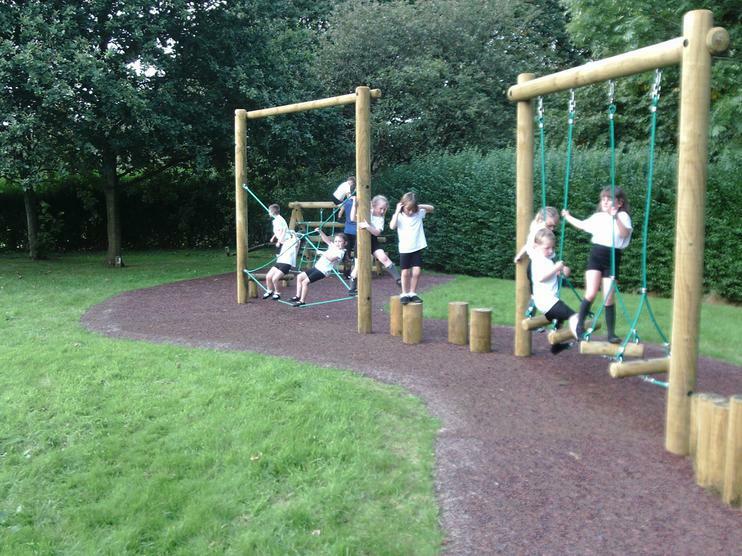 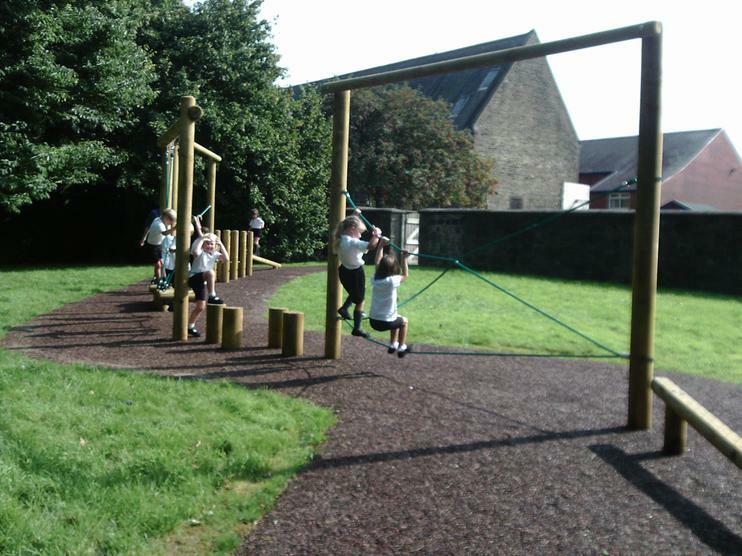 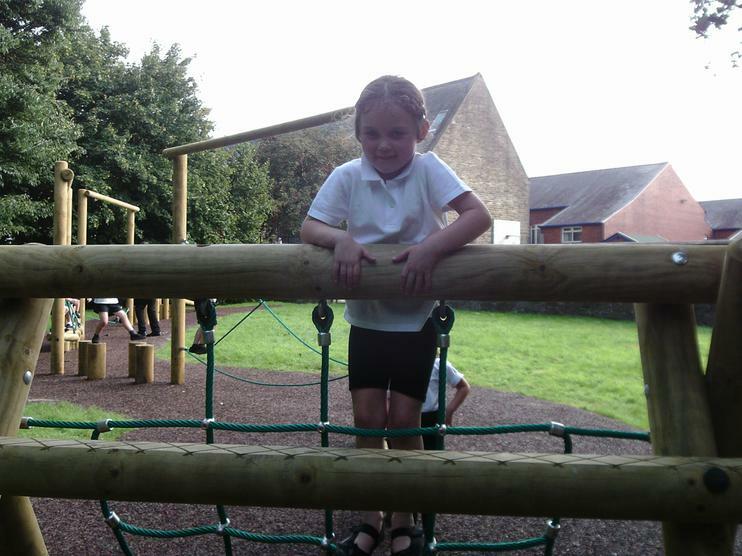 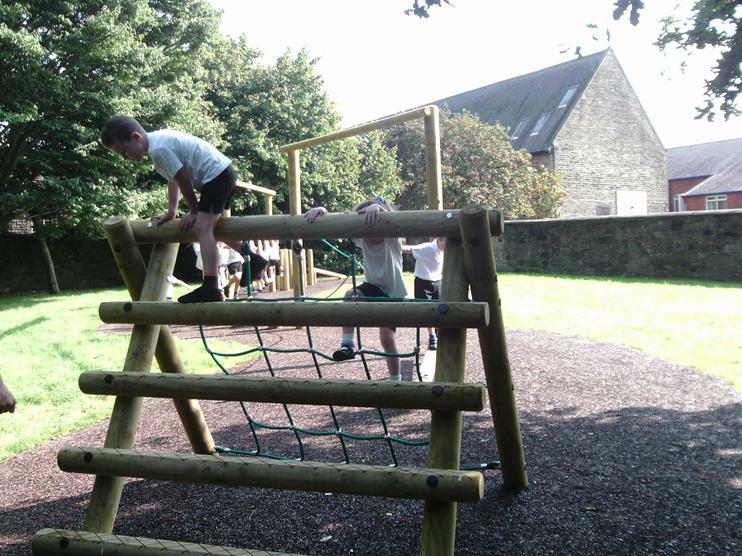 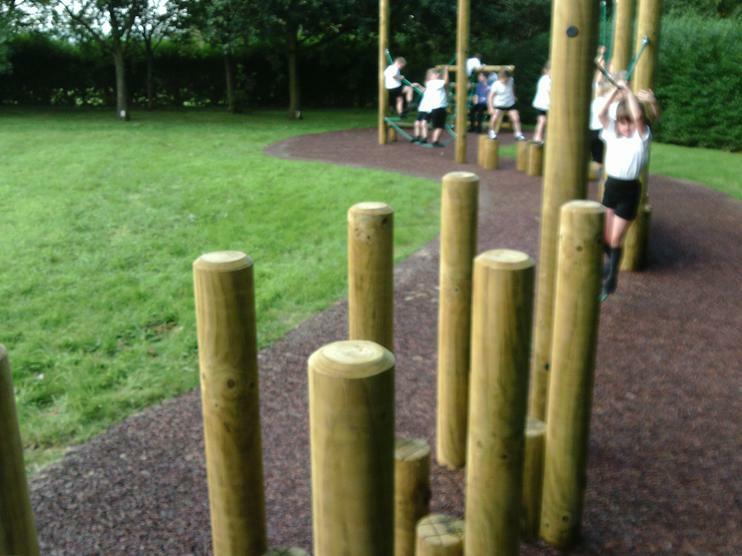 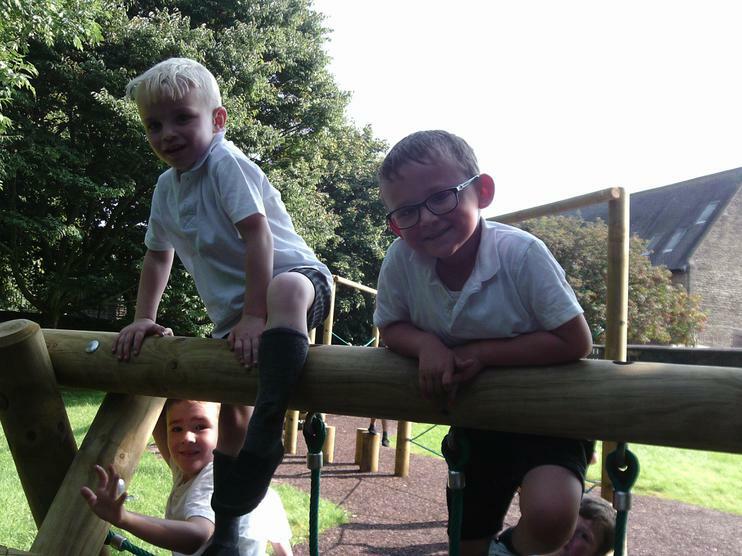 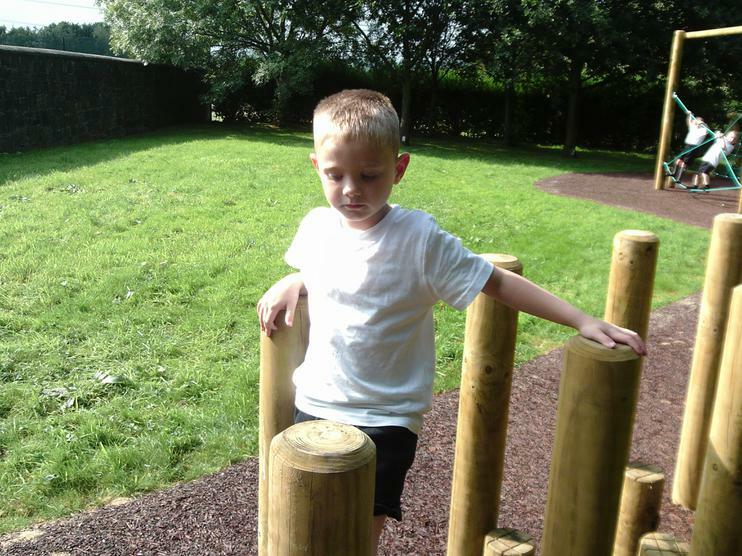 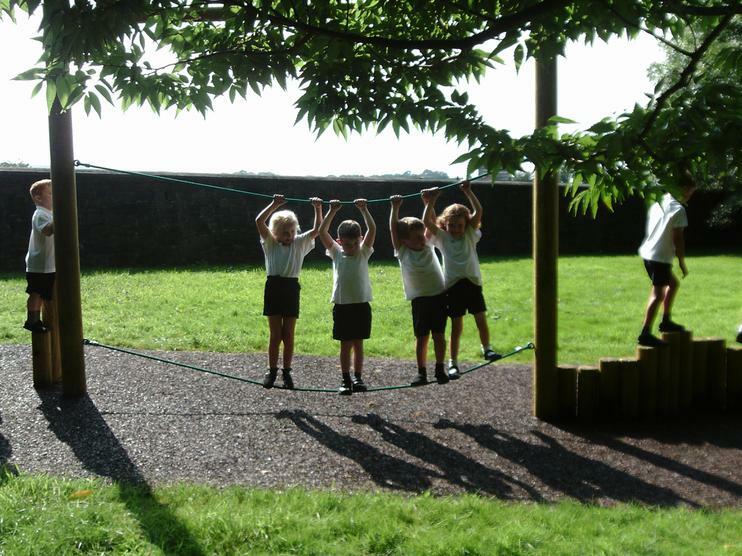 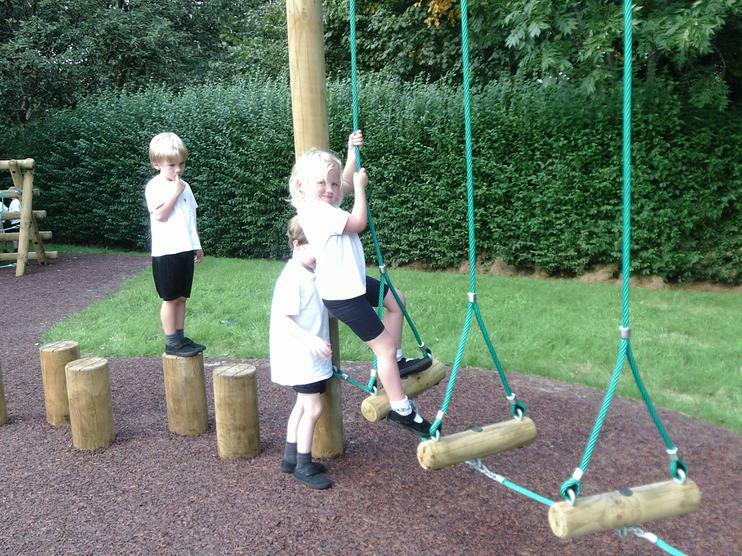 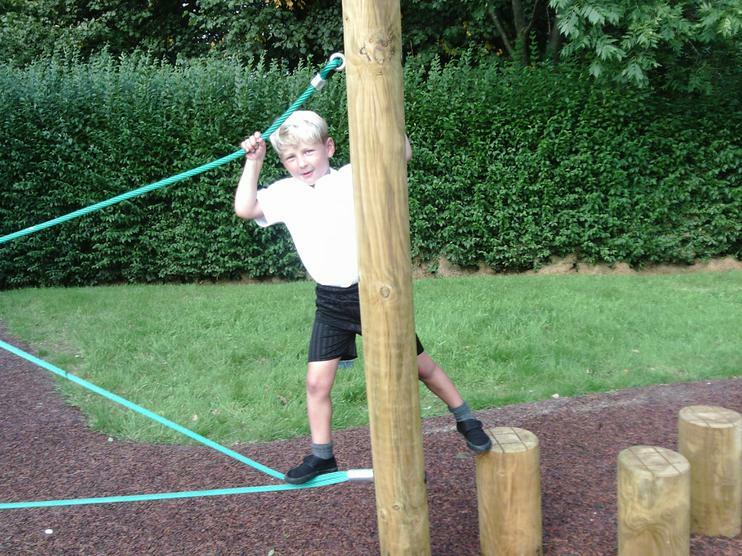 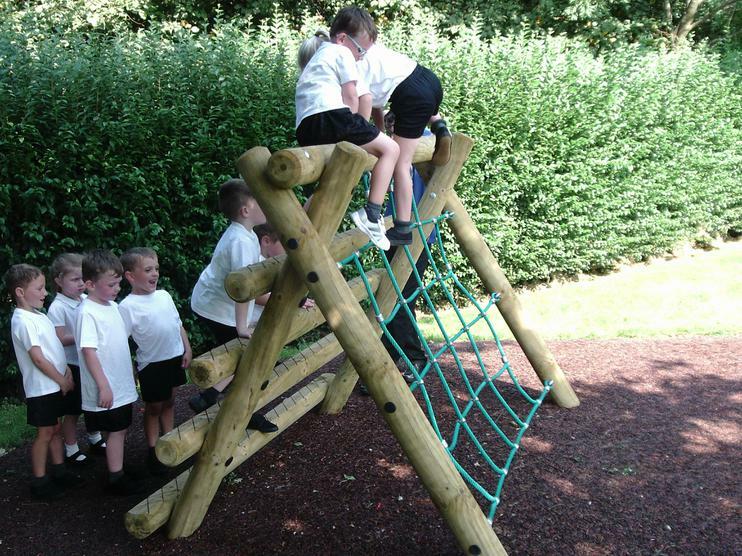 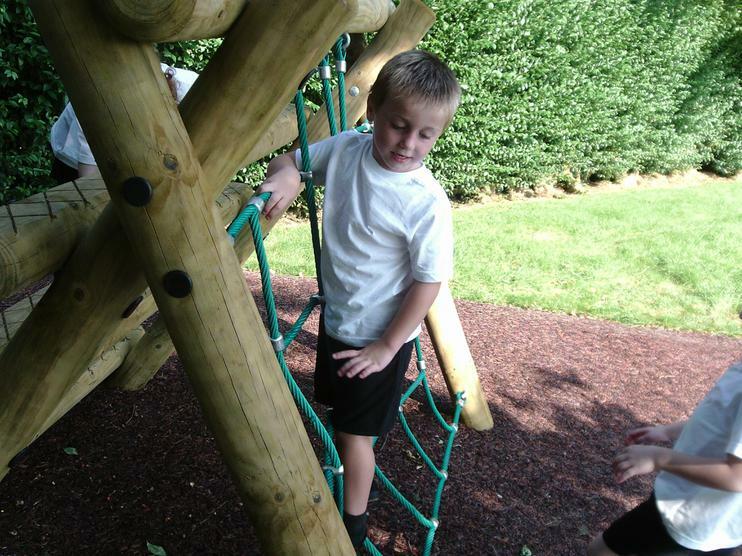 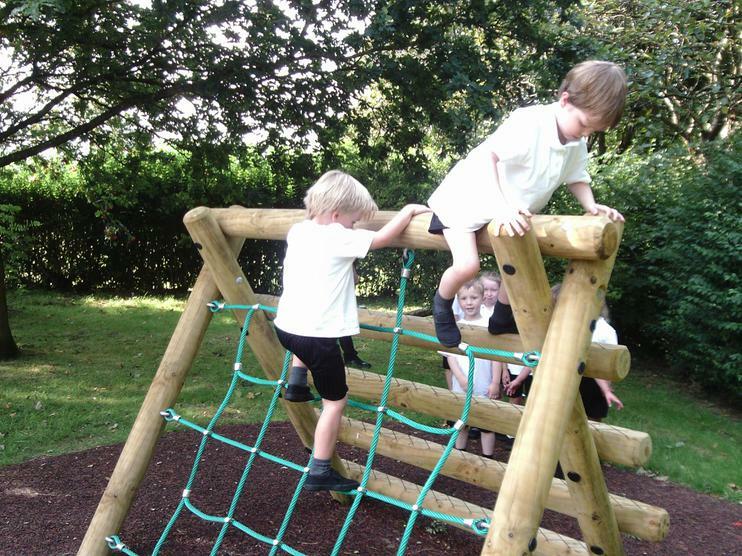 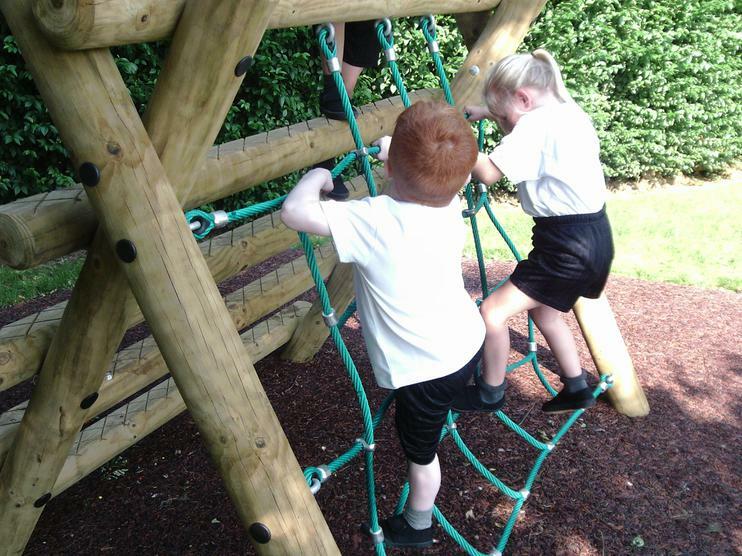 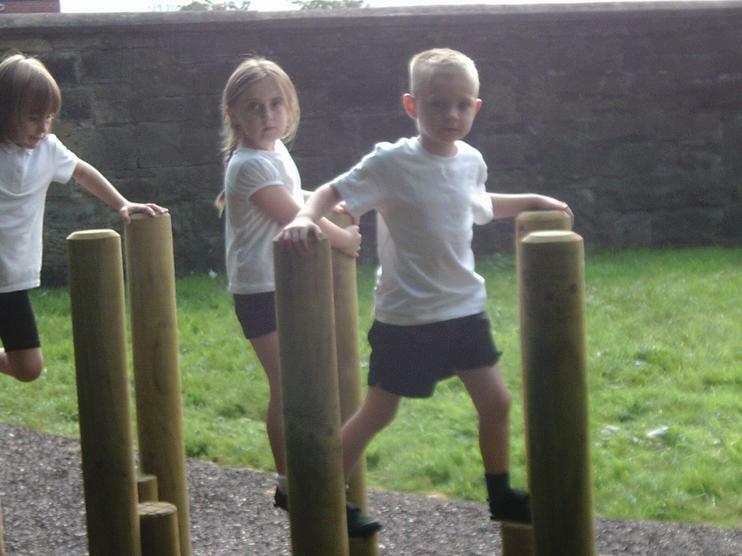 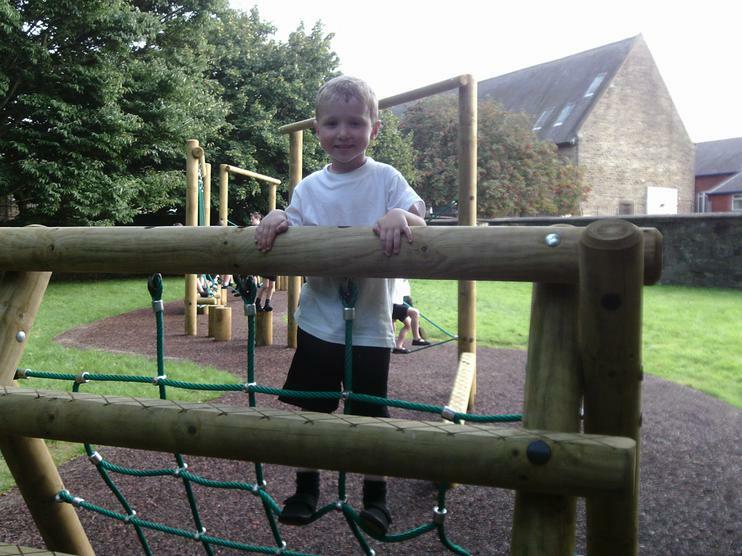 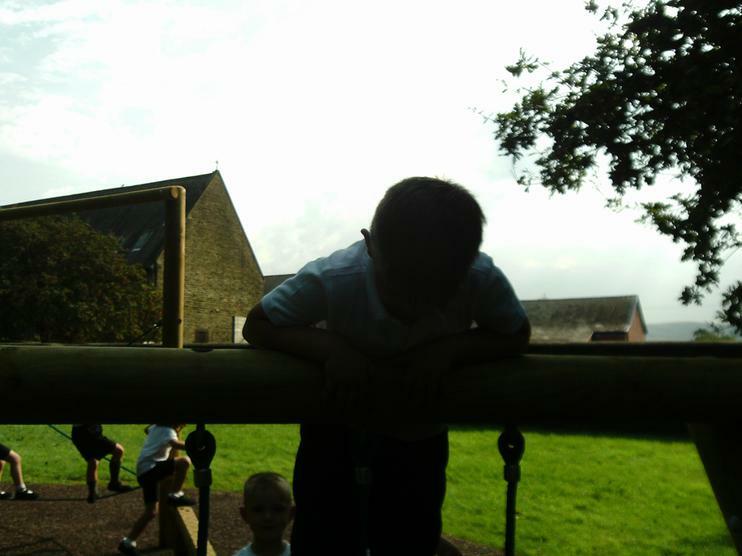 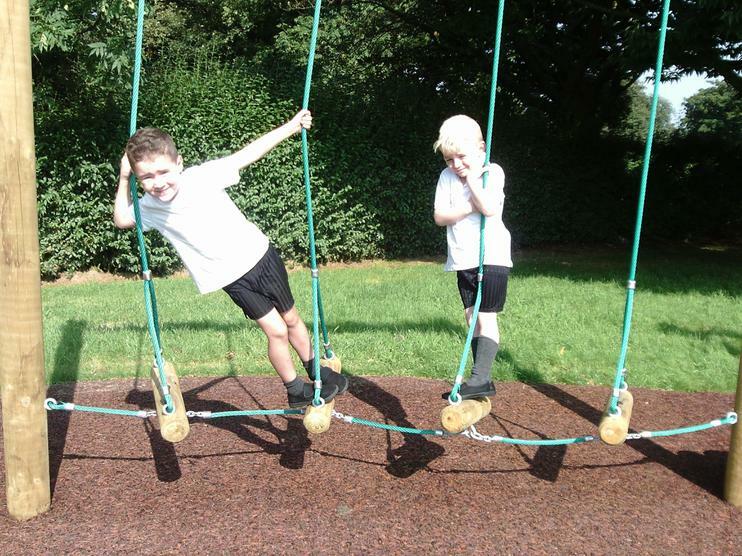 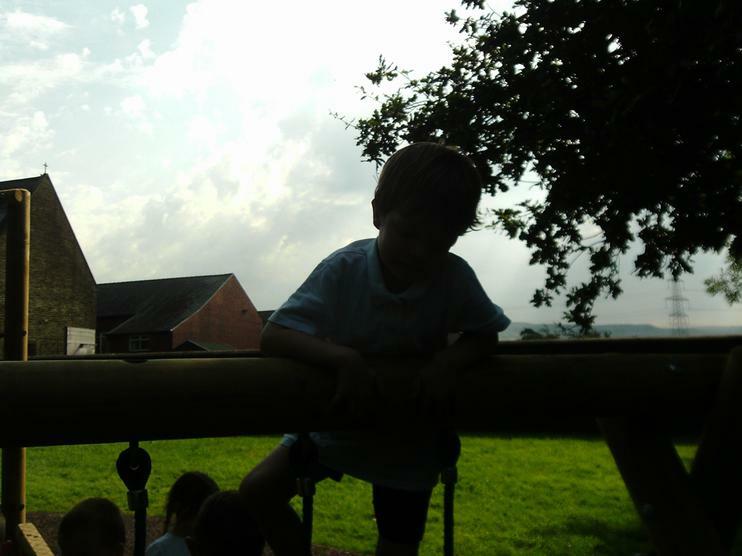 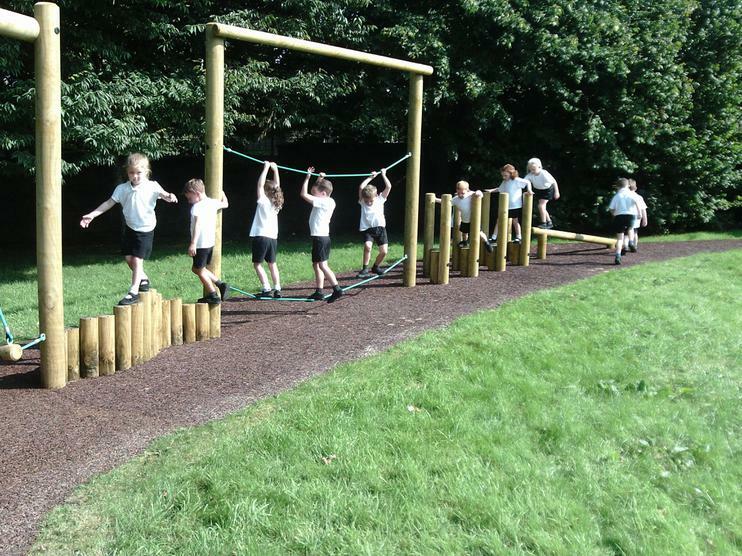 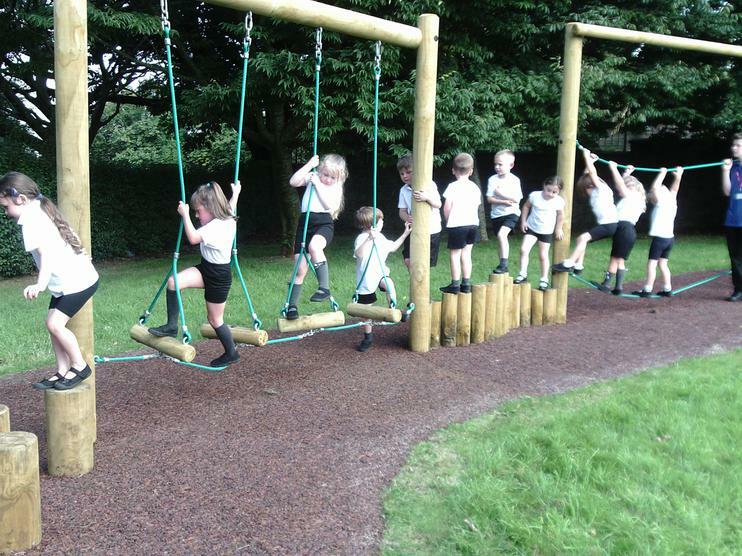 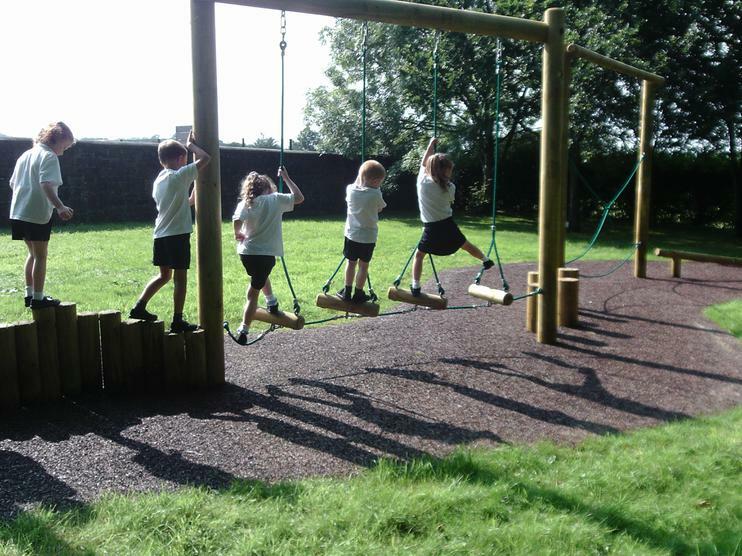 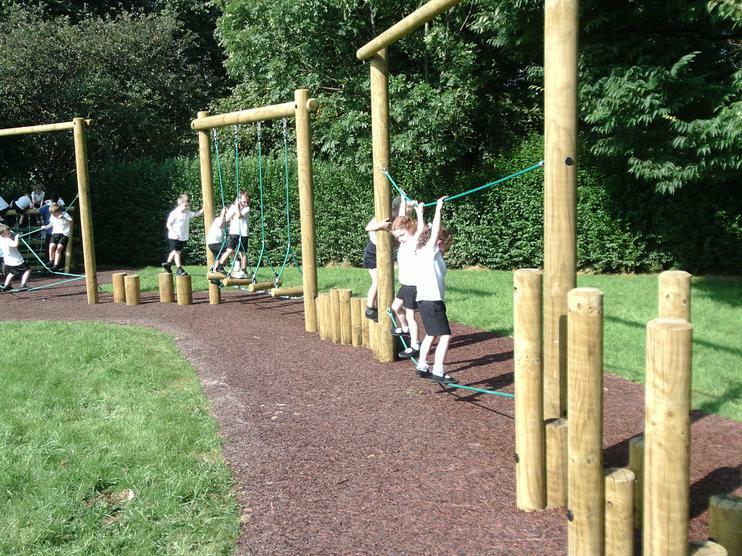 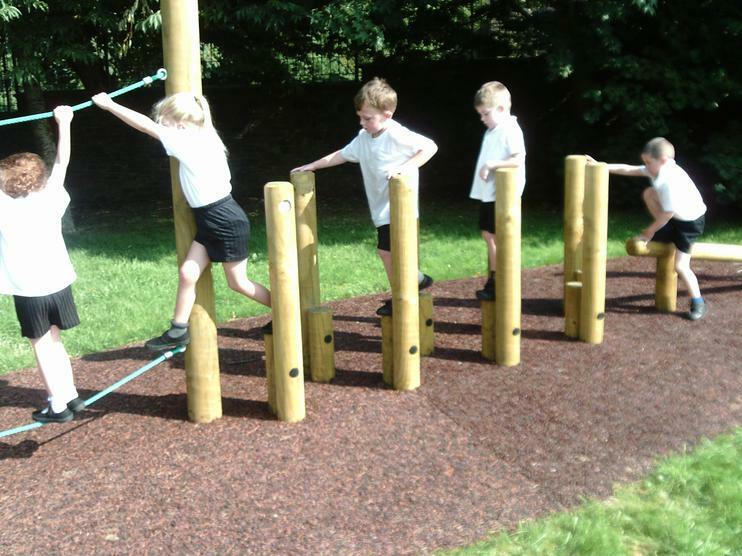 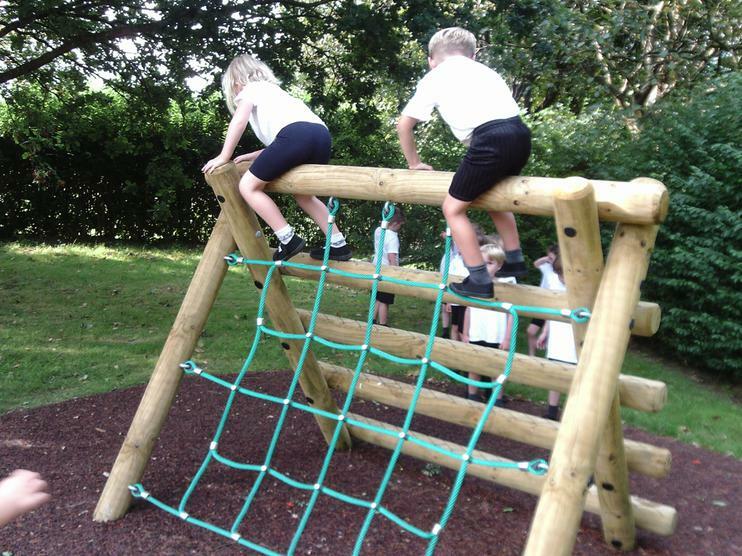 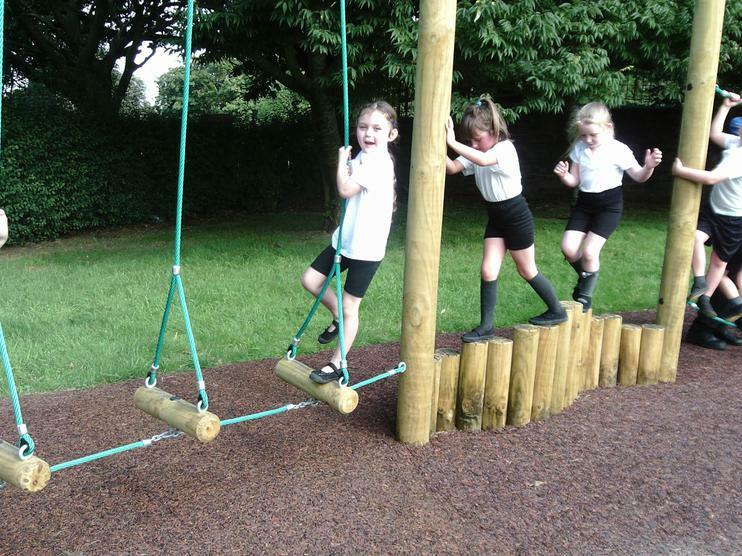 Outdoors for PE on the amazing new equipment. 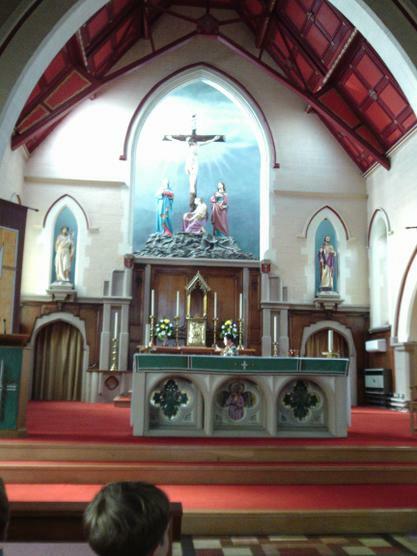 Church visit. 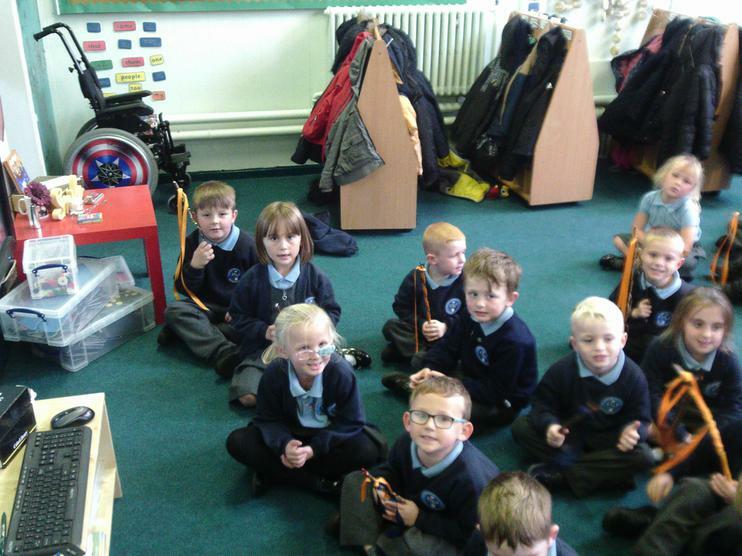 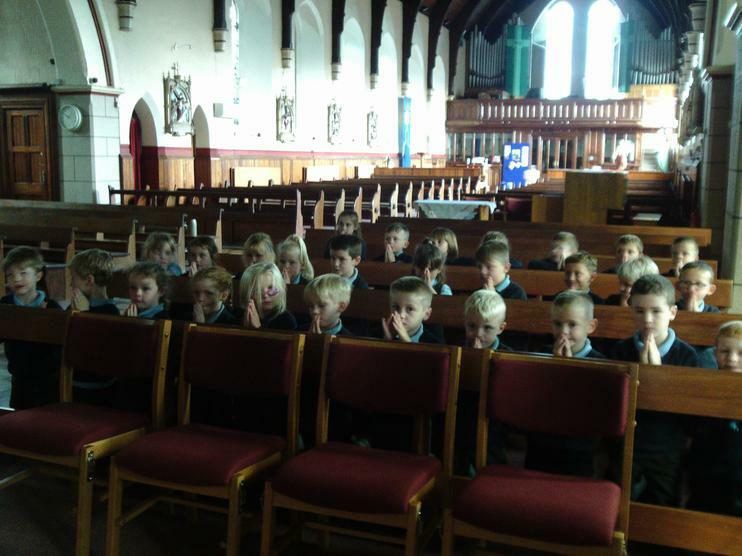 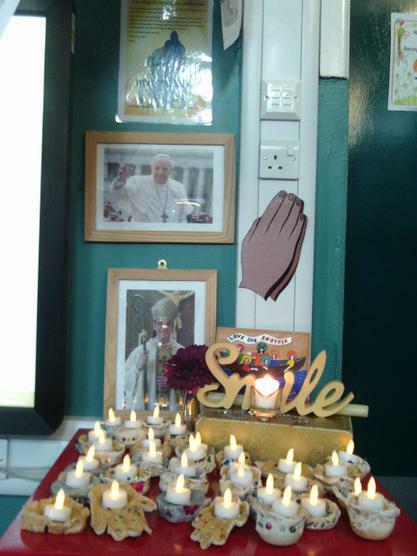 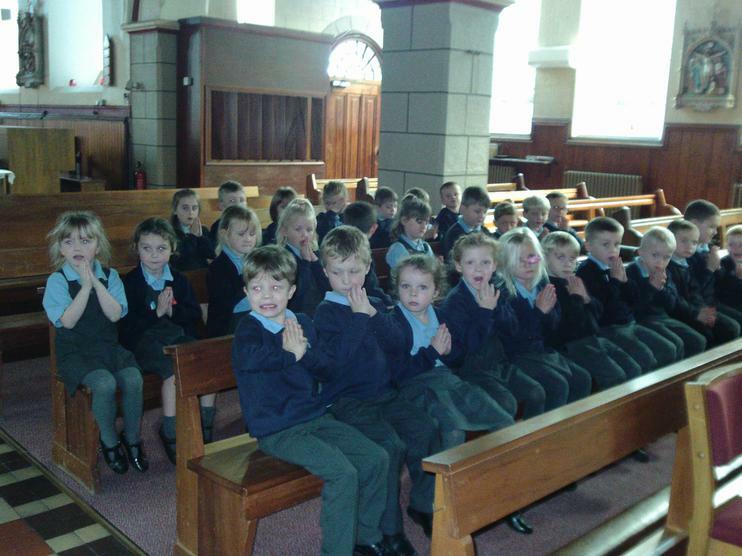 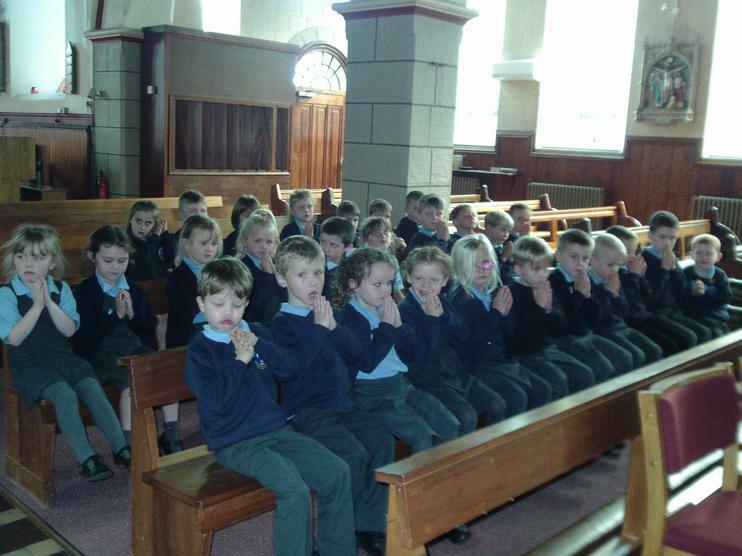 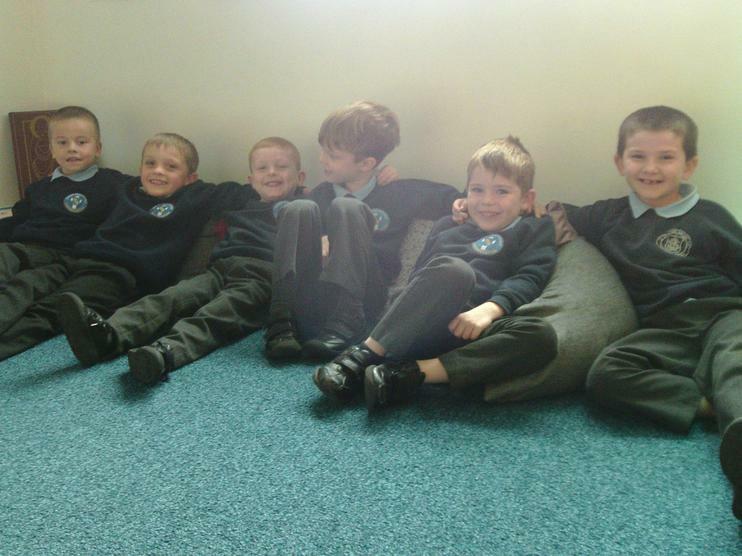 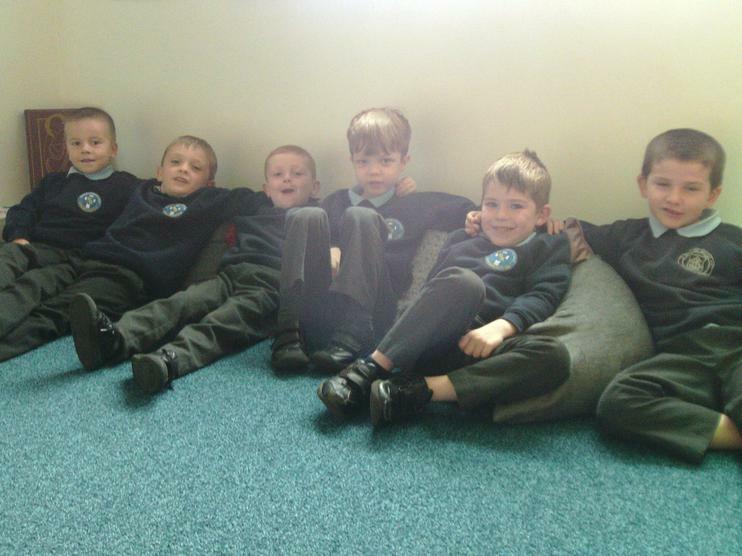 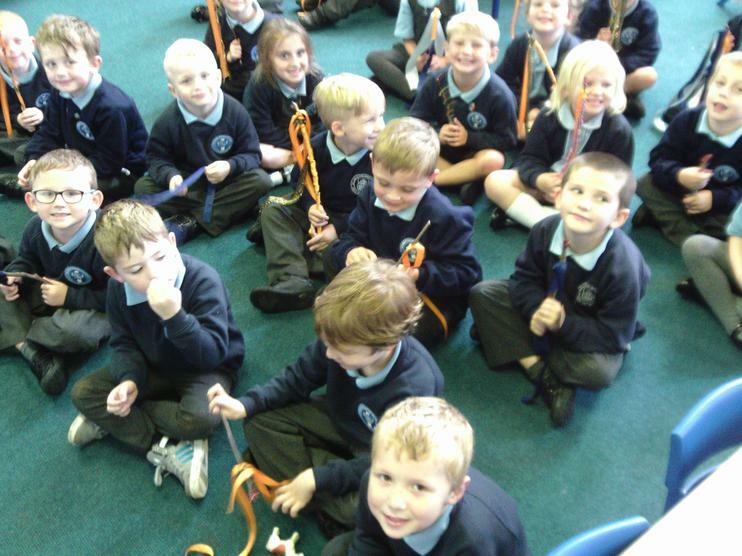 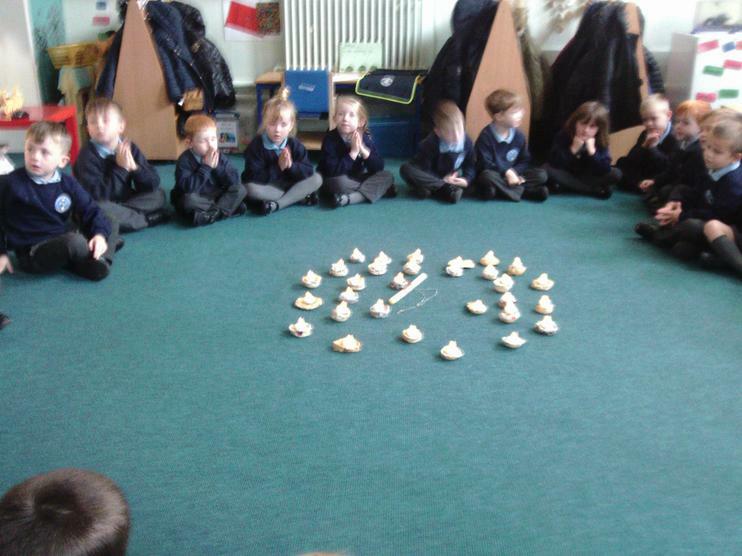 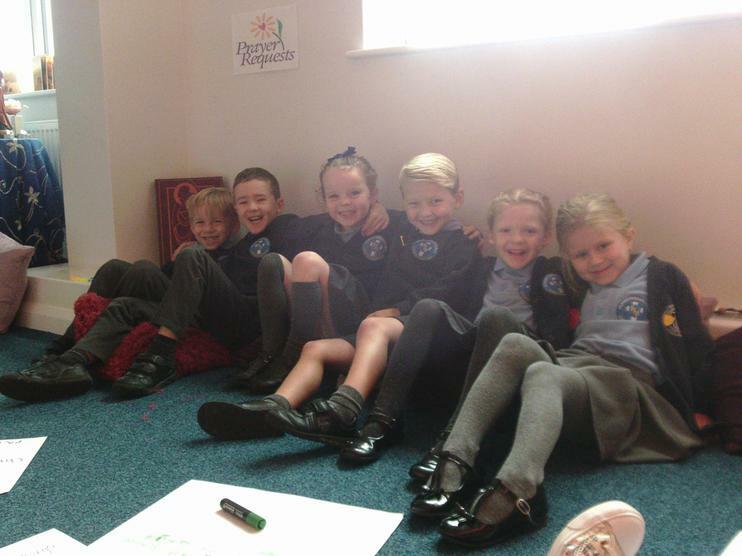 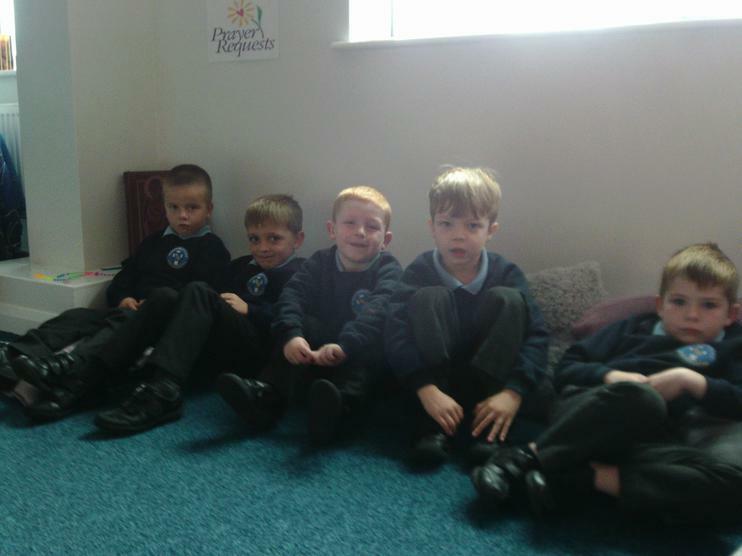 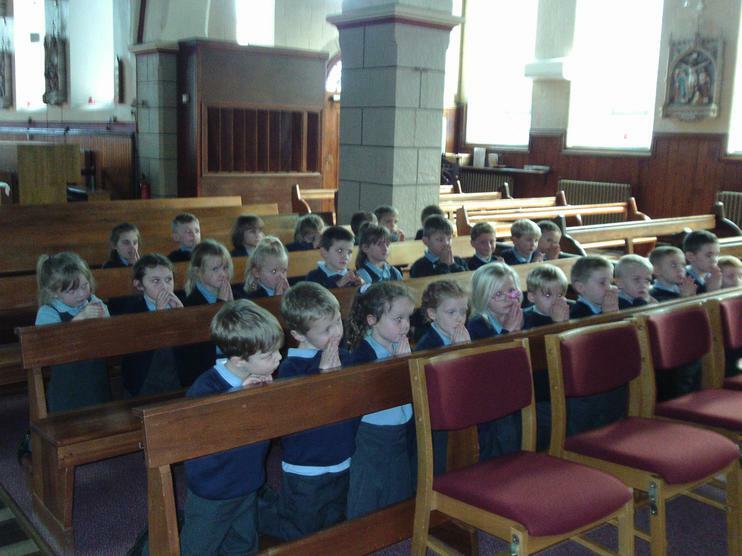 We are looking forward to sitting on benches during mass now we are Y1. 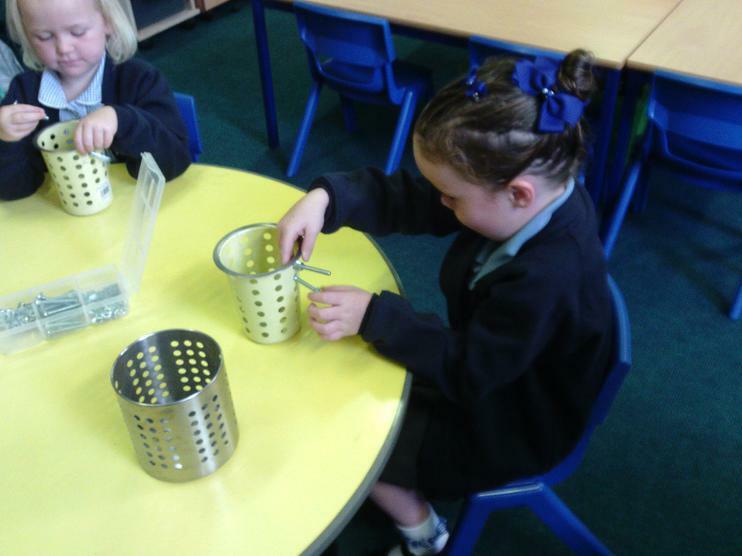 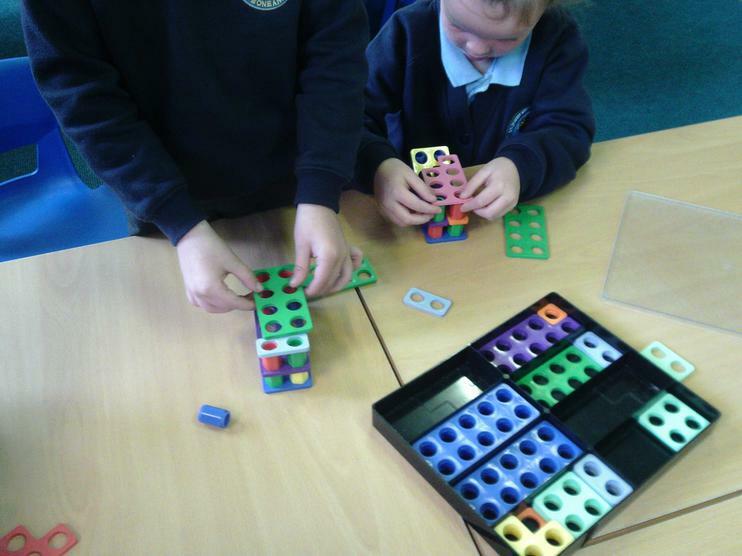 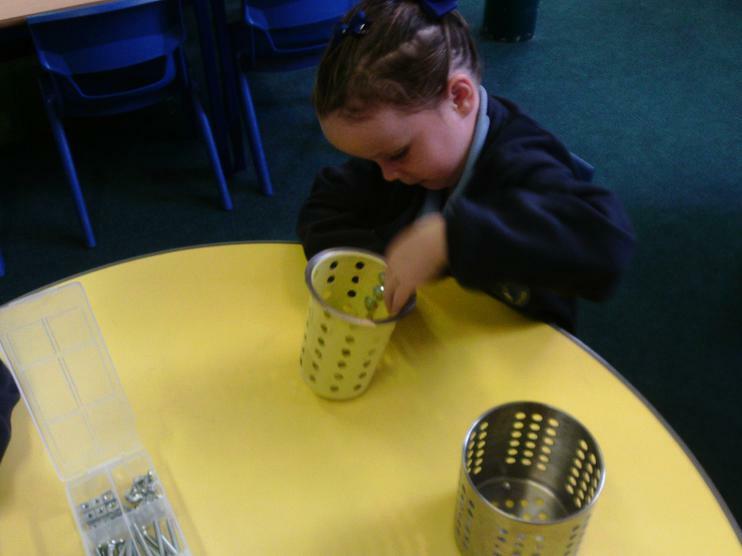 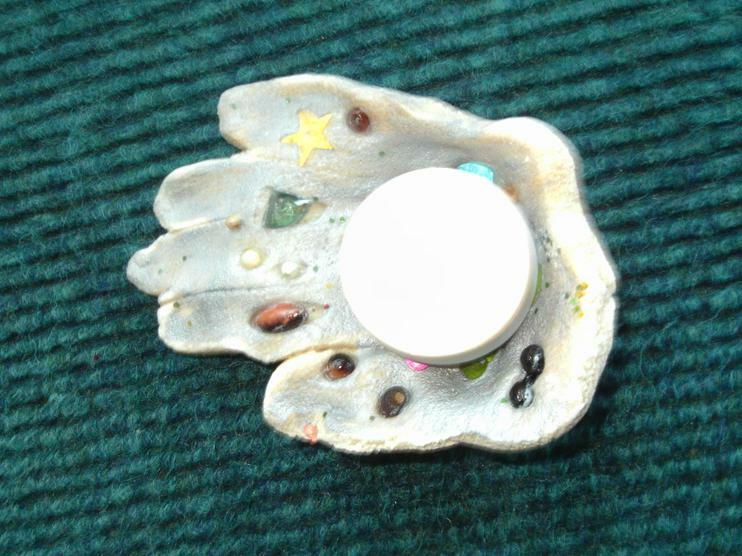 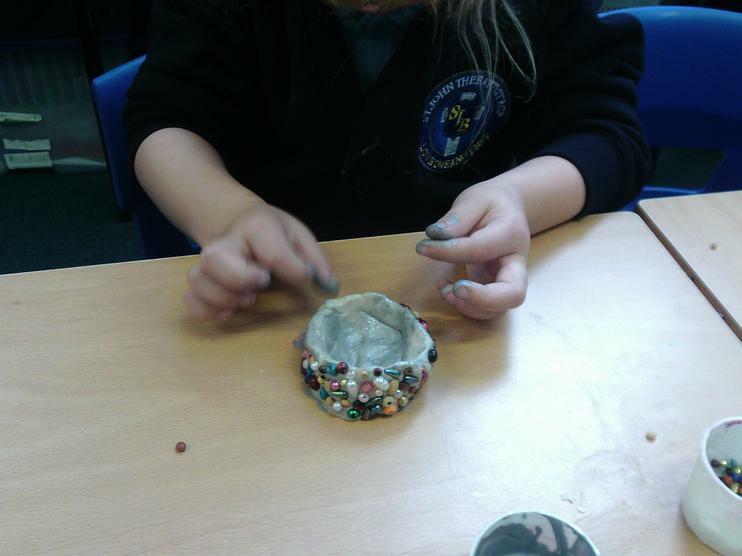 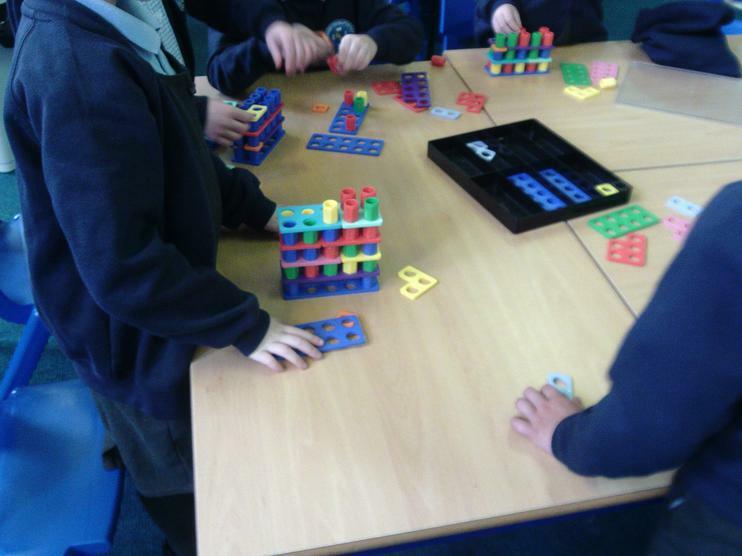 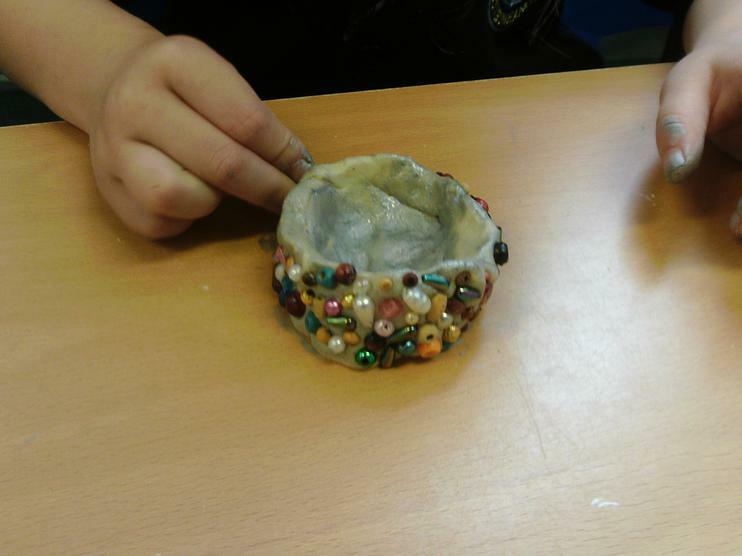 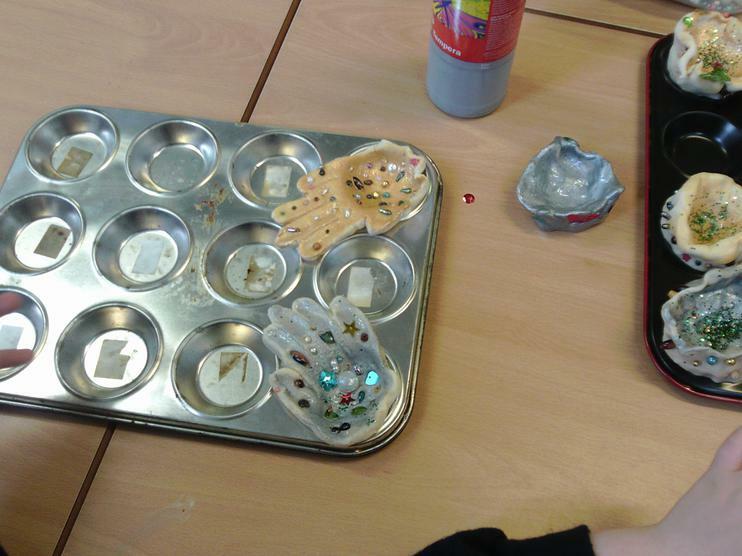 We've had our Funky Fingers out using tweezers and nuts and bolts. 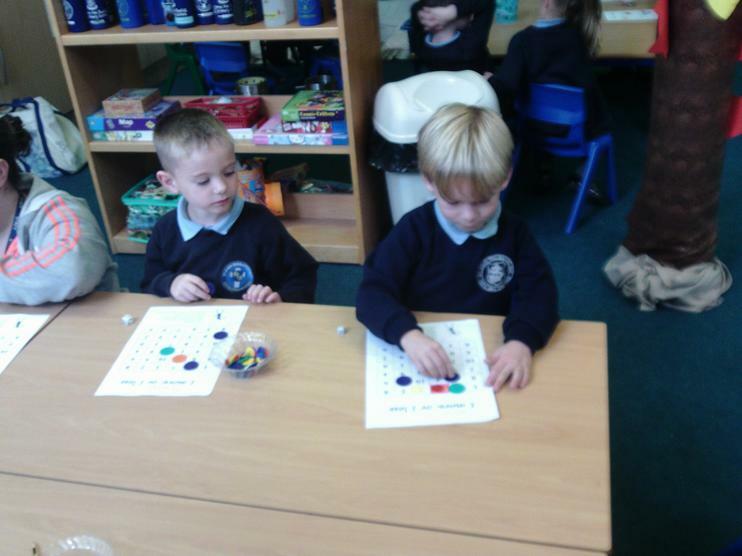 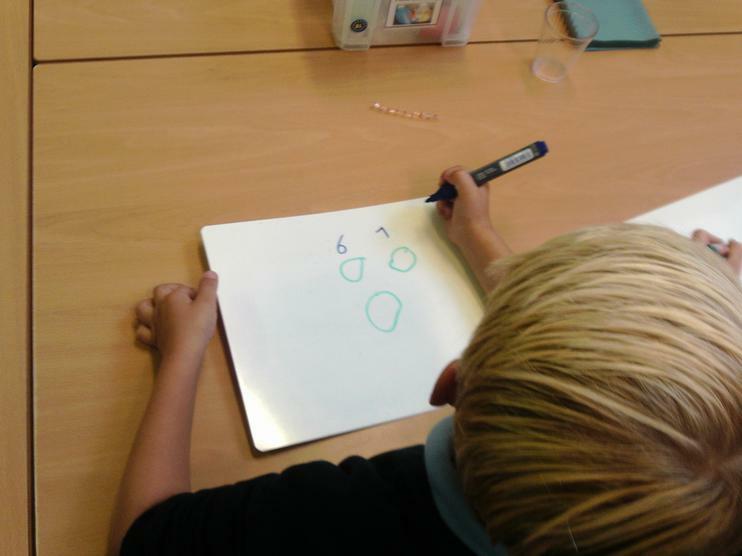 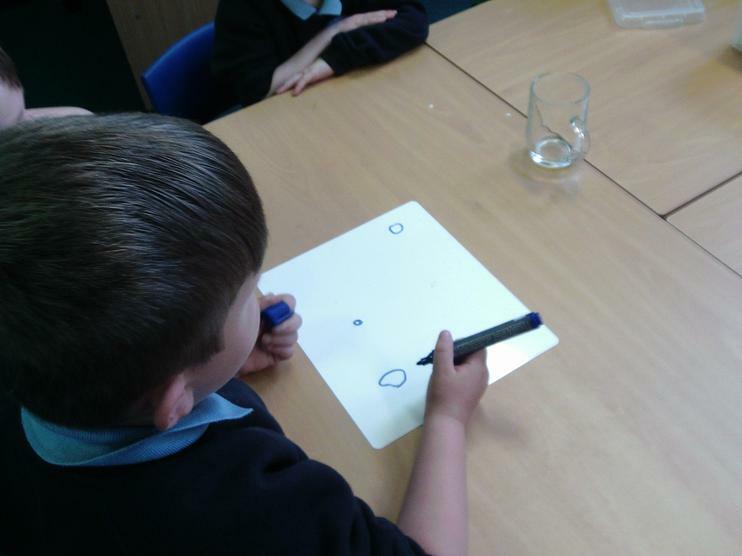 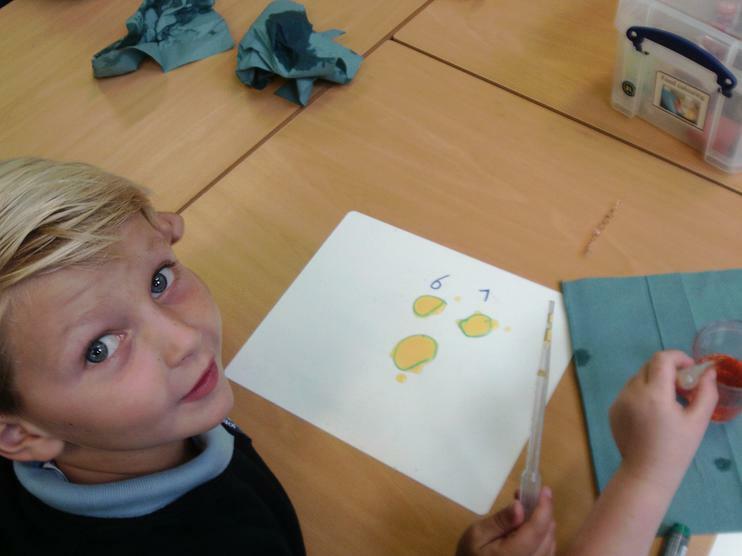 How many drips will fill the dots? 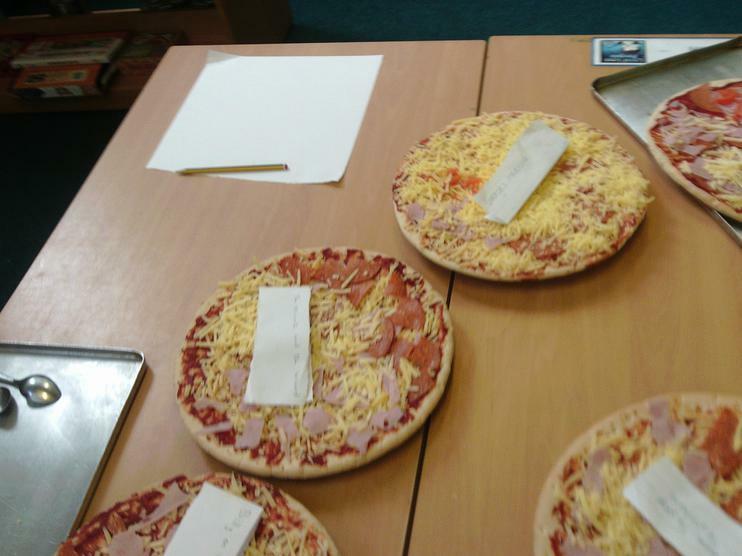 Odds and Evens. 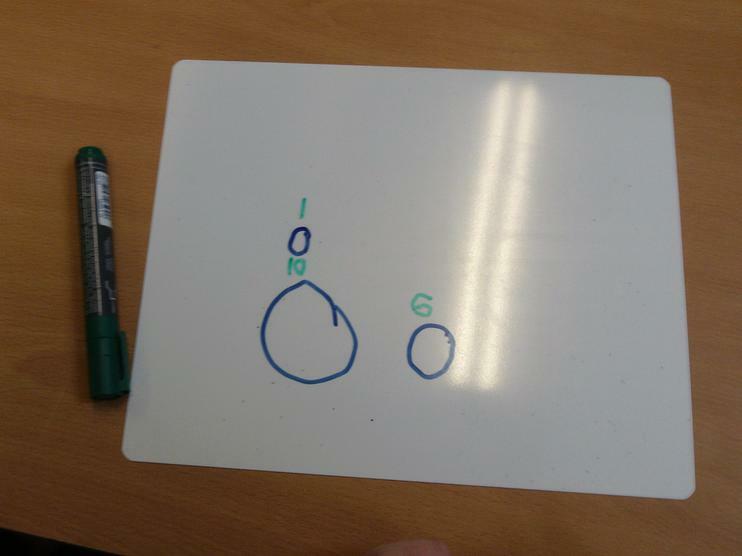 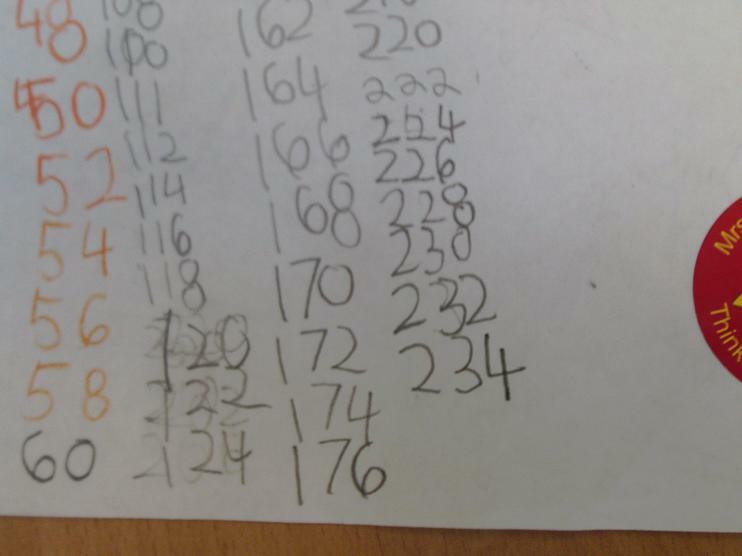 Some of us got really carried away with extra numbers. 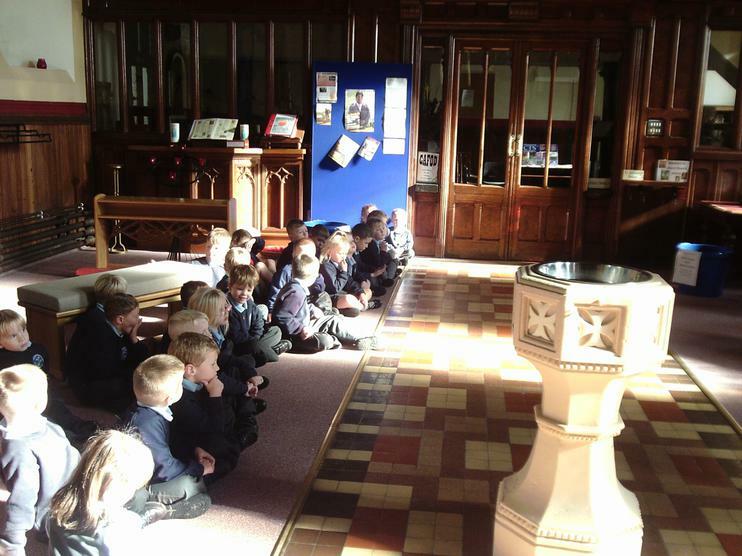 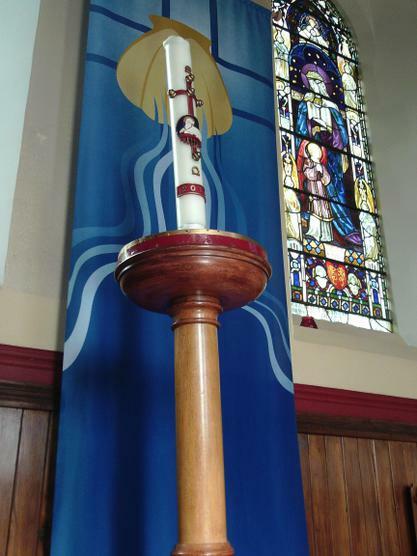 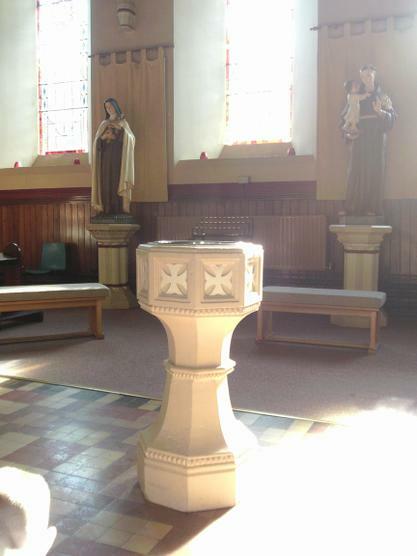 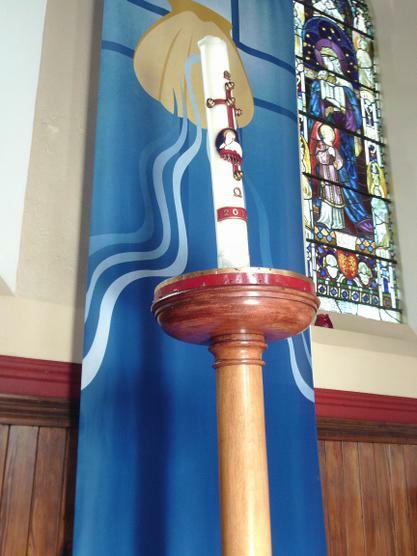 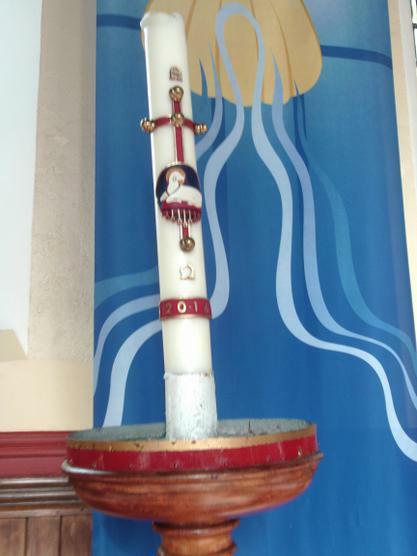 Looking at Baptism in church. 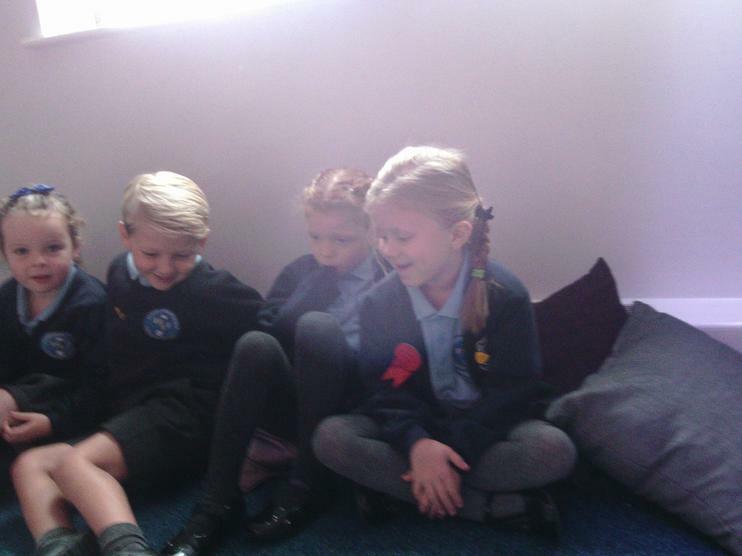 Discussing Belonging. 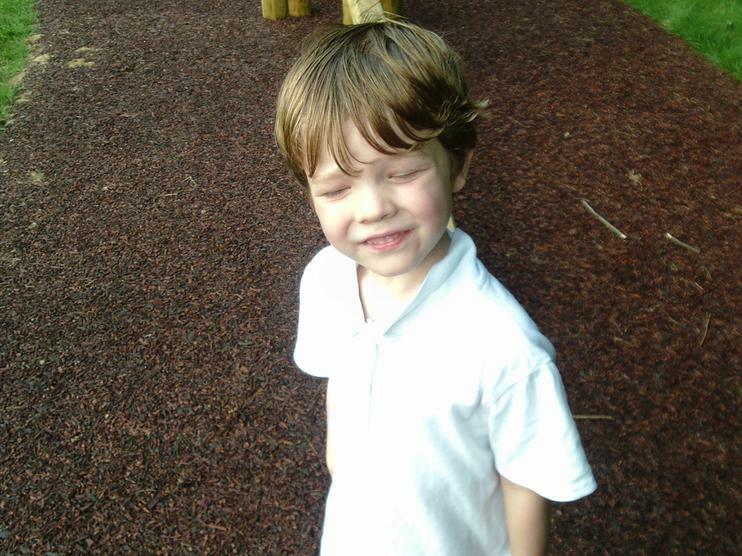 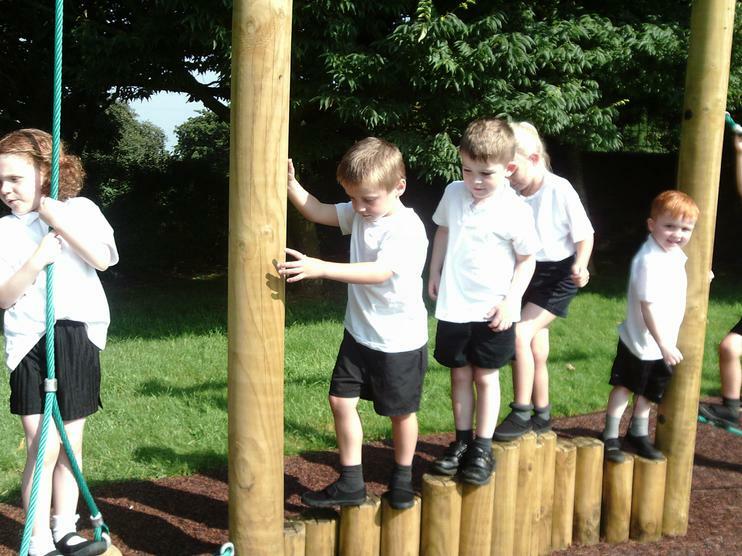 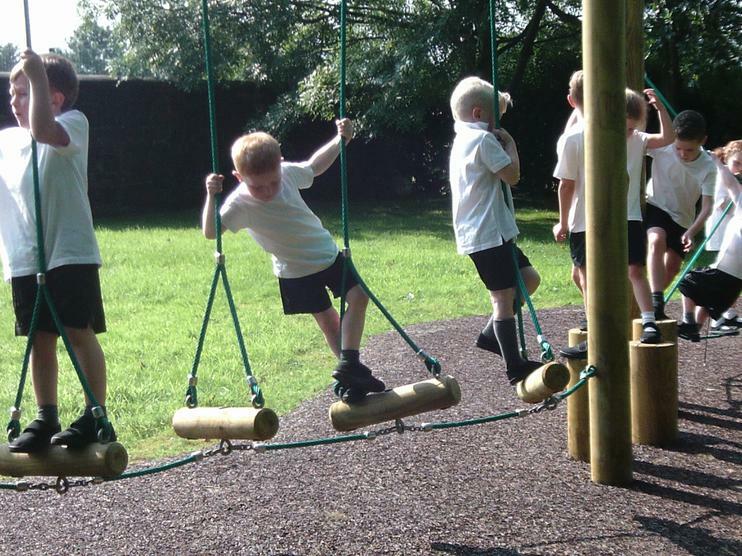 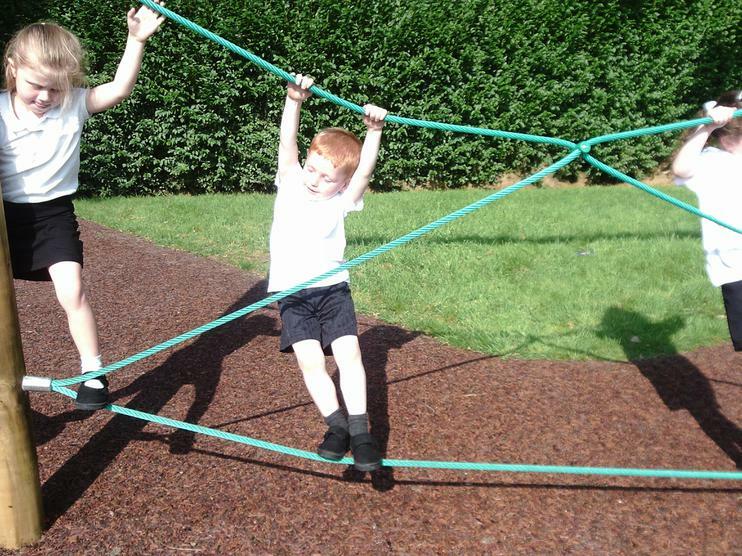 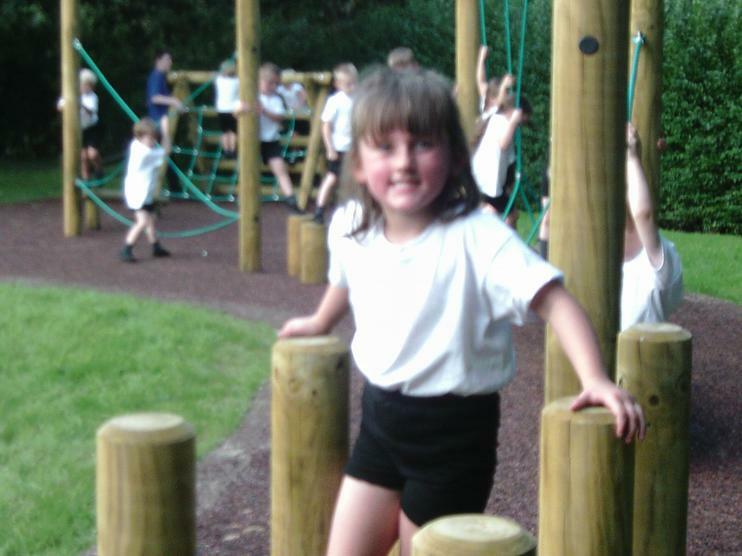 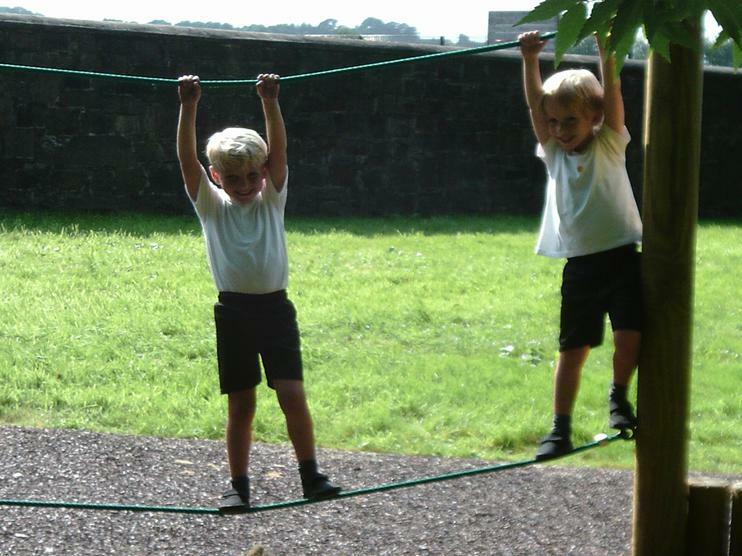 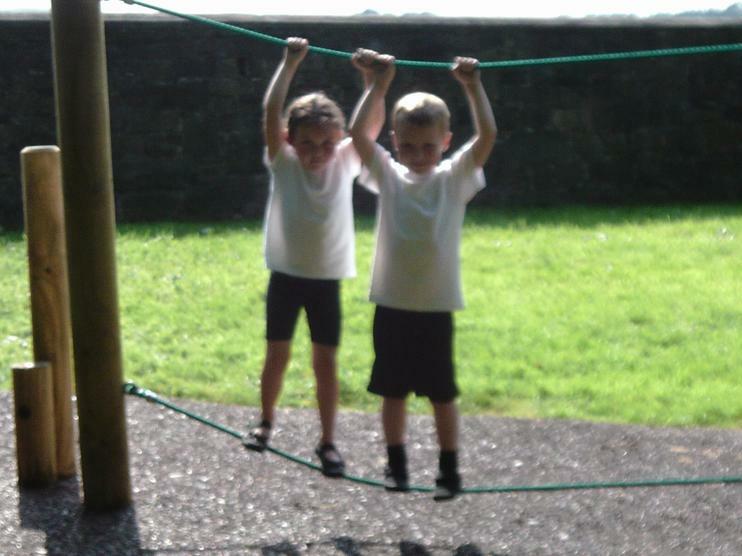 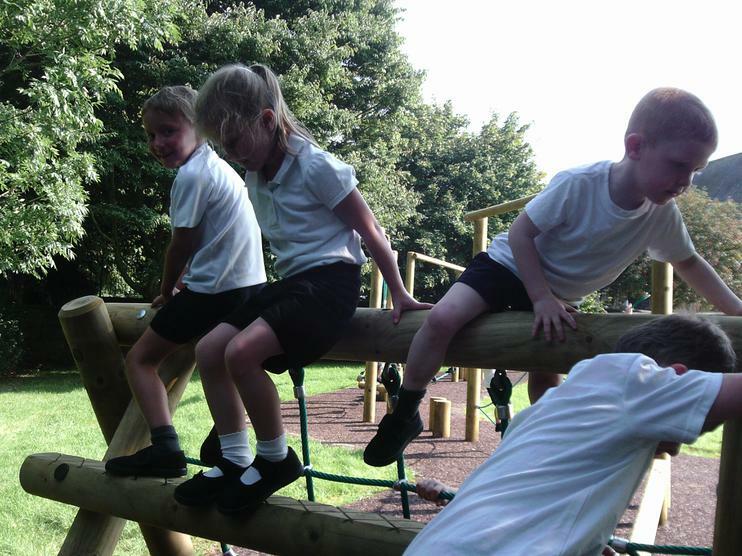 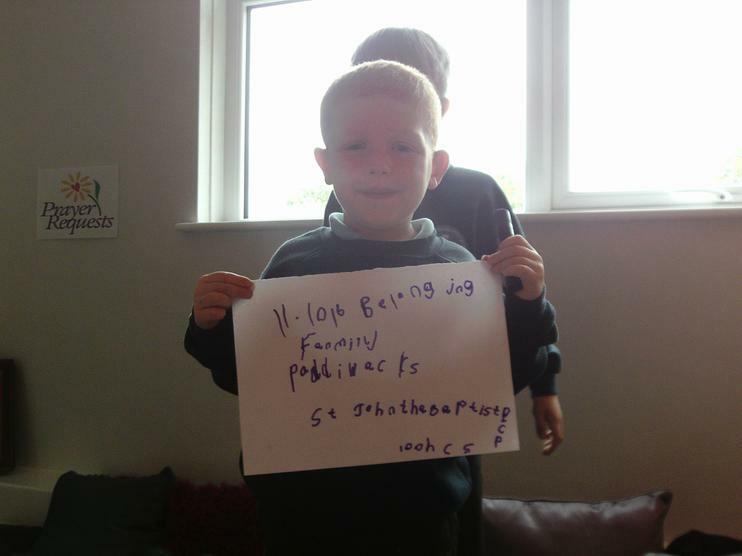 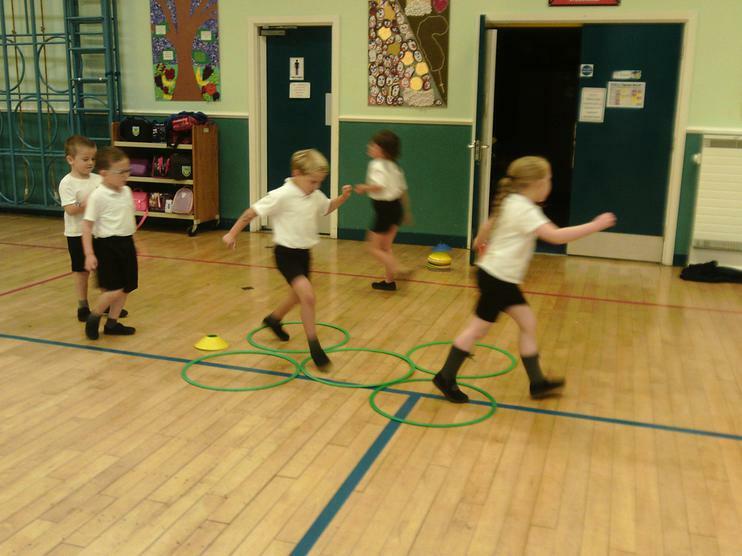 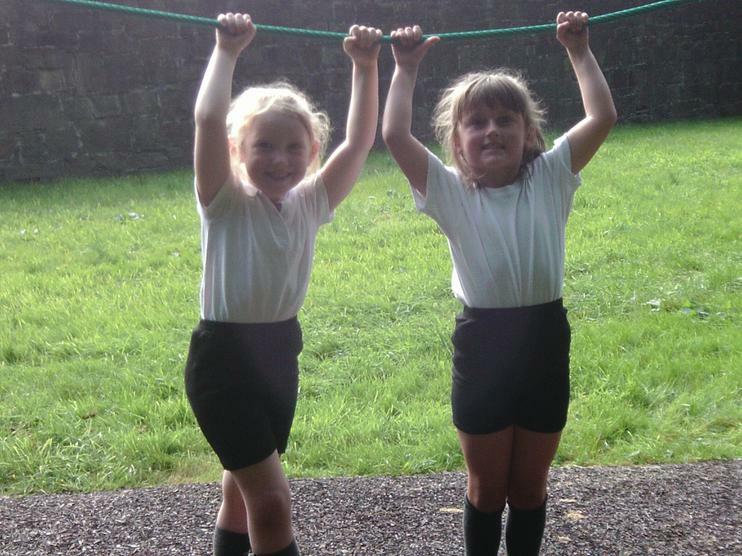 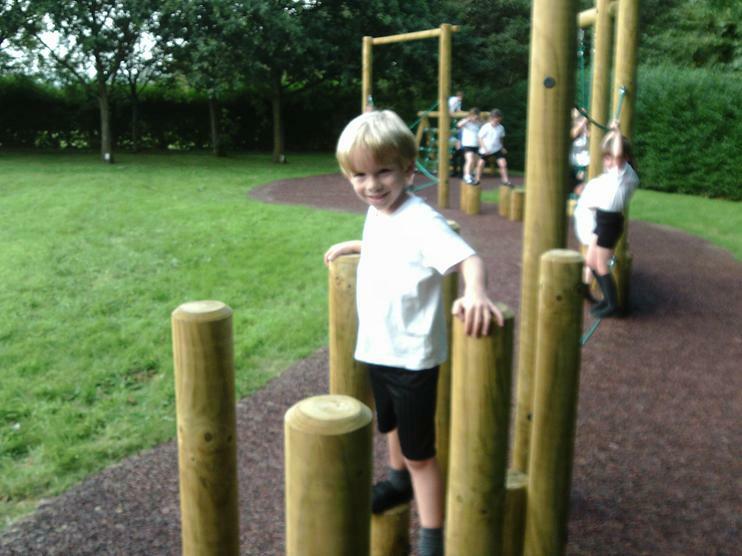 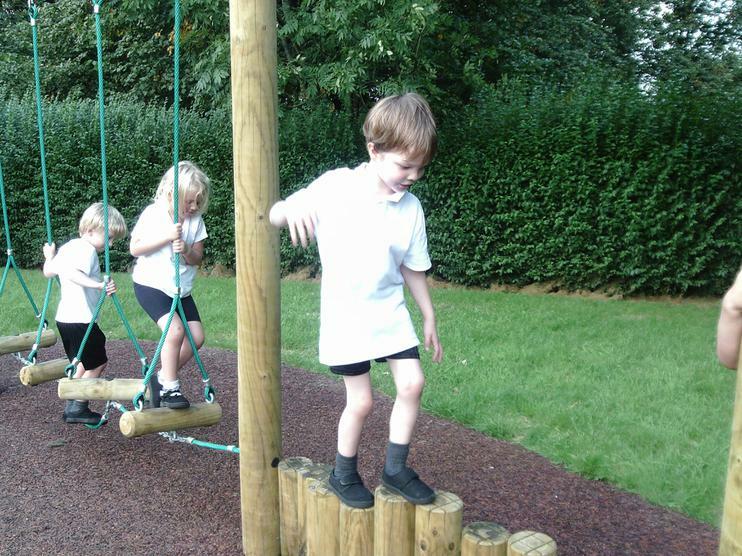 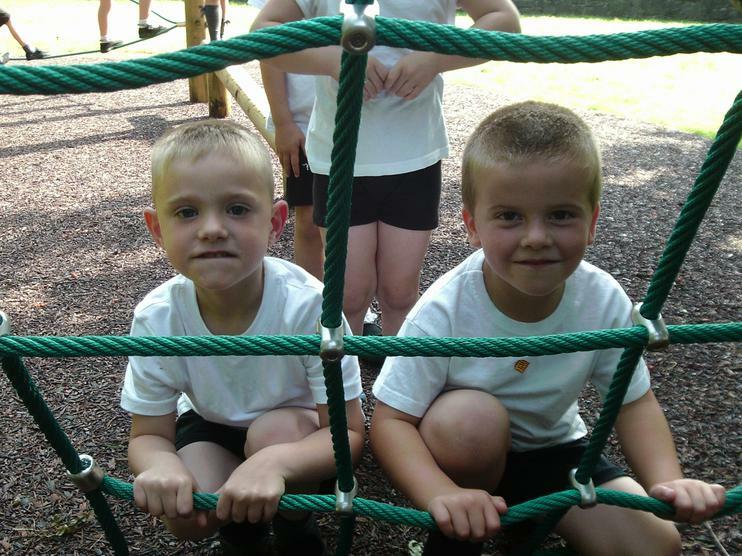 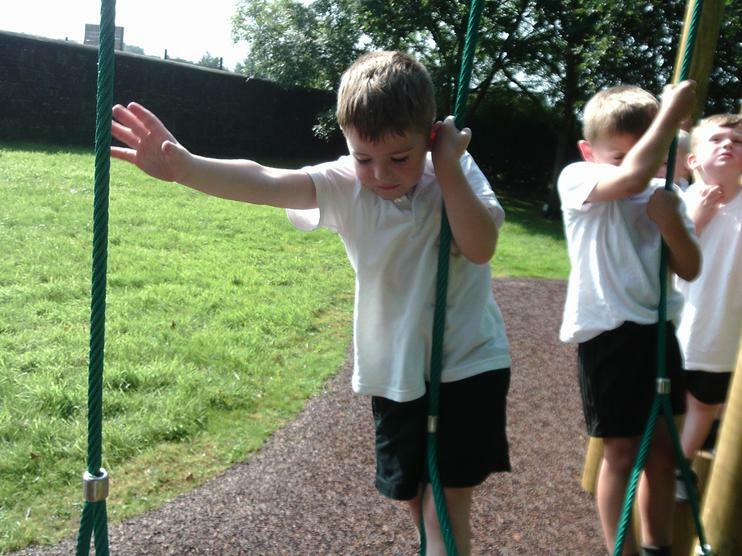 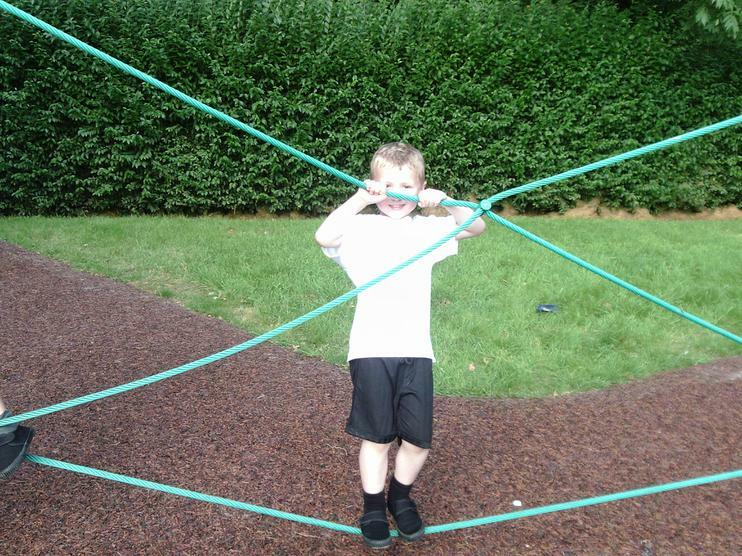 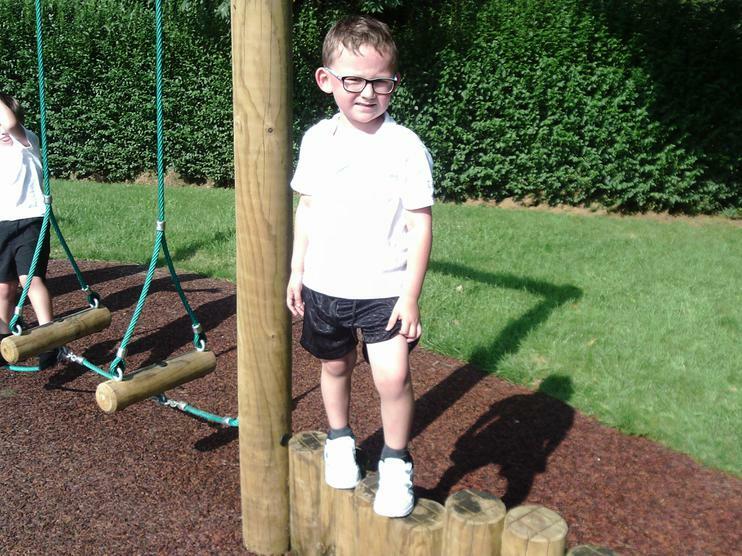 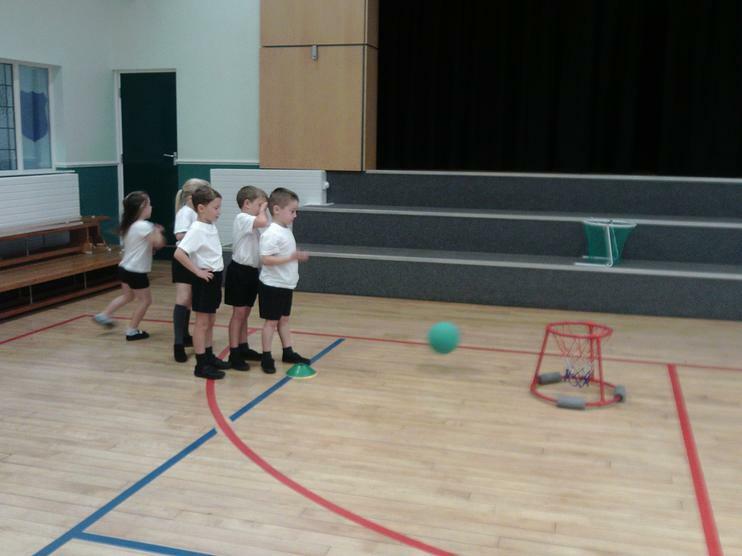 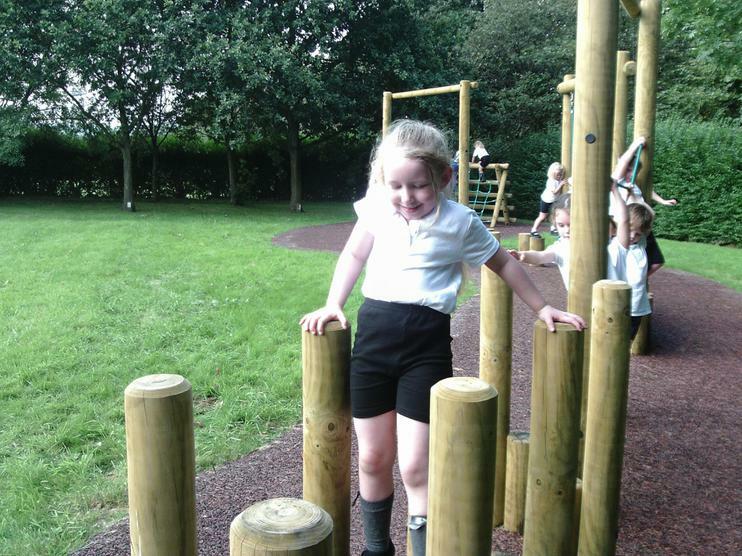 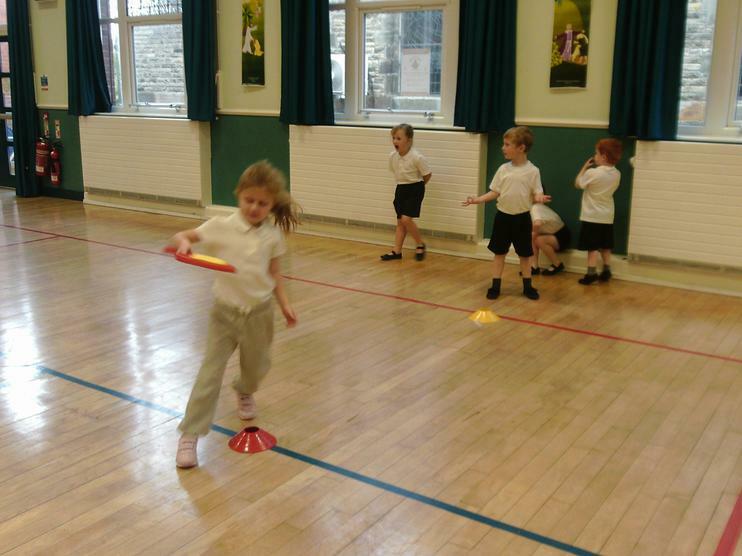 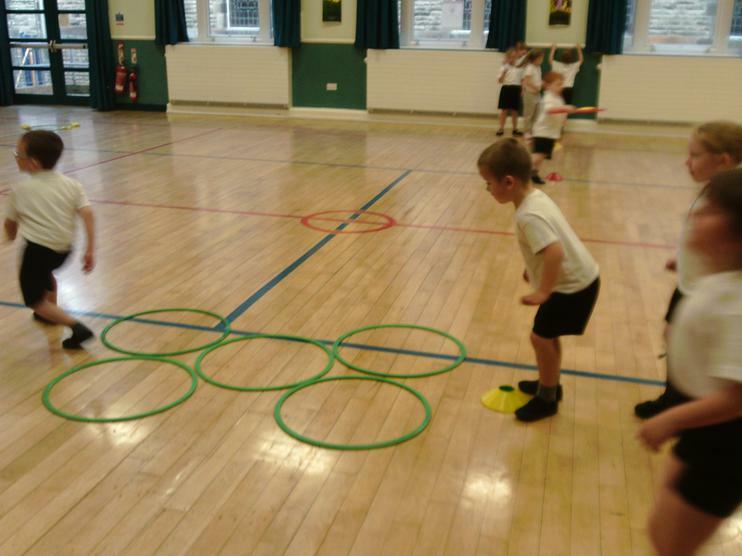 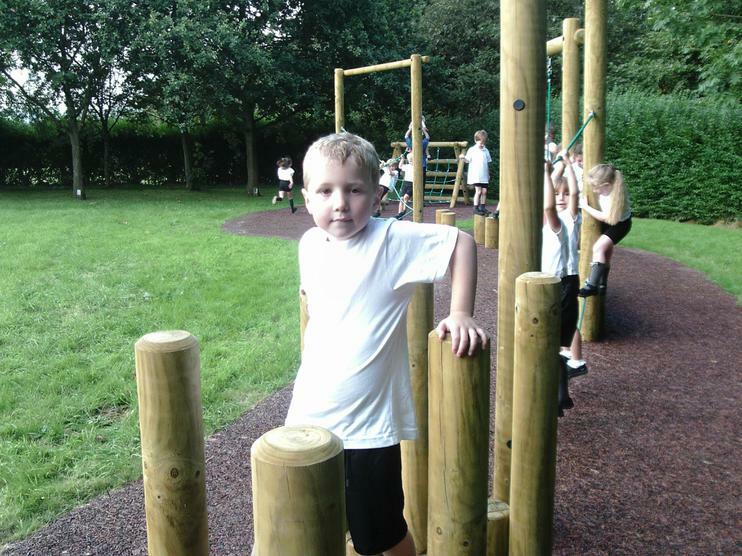 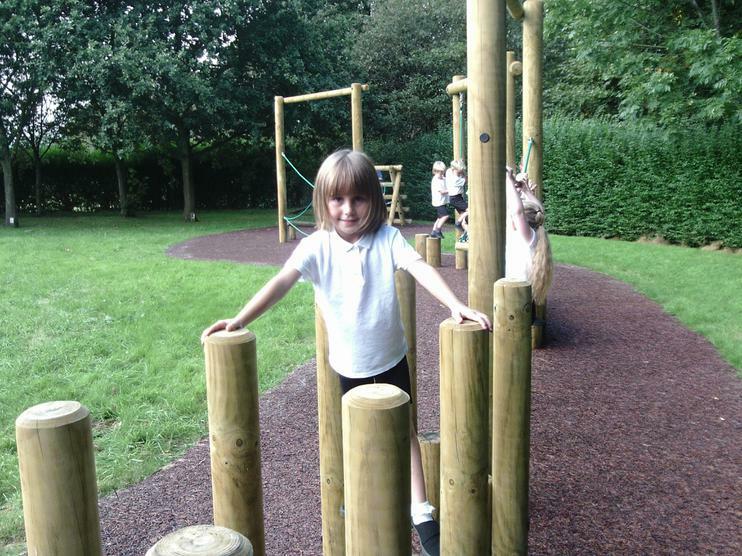 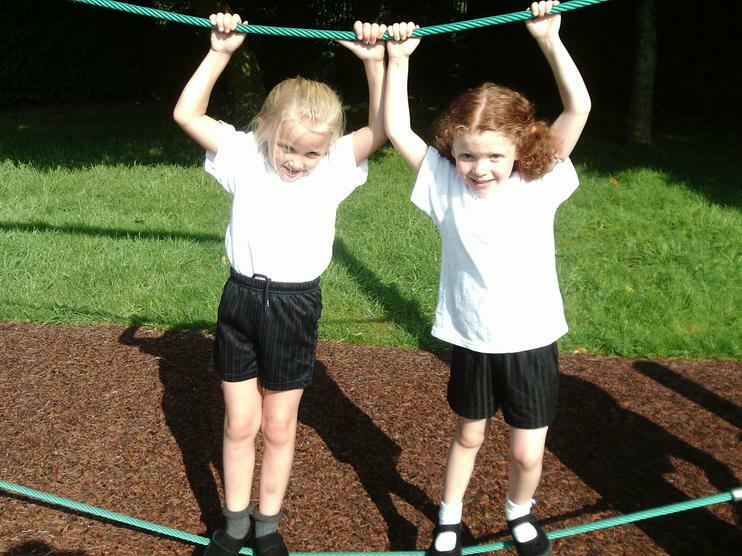 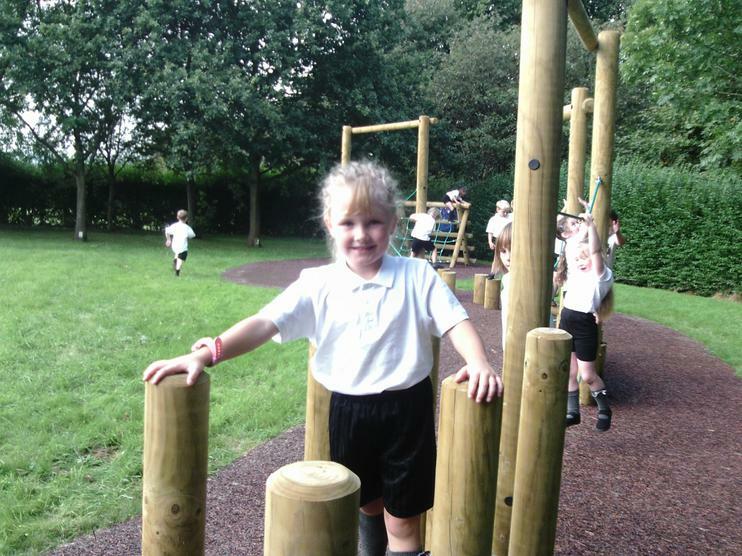 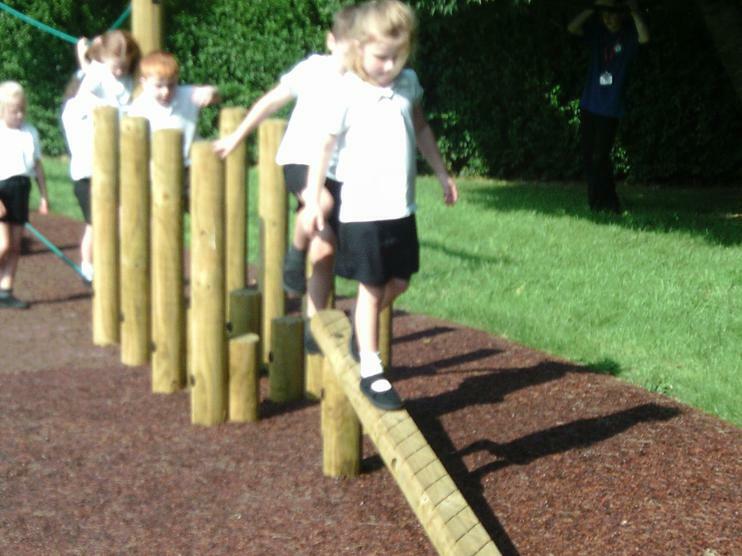 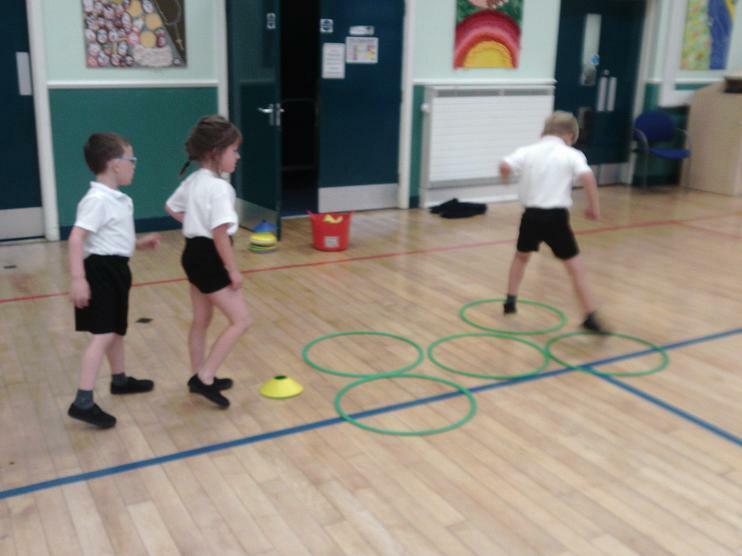 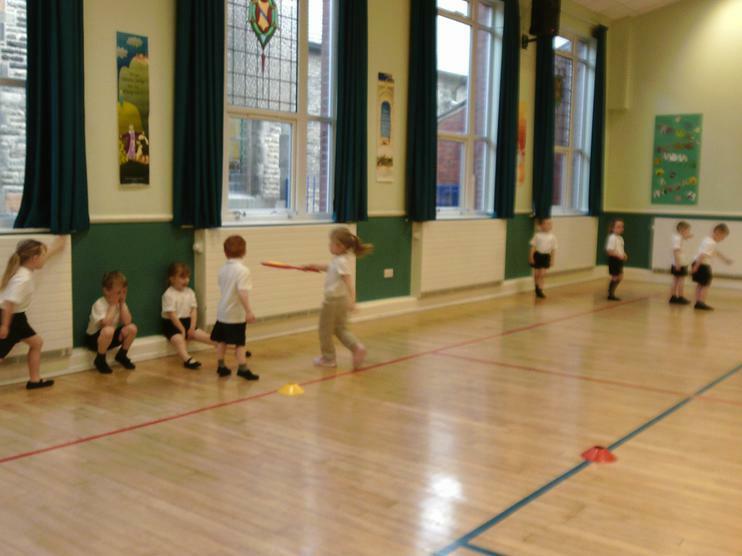 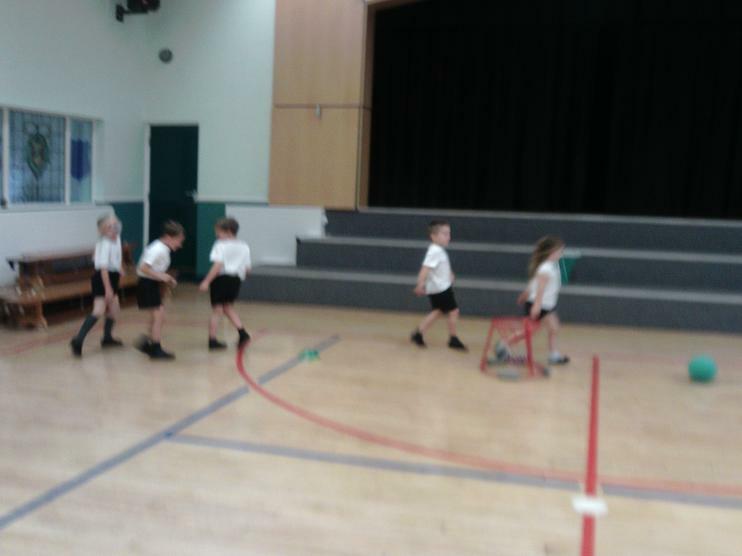 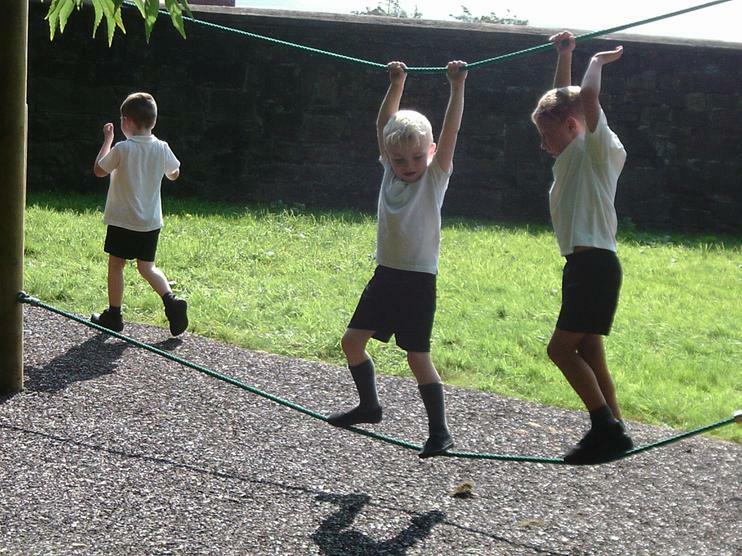 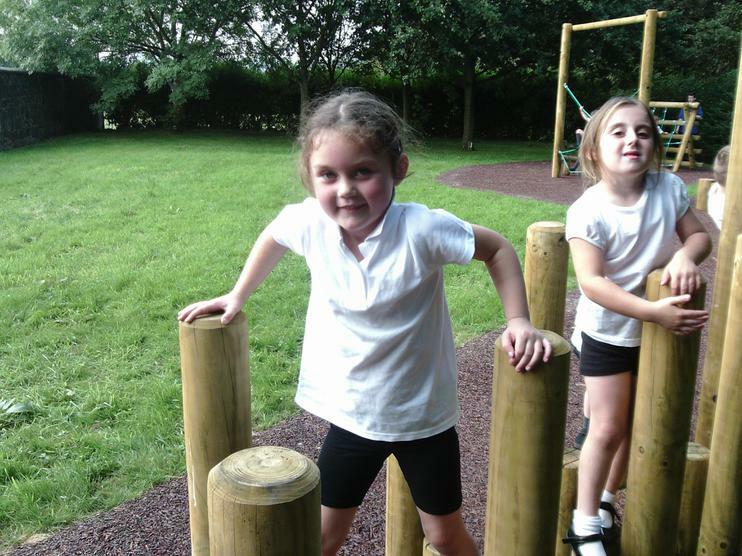 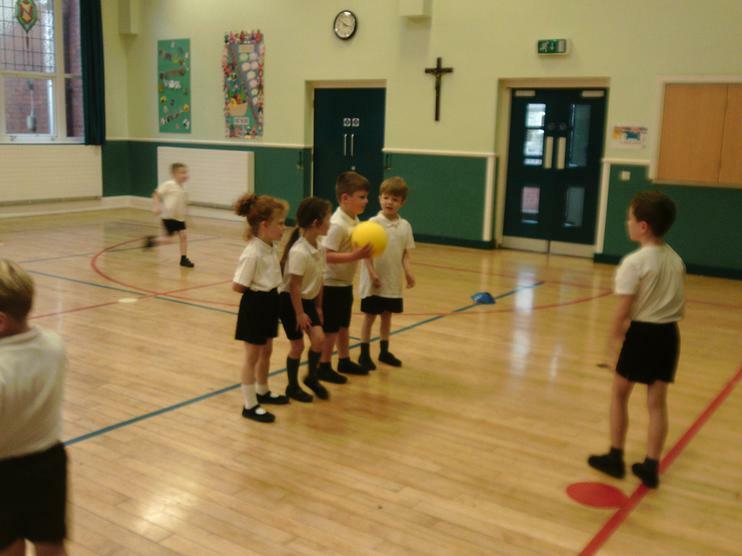 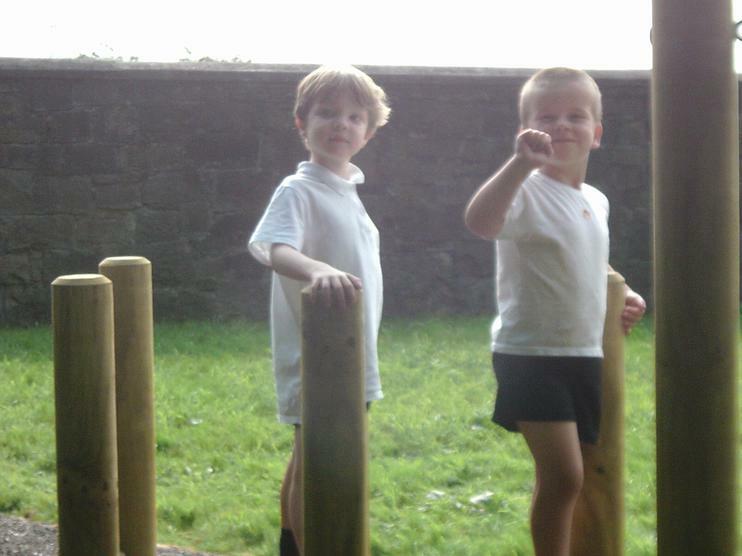 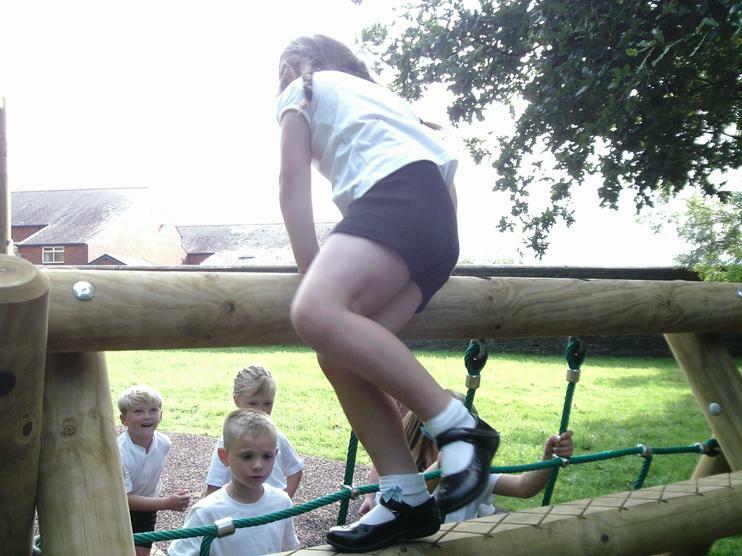 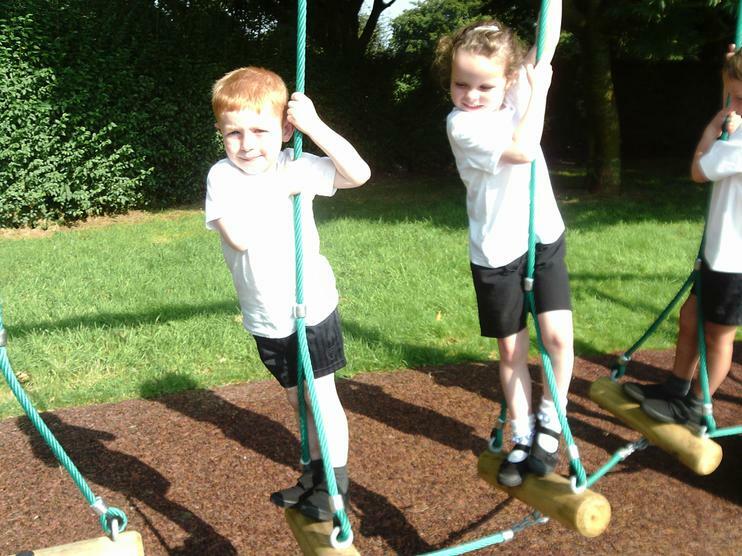 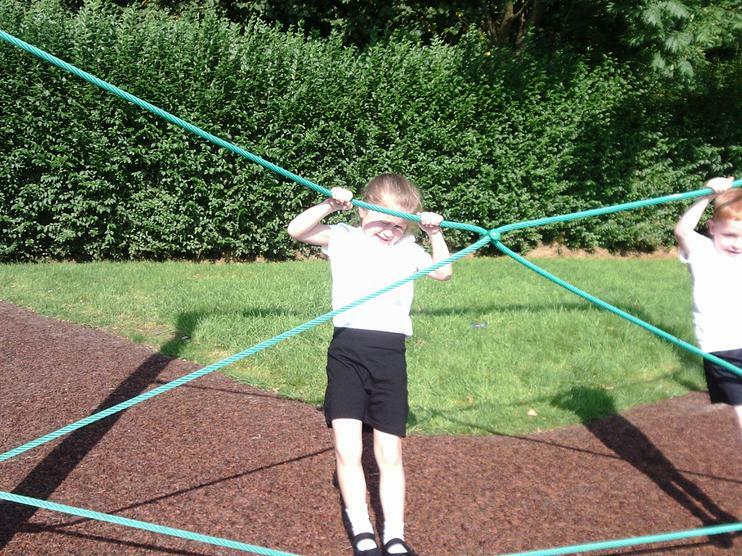 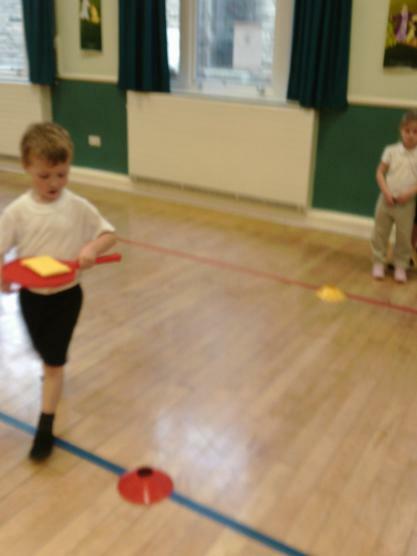 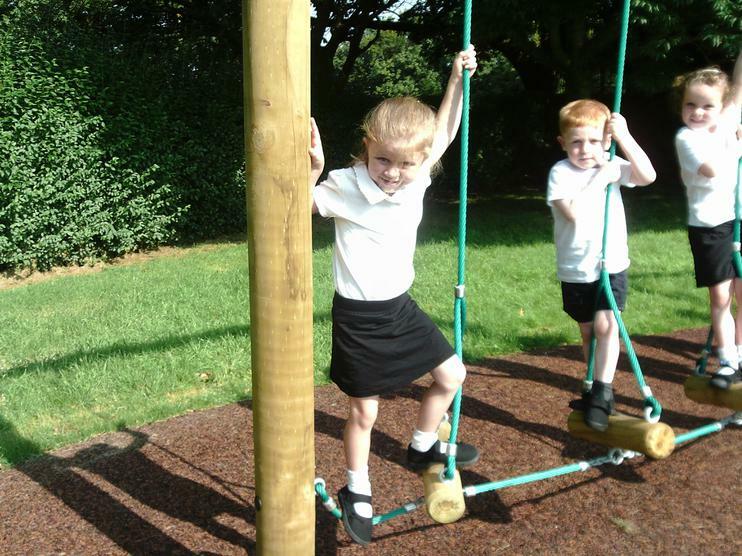 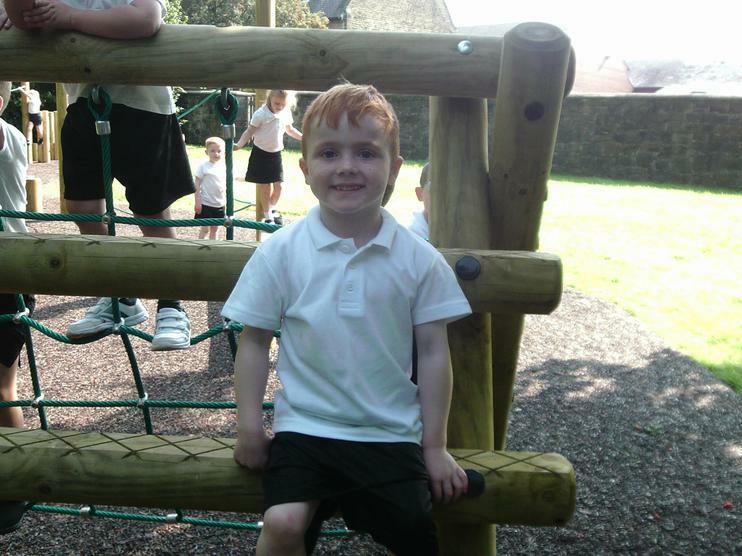 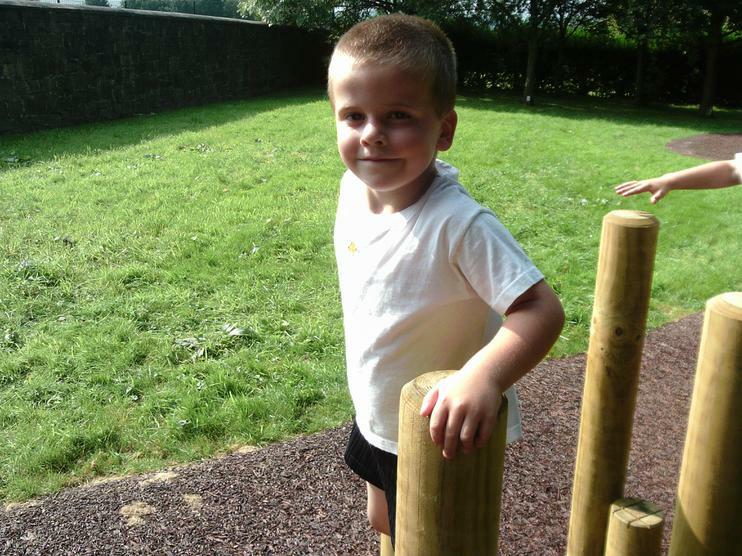 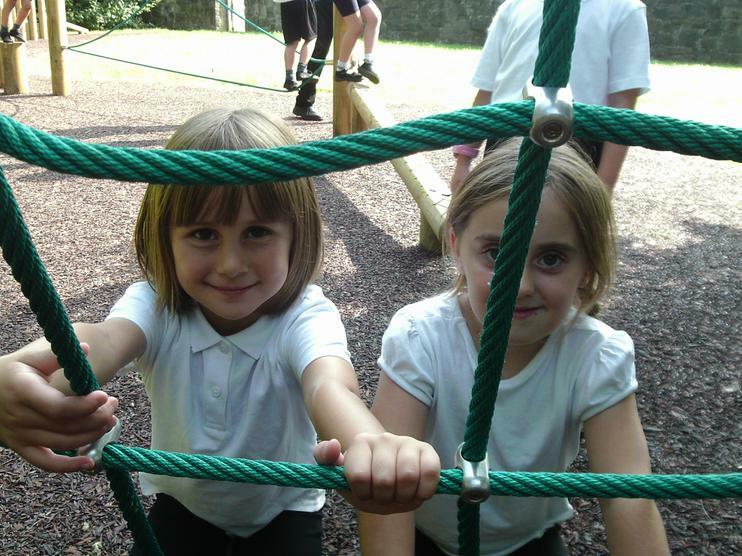 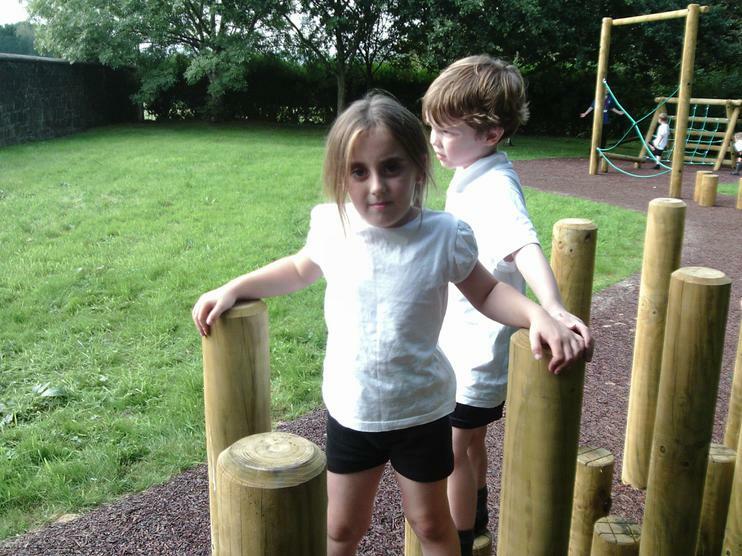 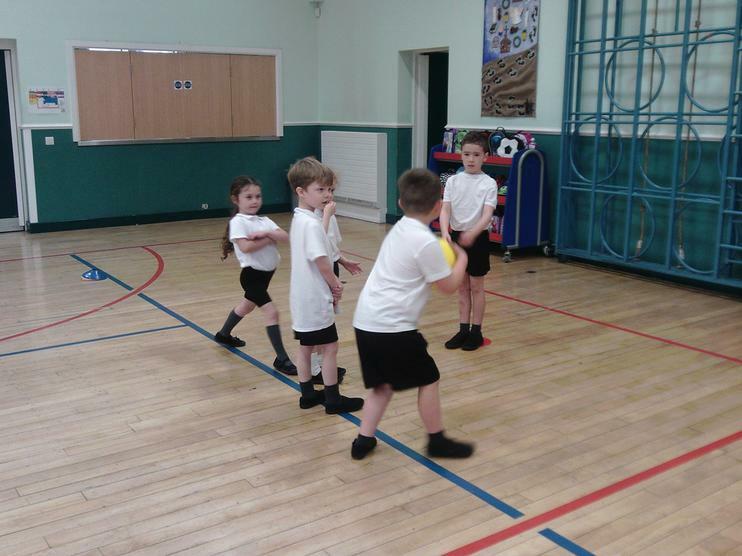 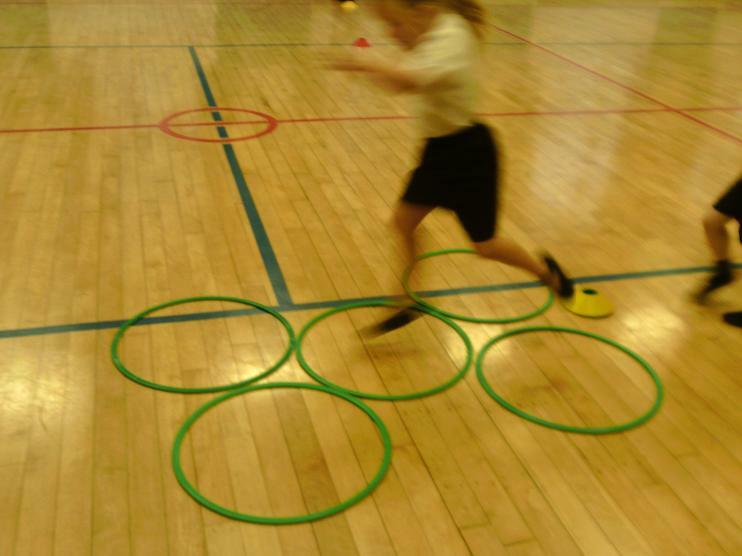 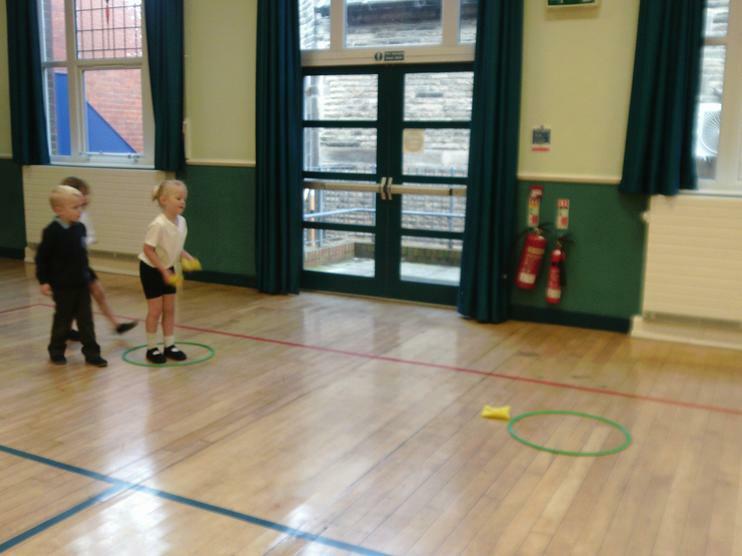 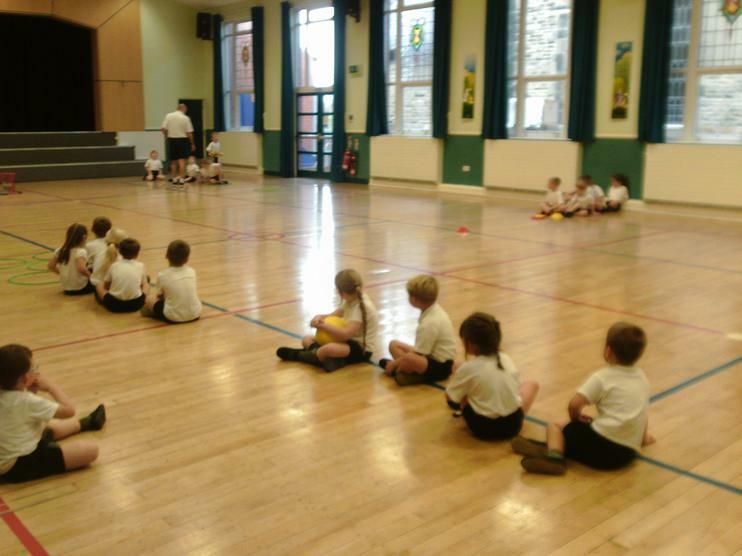 We love PE in year 1, especially on Monday mornings. 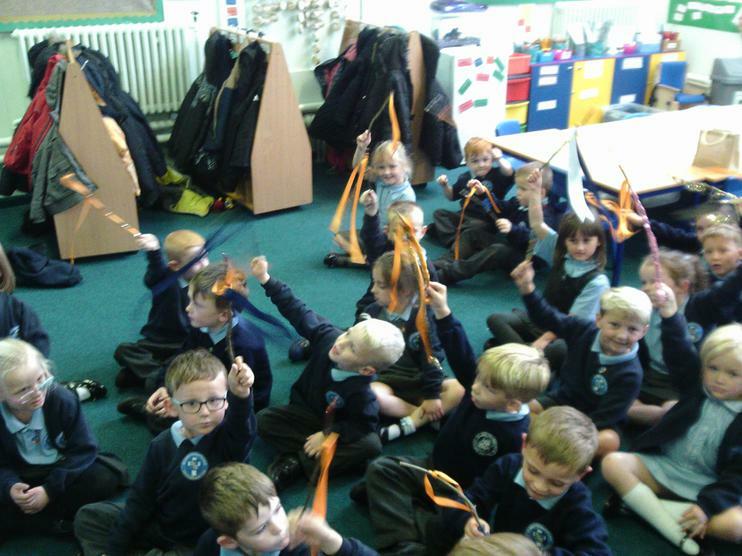 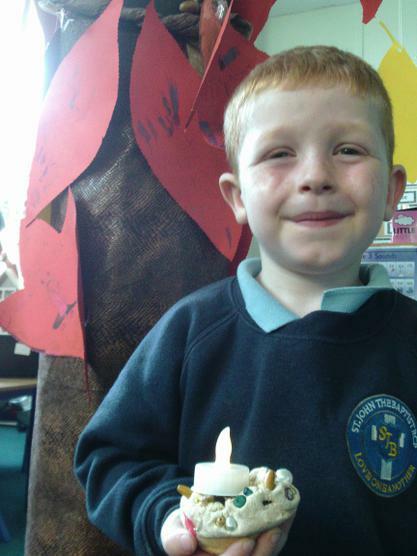 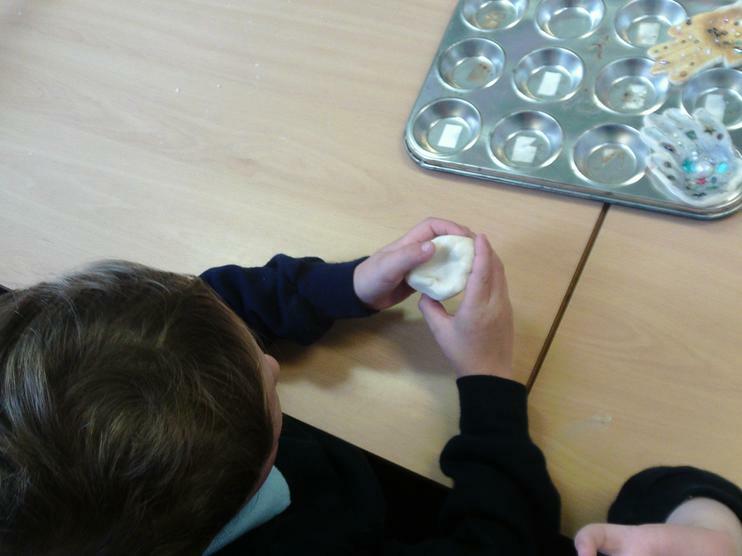 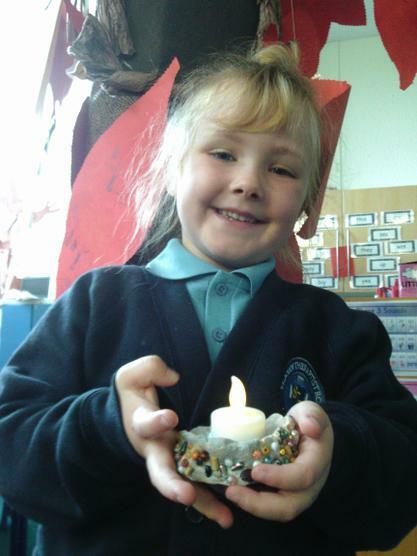 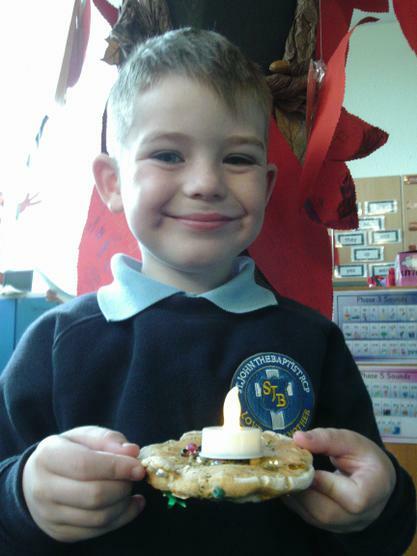 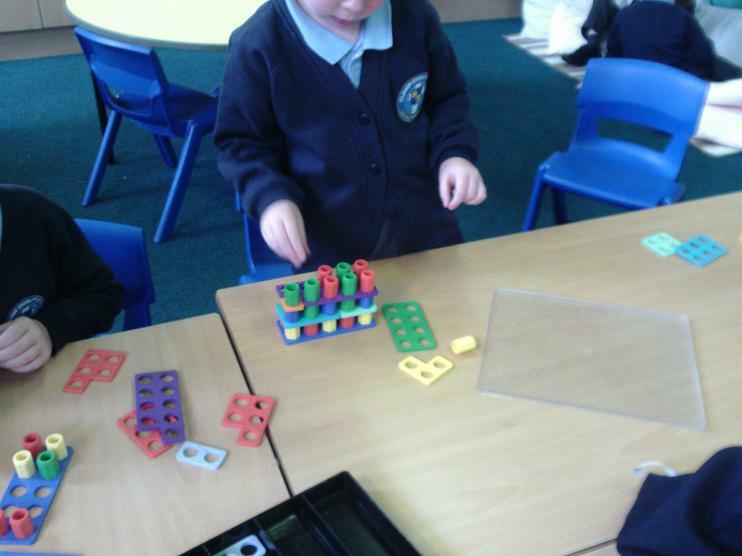 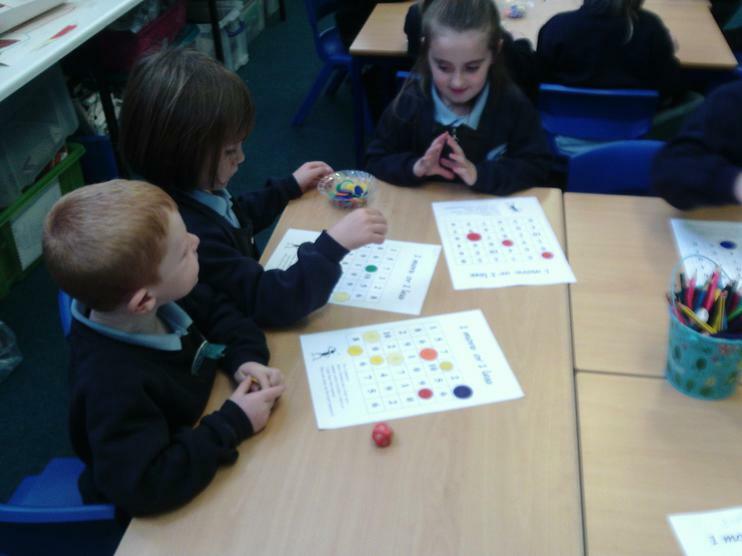 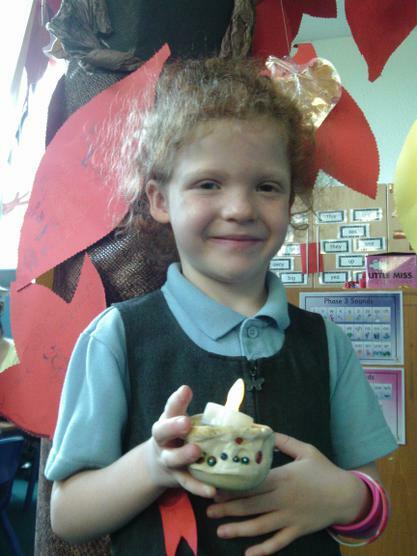 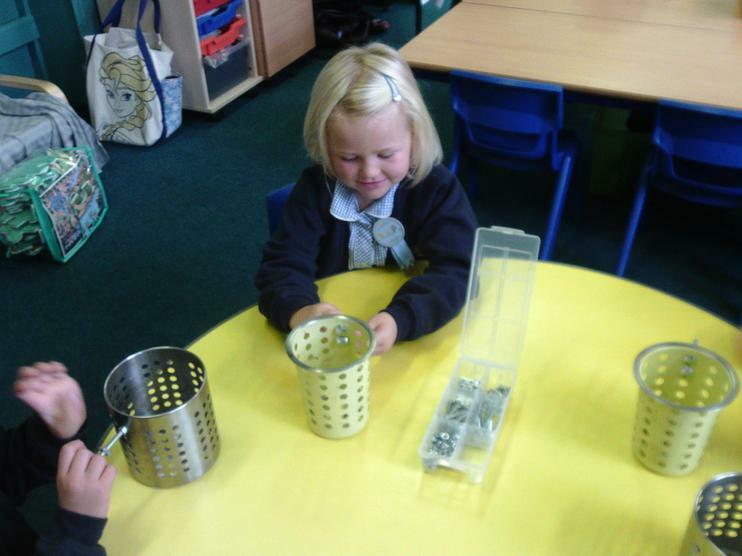 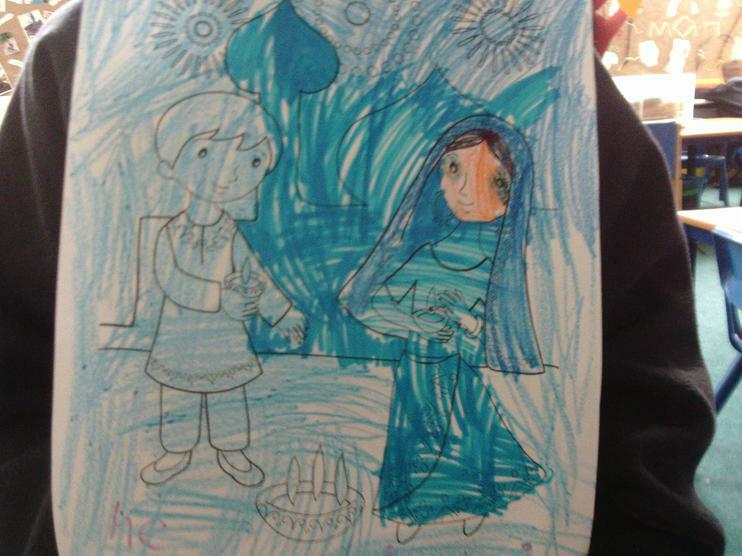 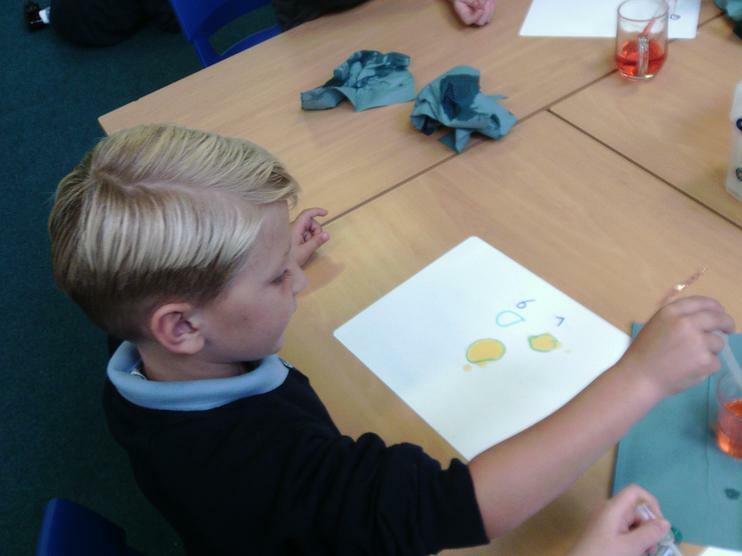 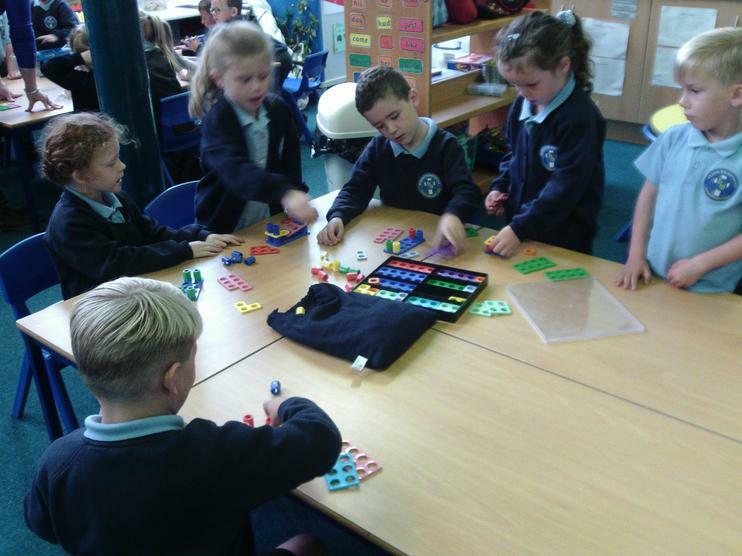 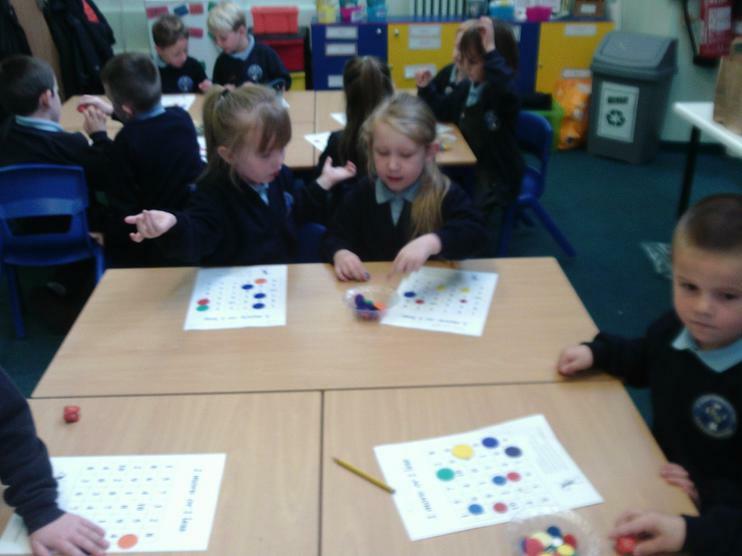 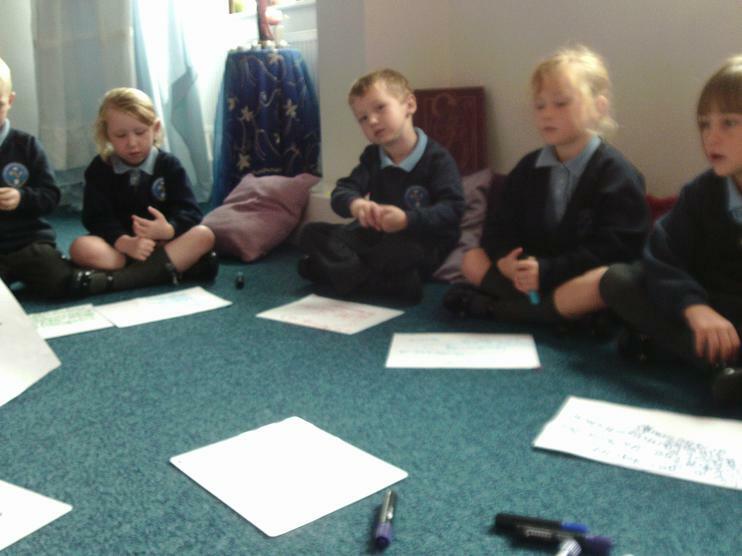 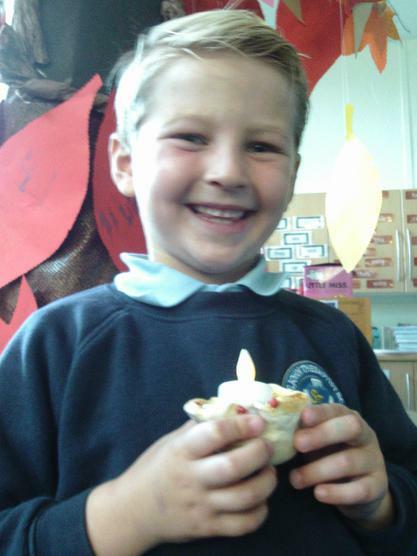 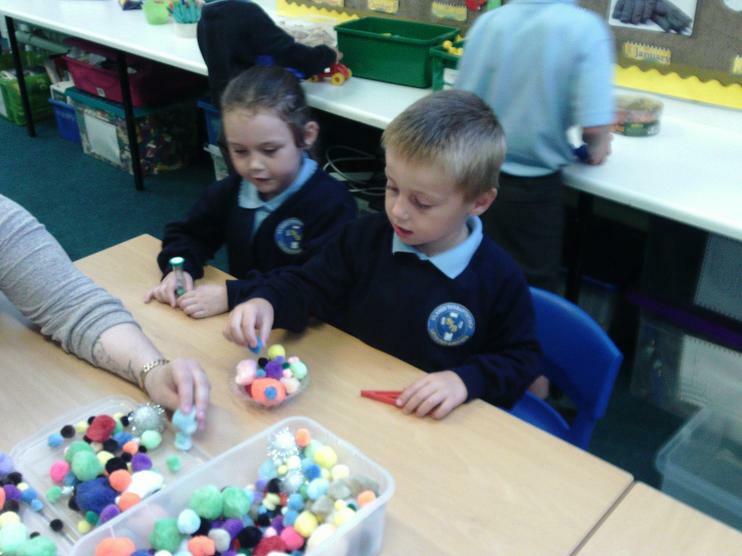 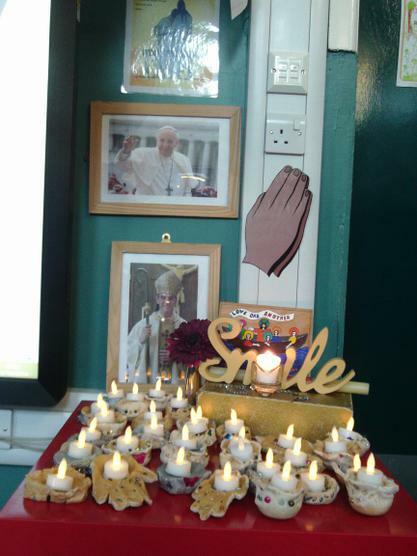 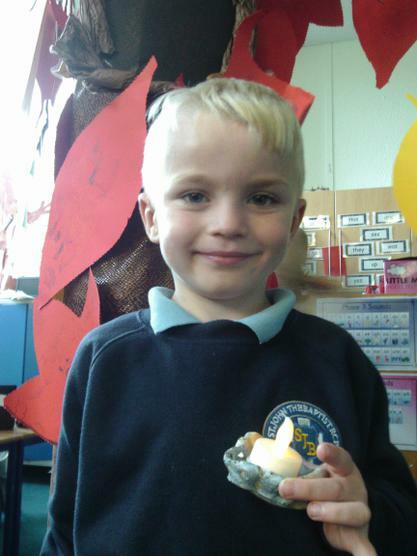 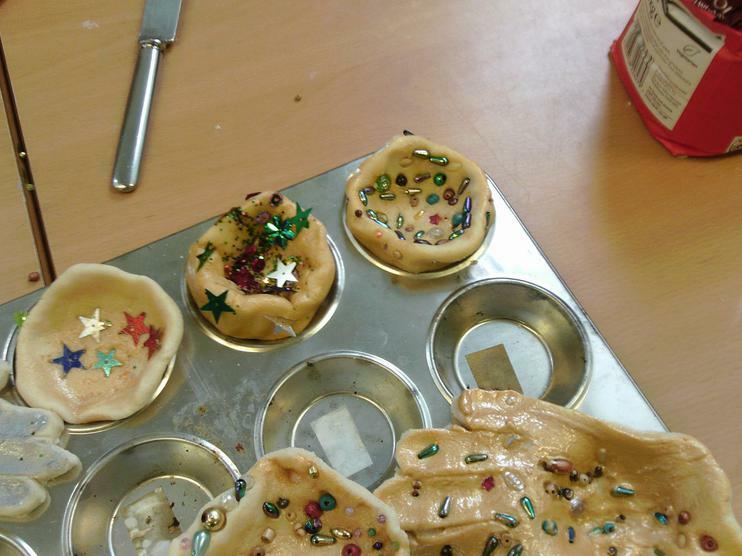 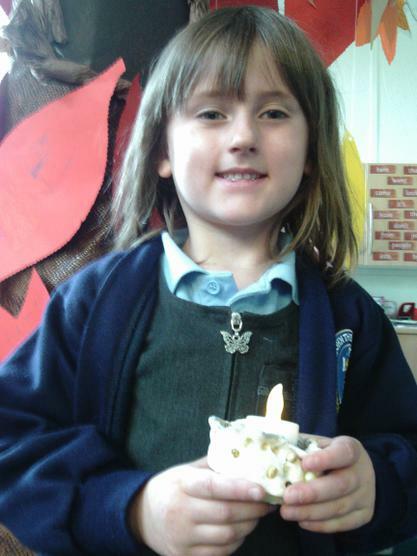 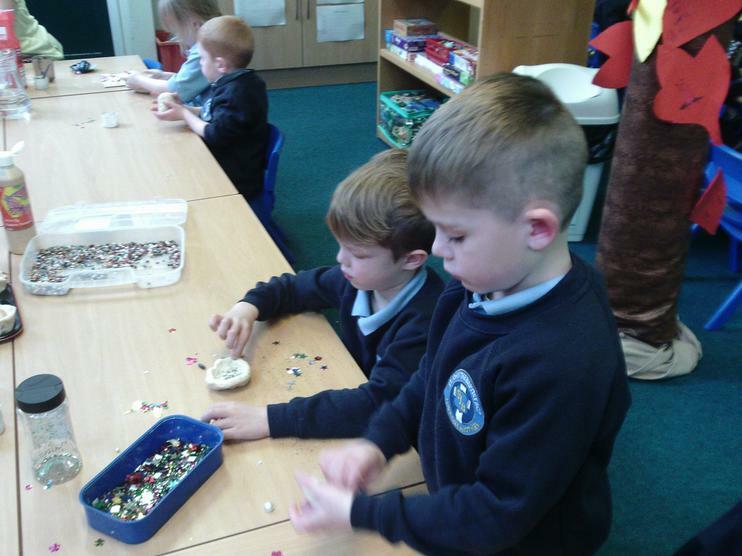 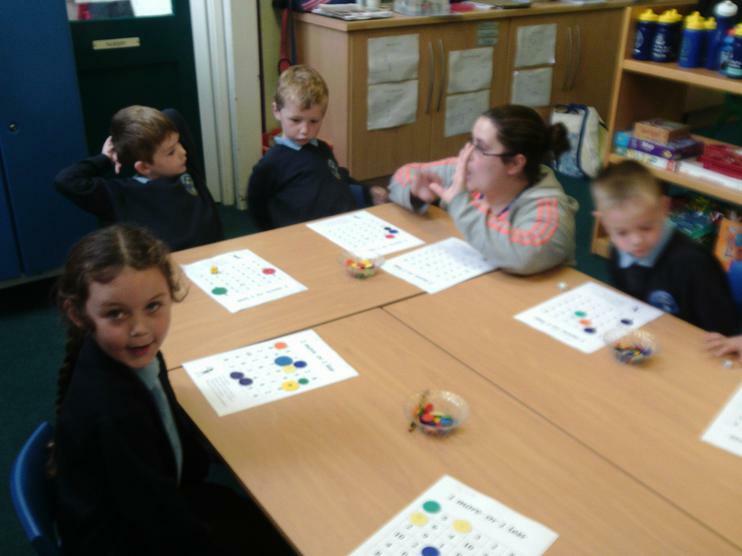 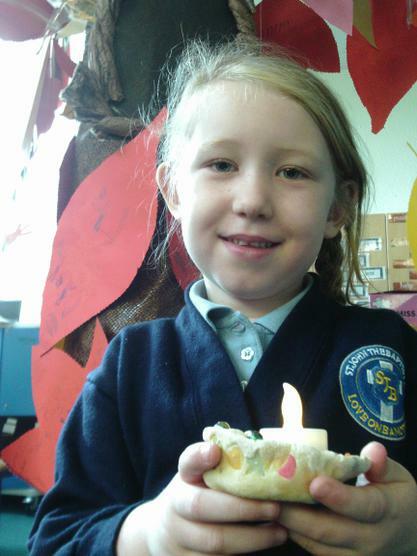 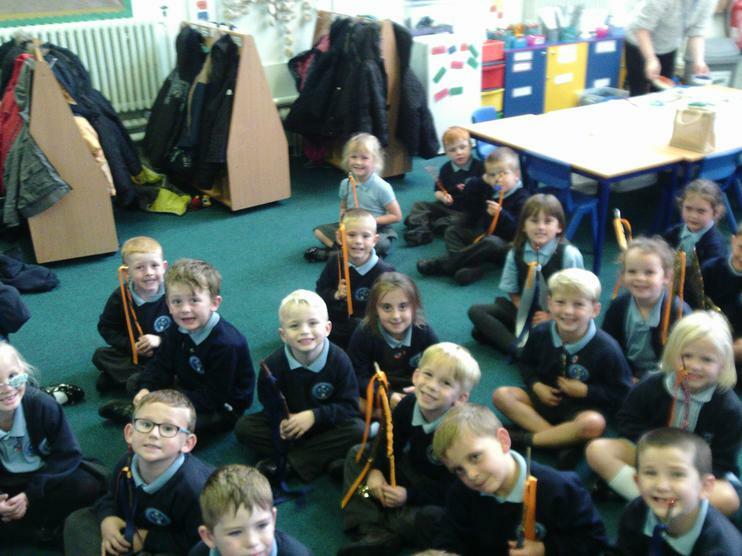 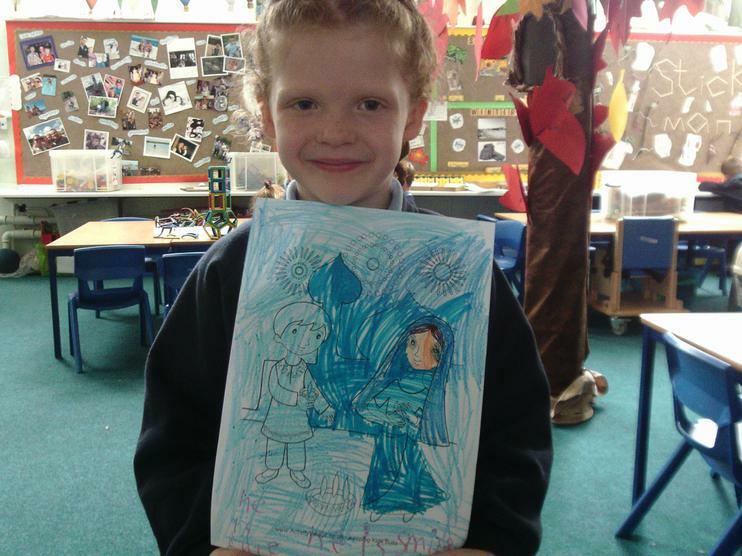 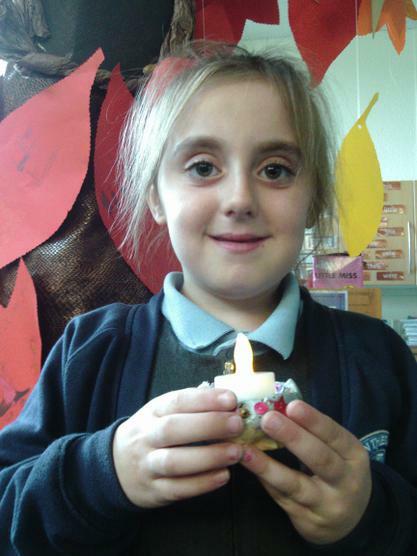 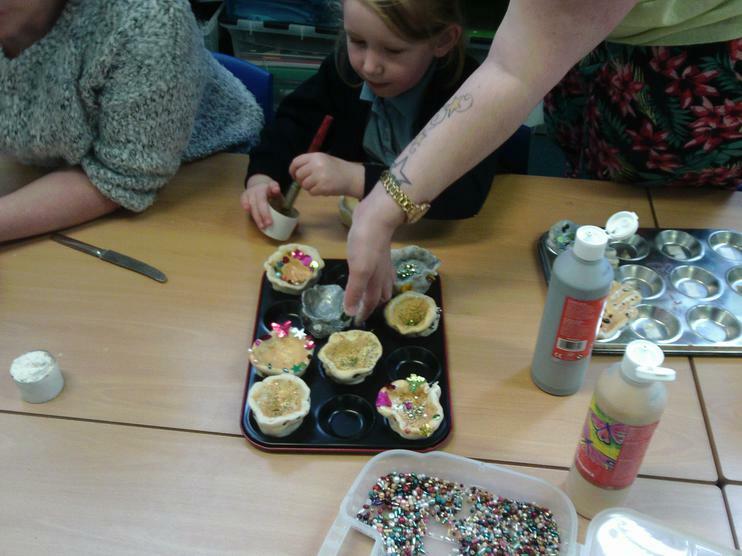 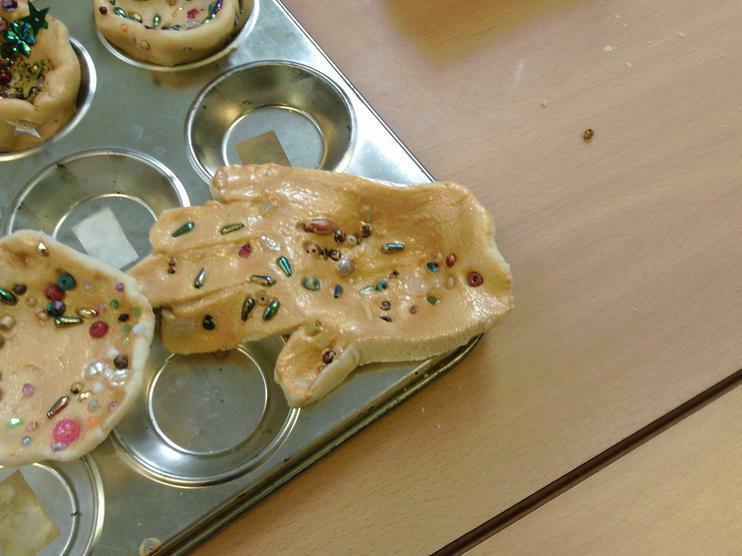 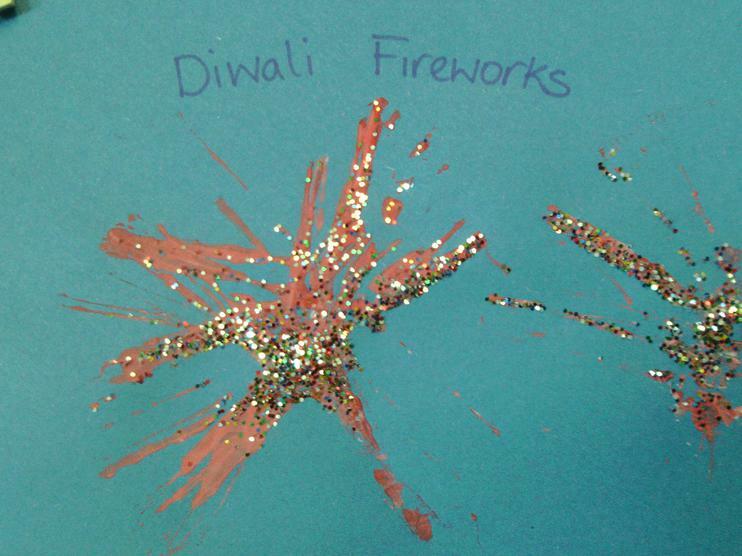 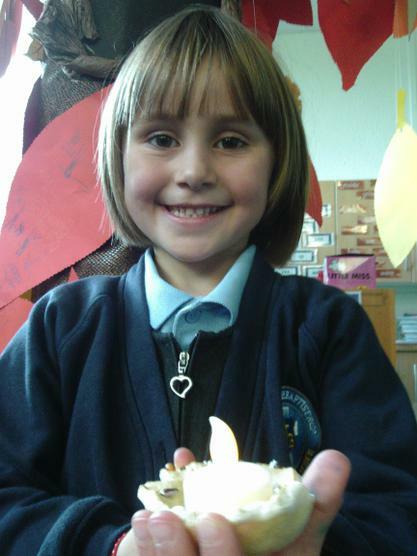 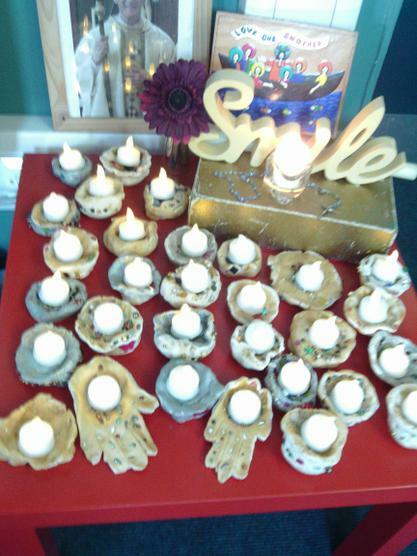 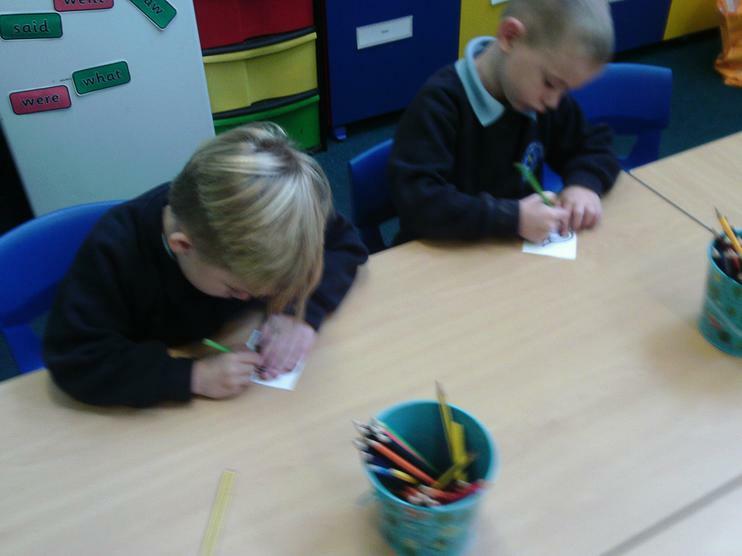 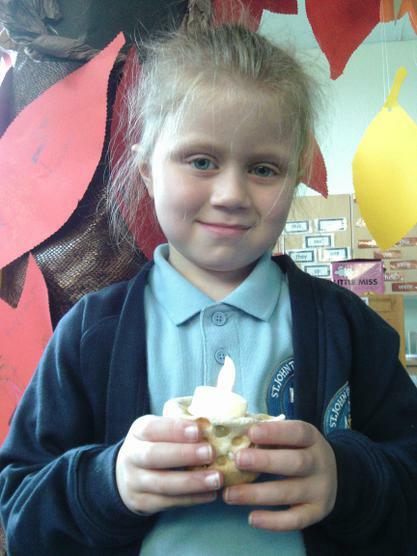 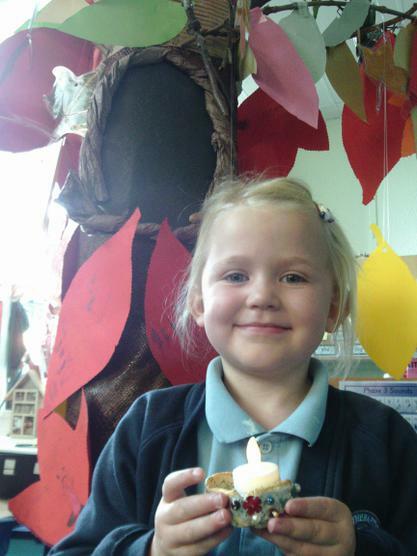 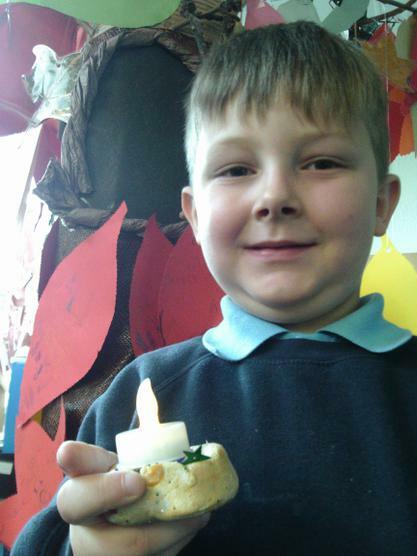 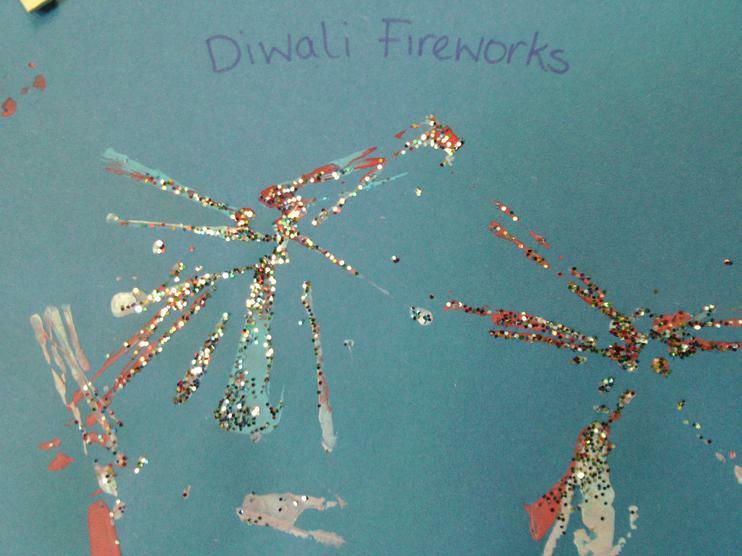 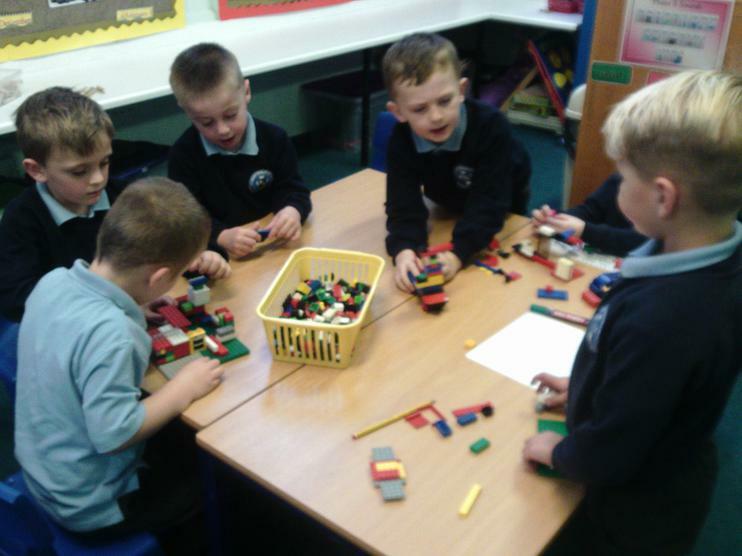 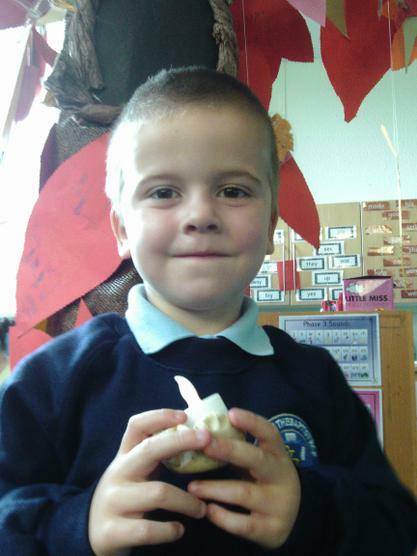 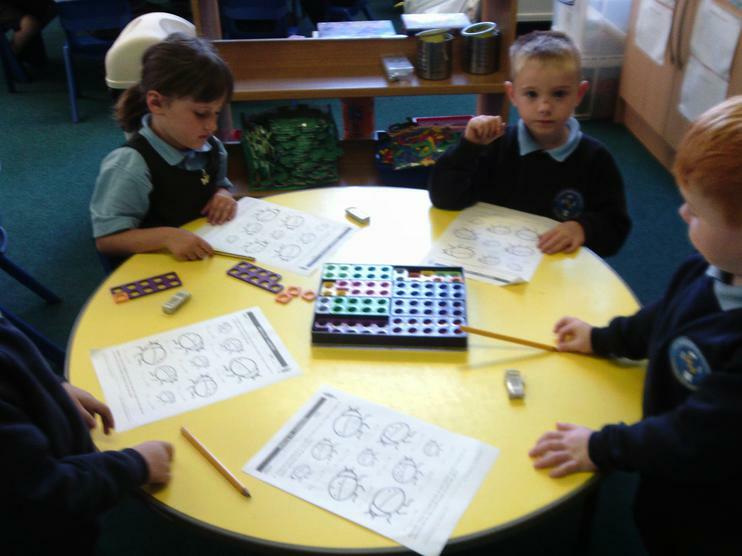 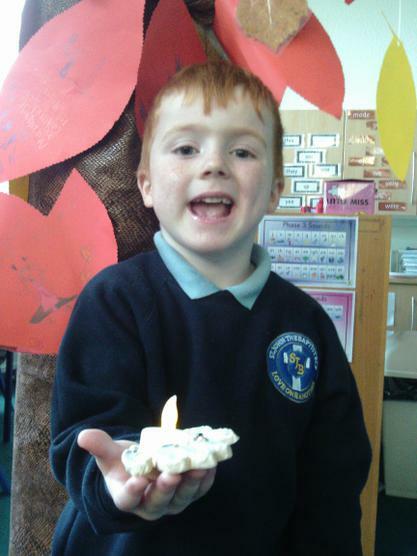 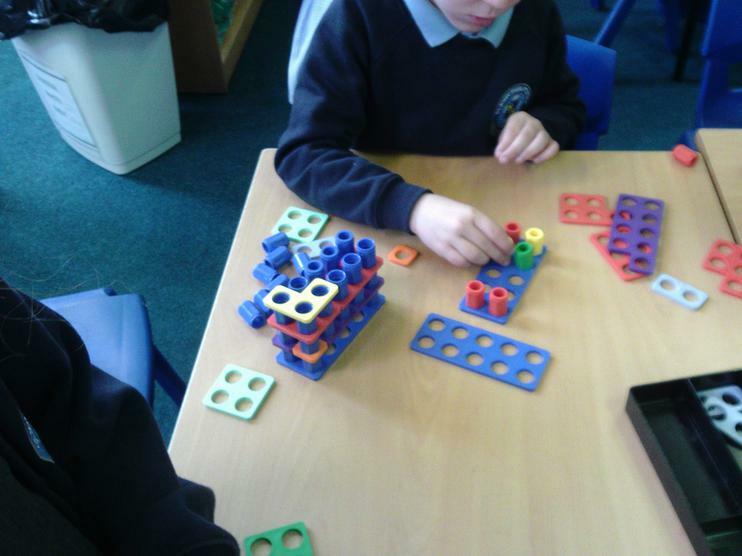 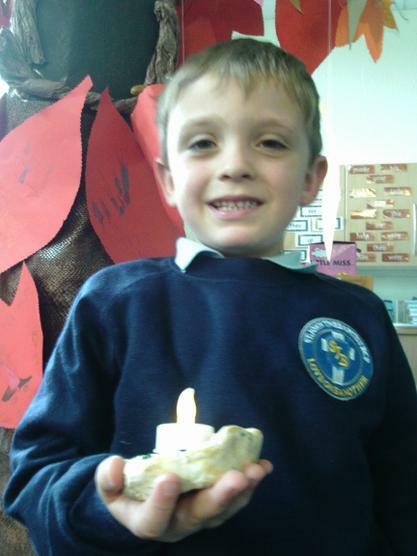 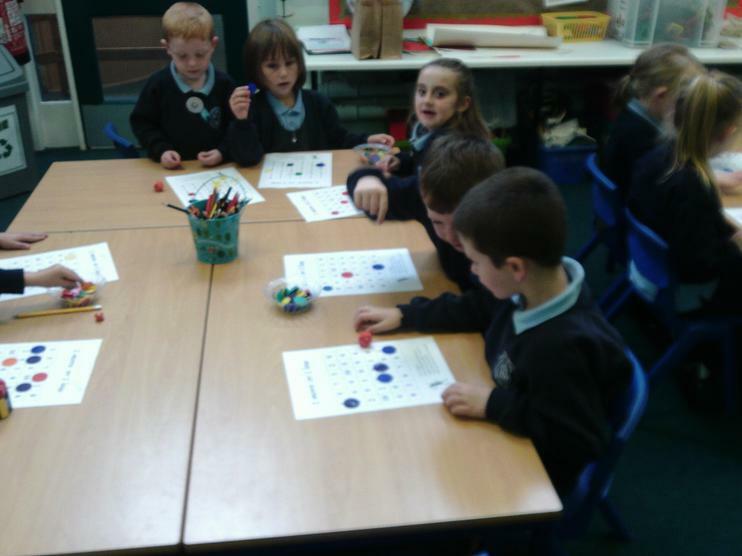 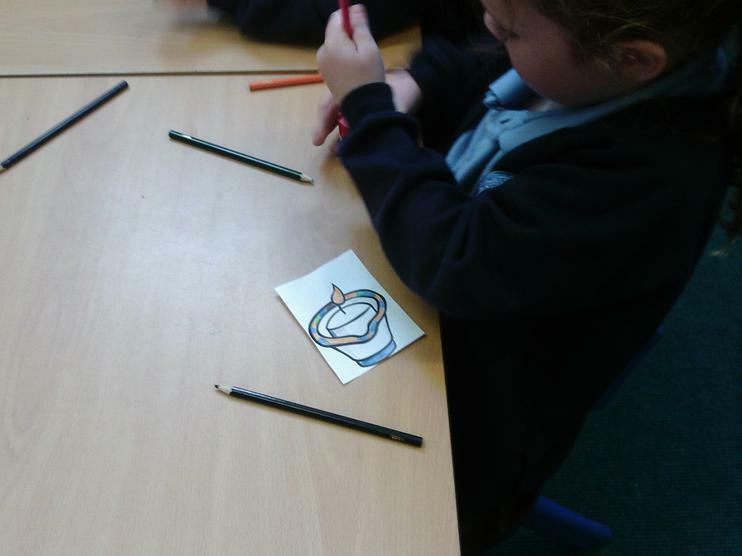 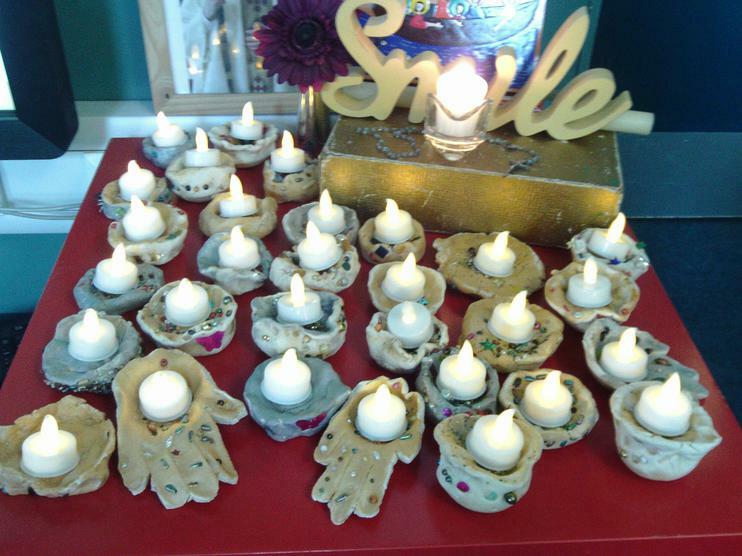 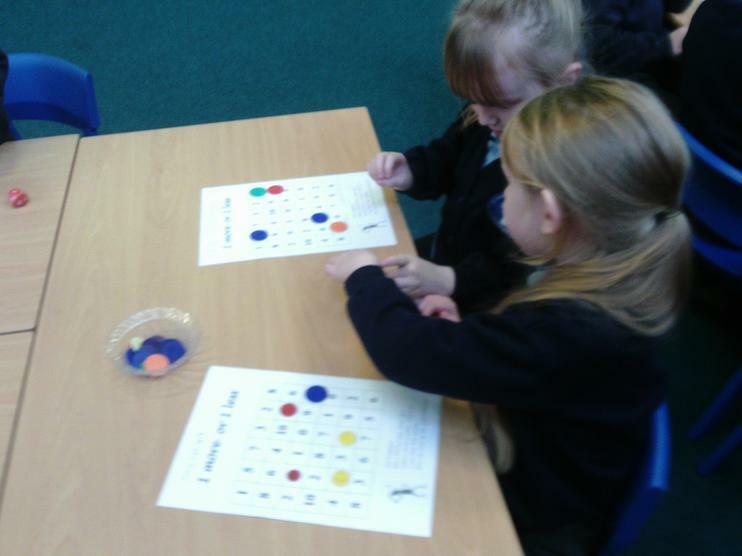 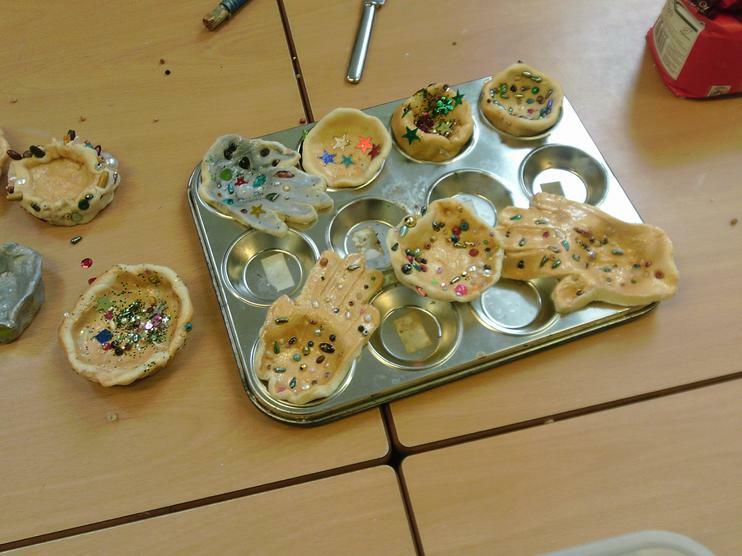 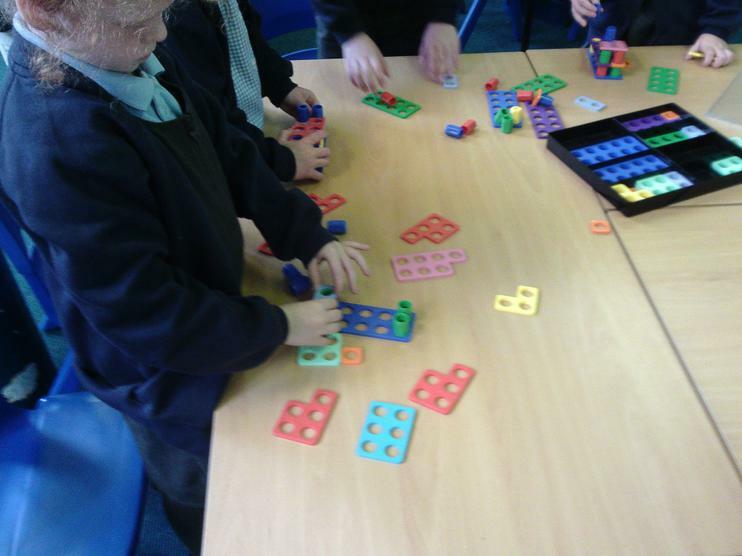 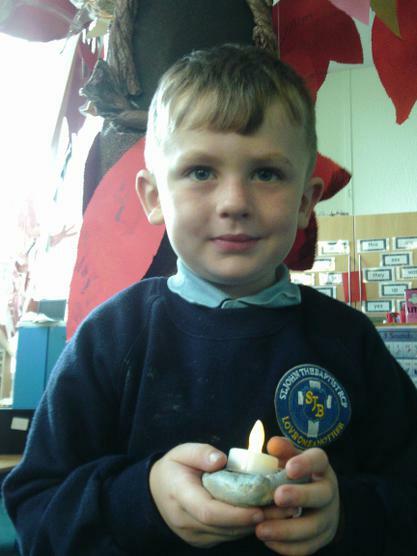 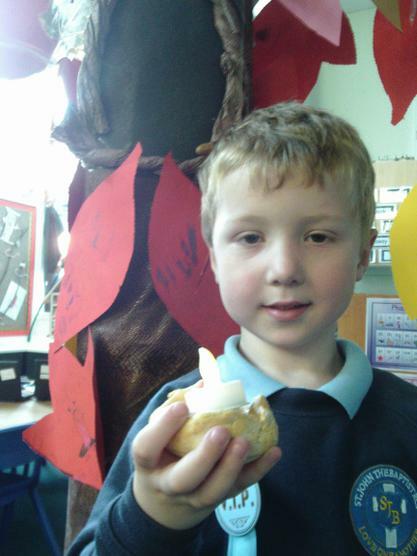 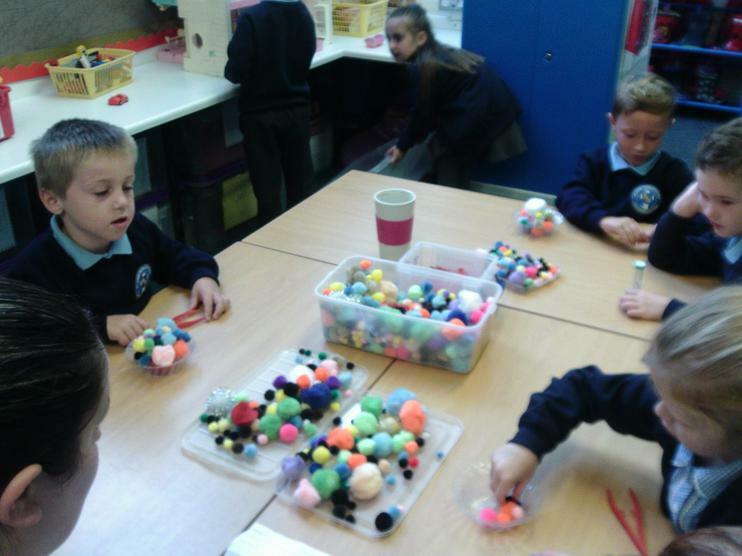 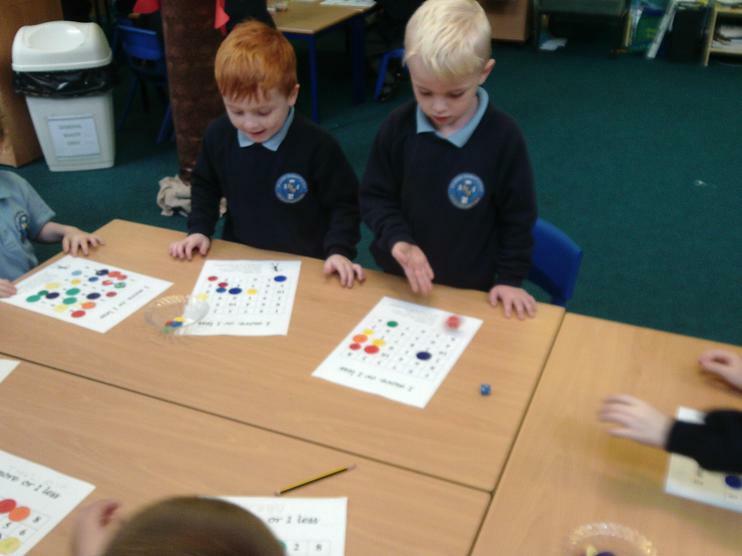 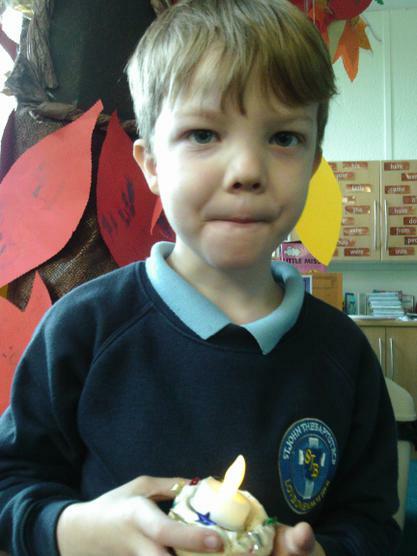 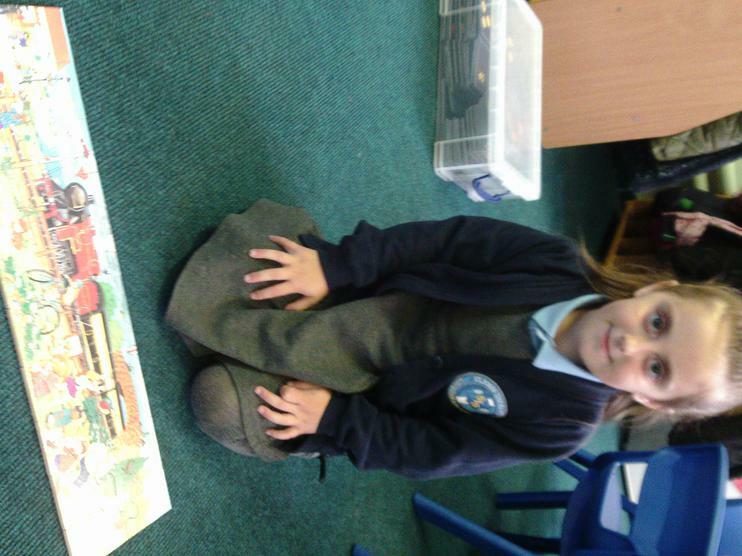 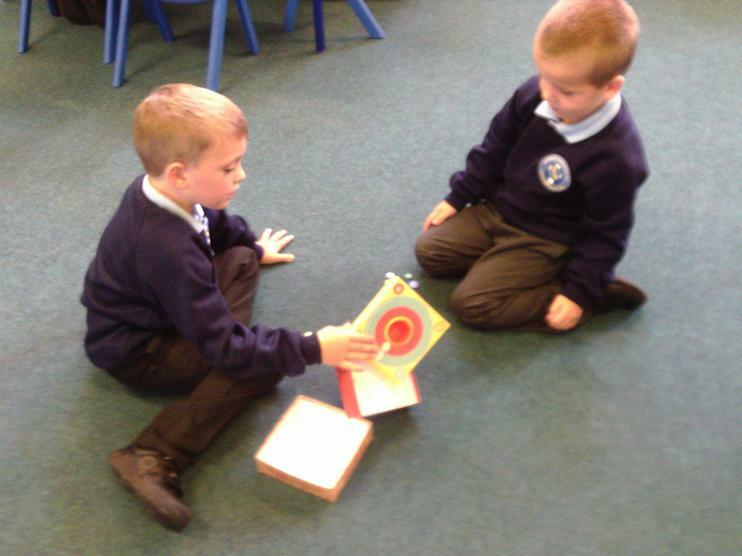 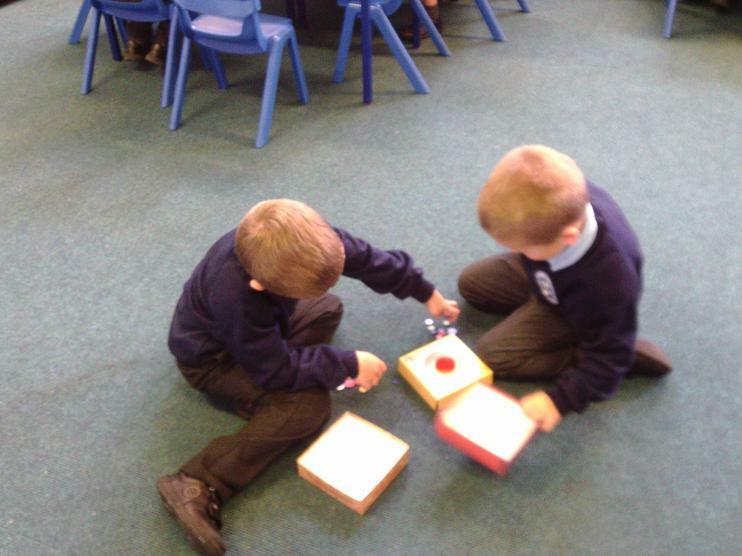 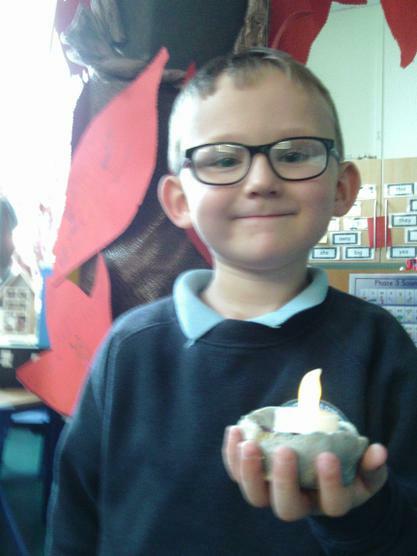 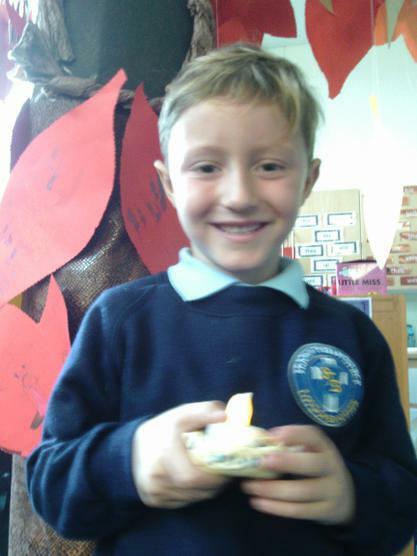 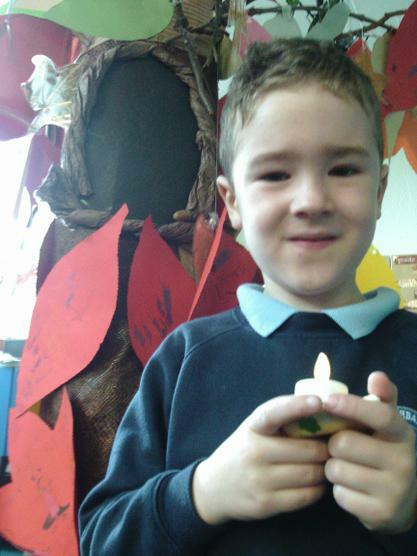 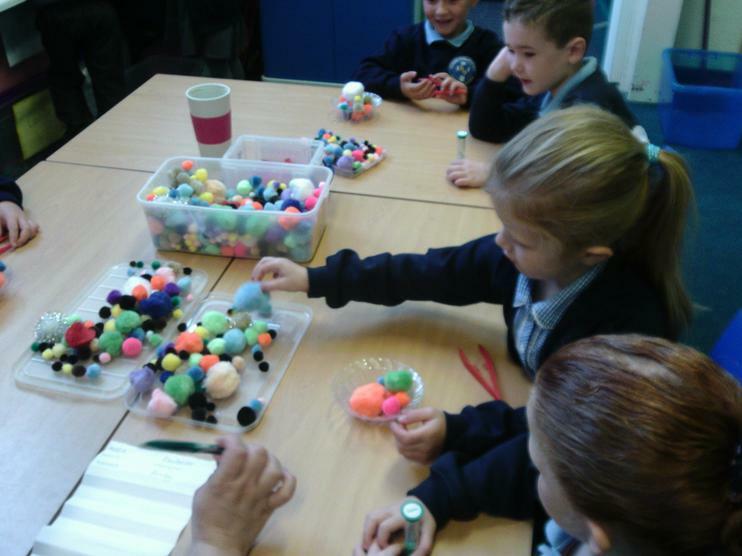 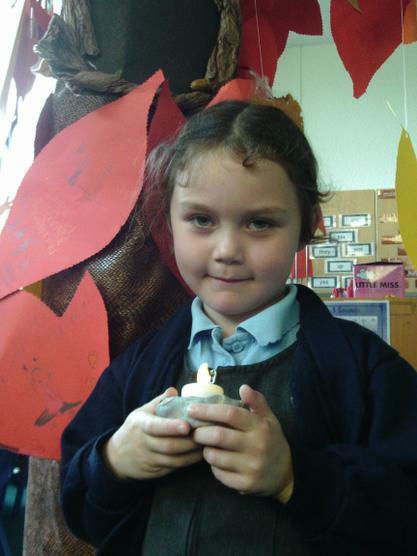 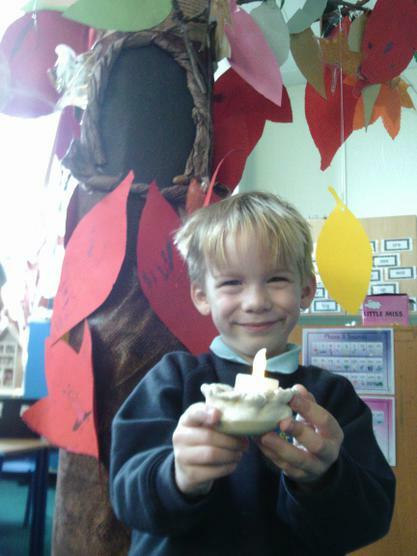 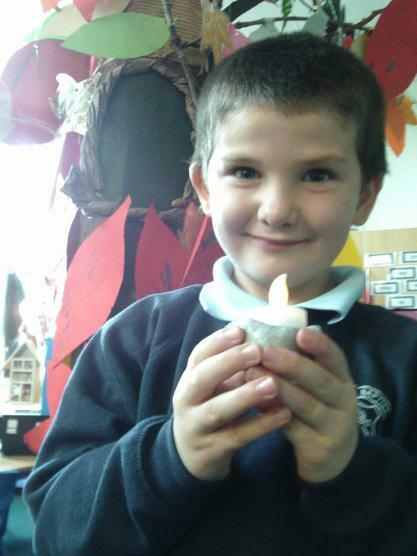 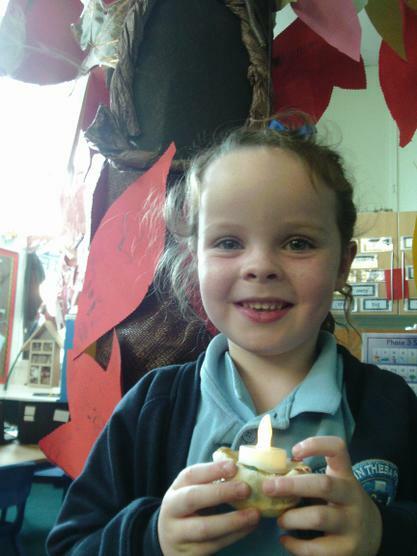 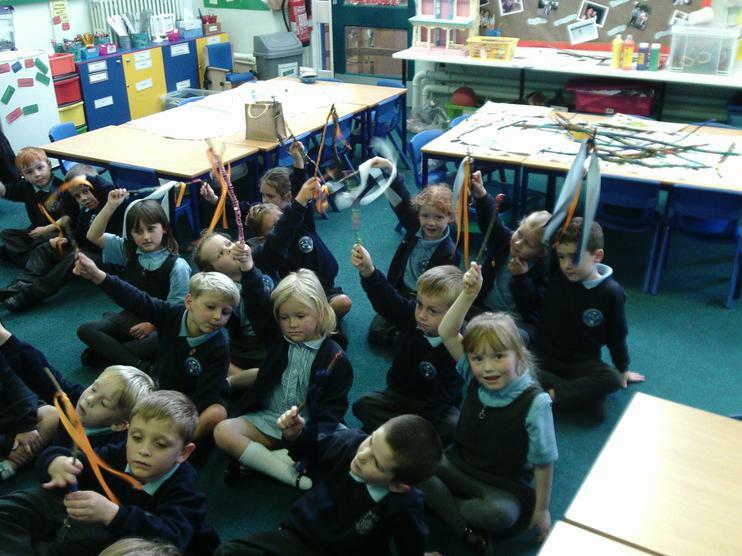 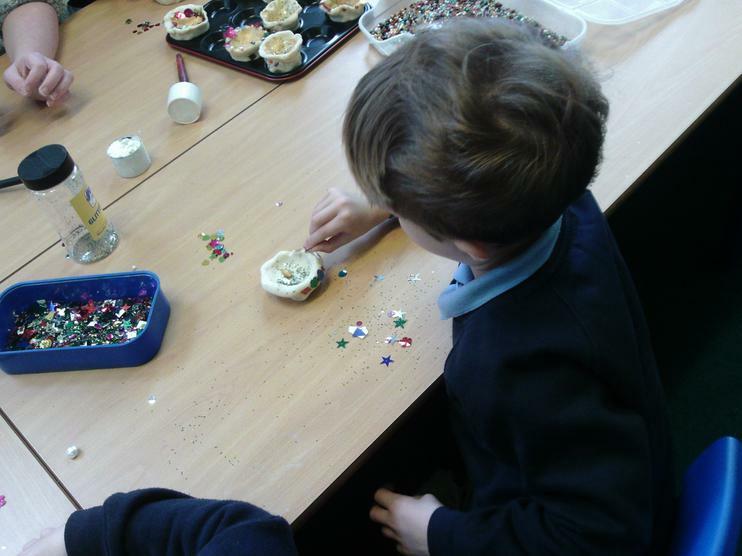 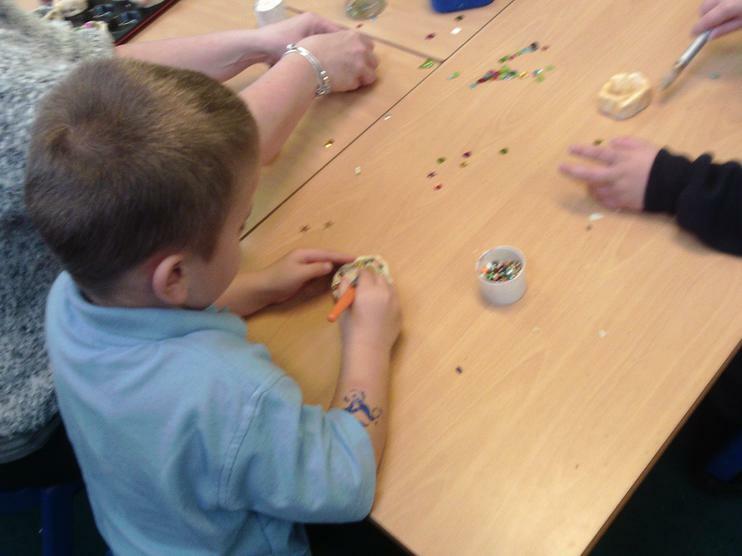 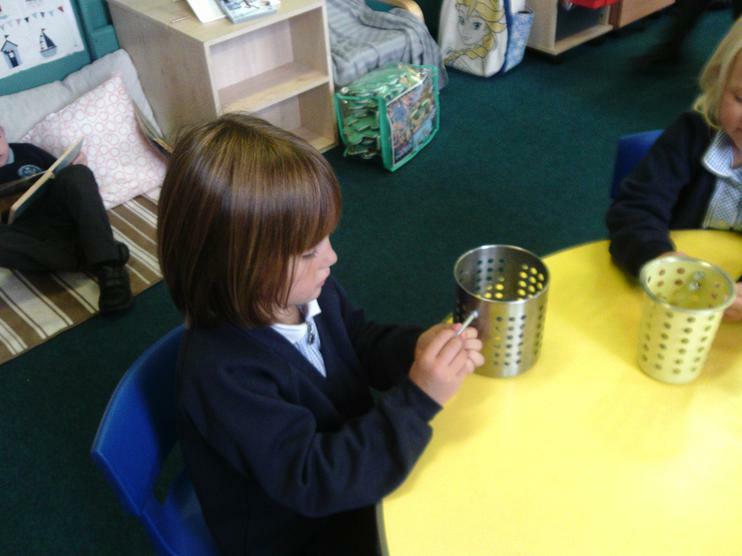 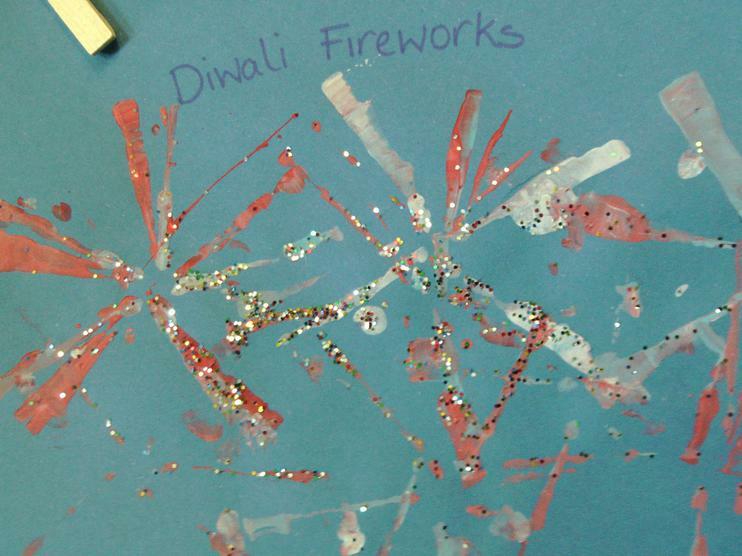 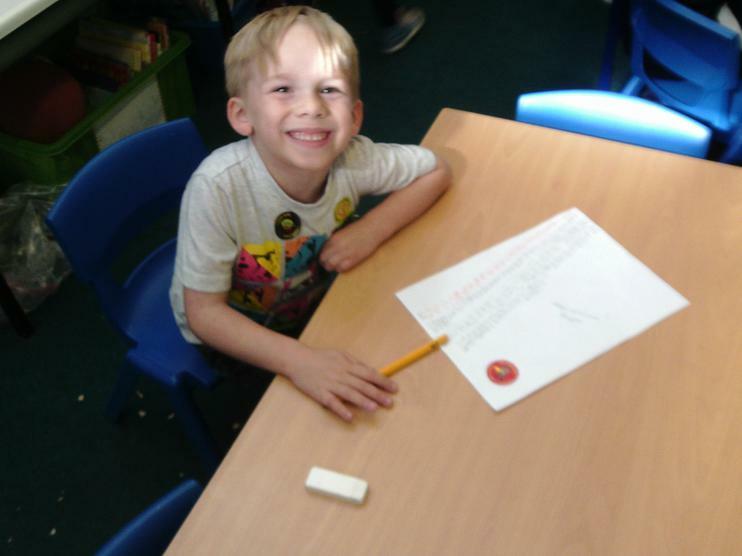 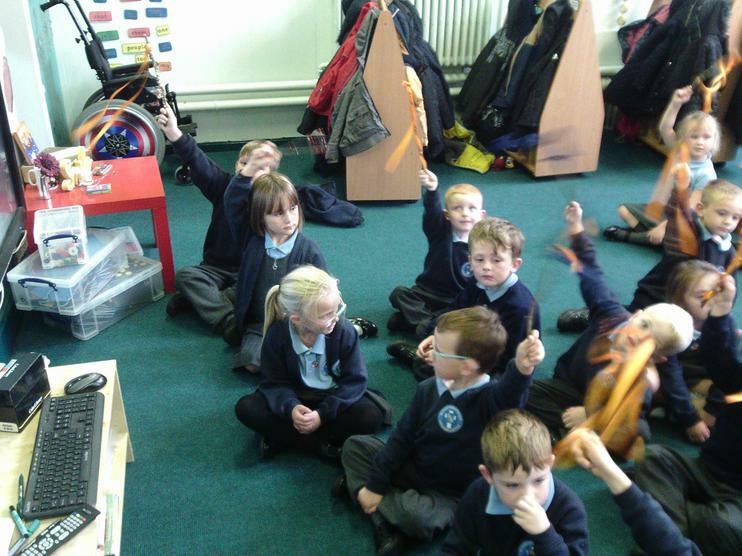 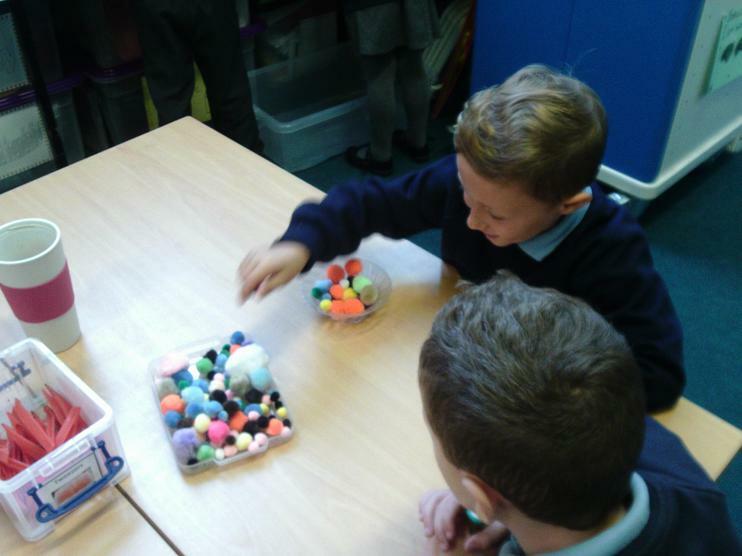 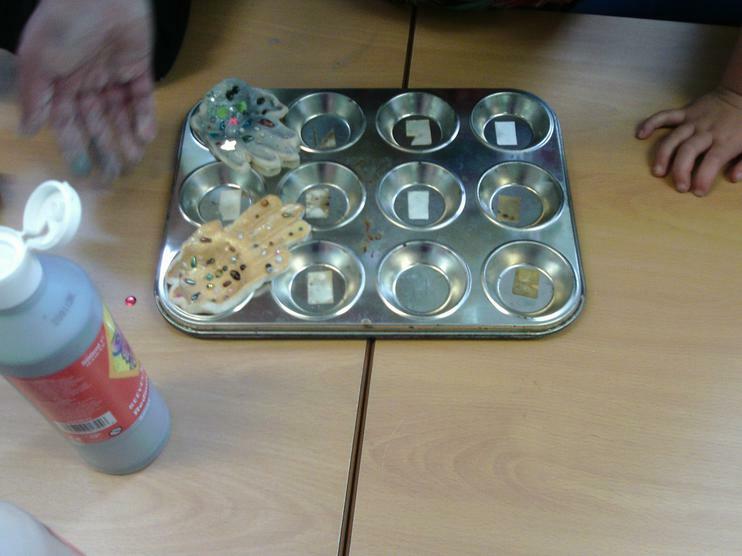 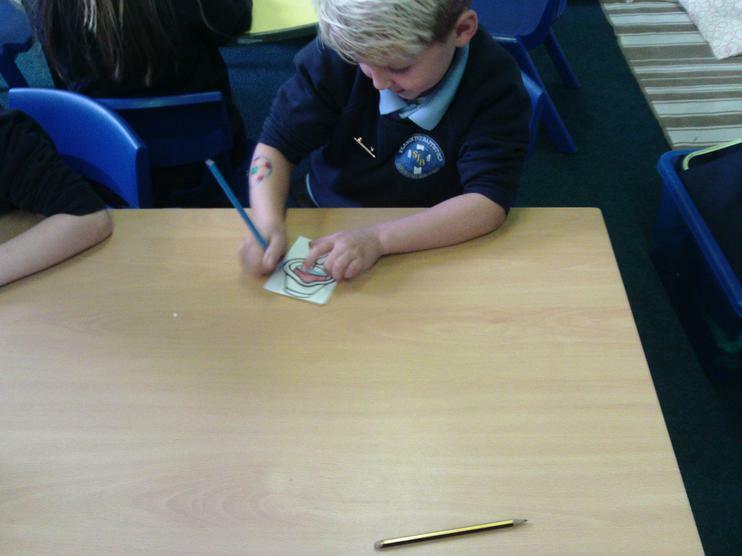 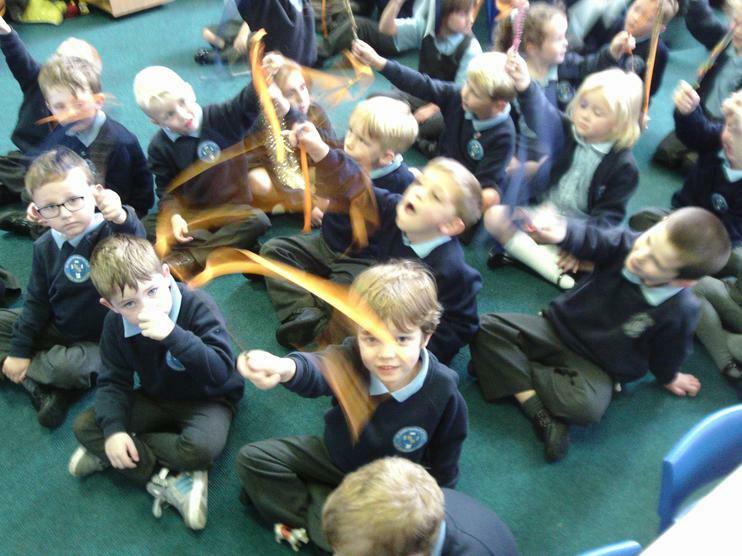 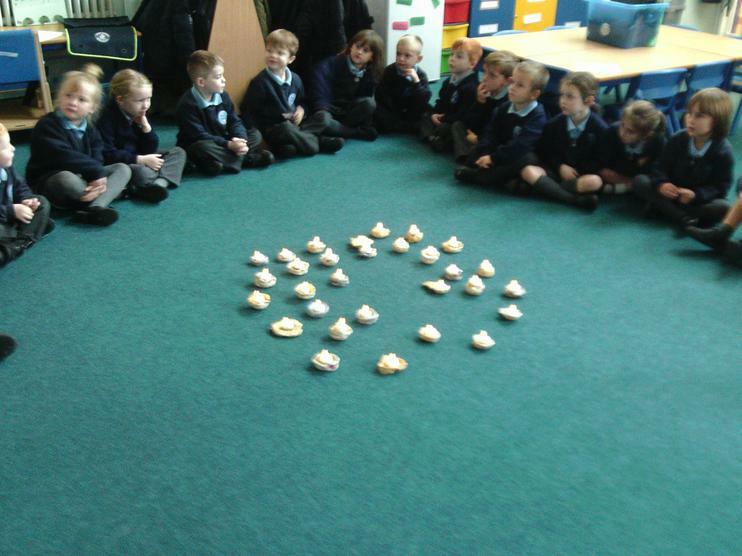 Diwali in Year 1. 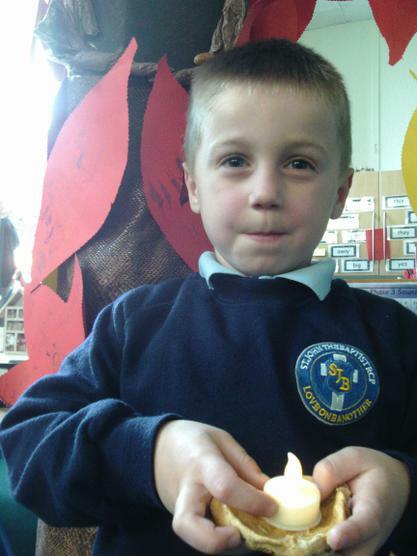 Making Diva lamps and praying around them too. 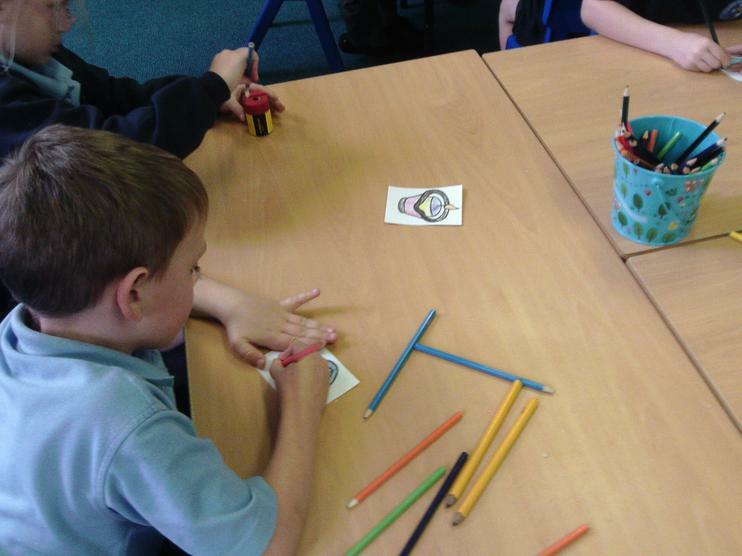 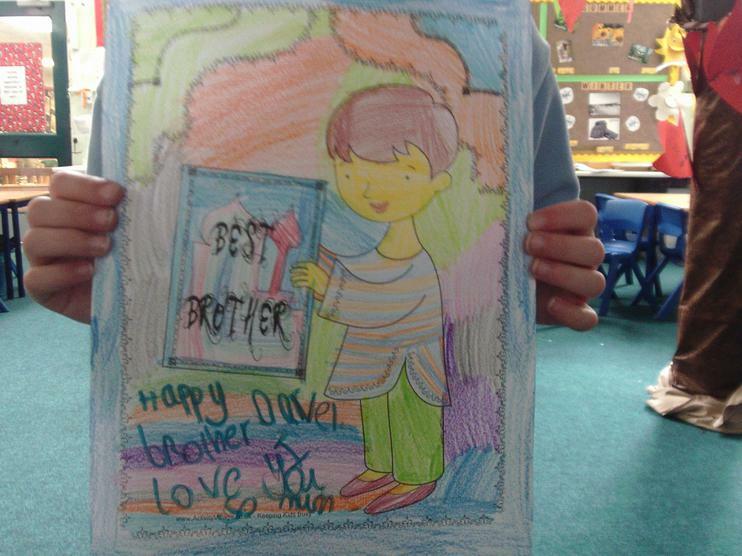 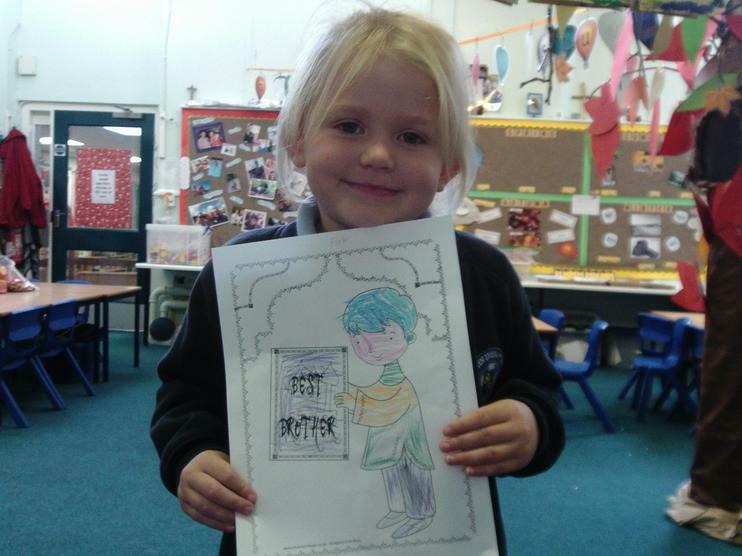 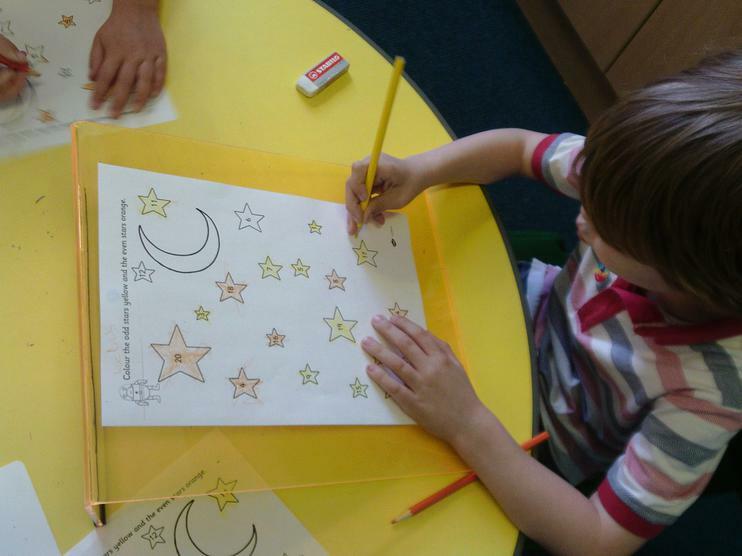 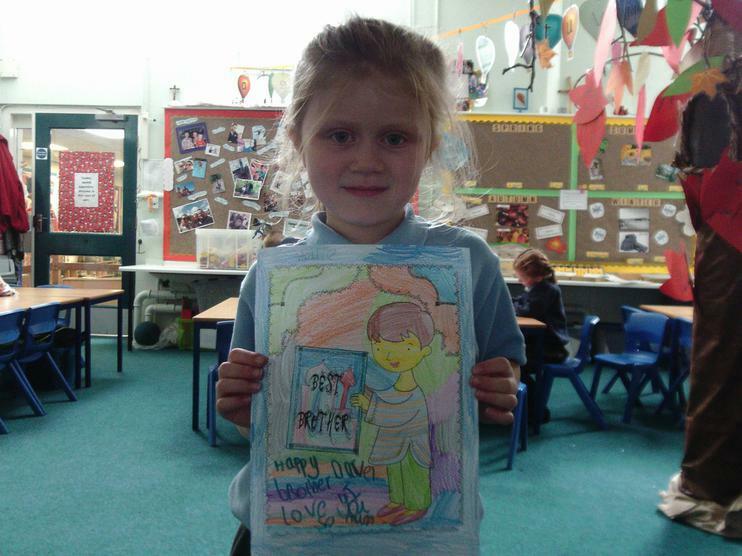 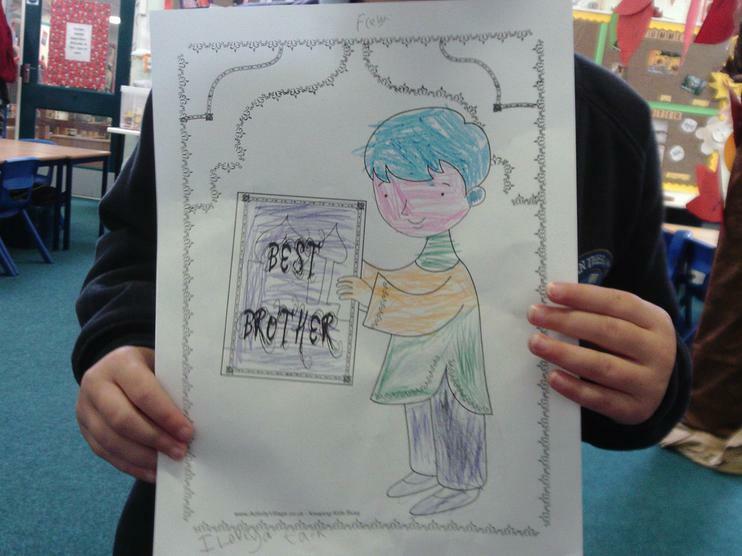 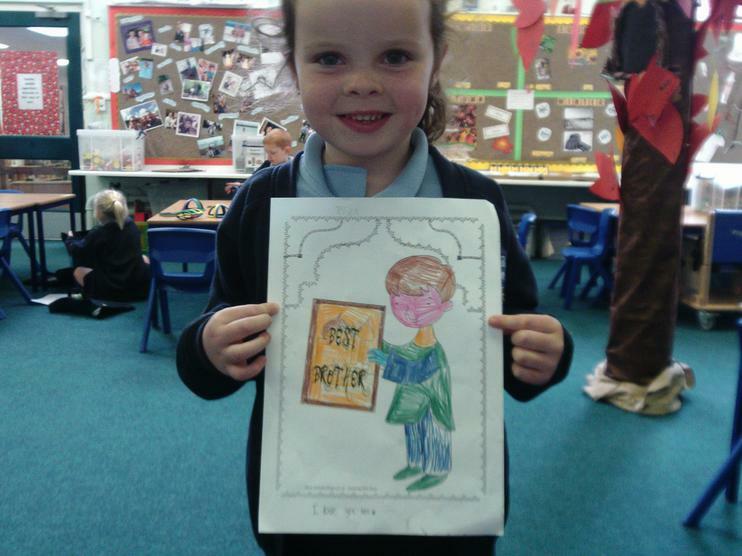 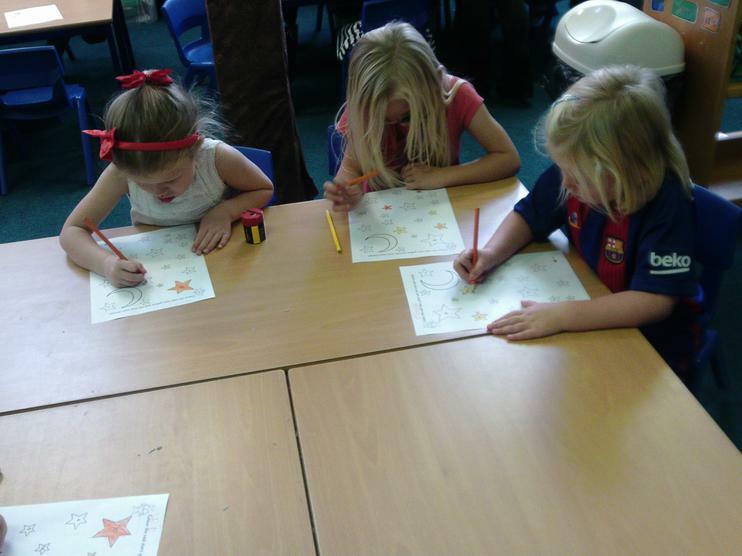 Colouring pictures for brothers and sisters and designing lamps for our classroom door. 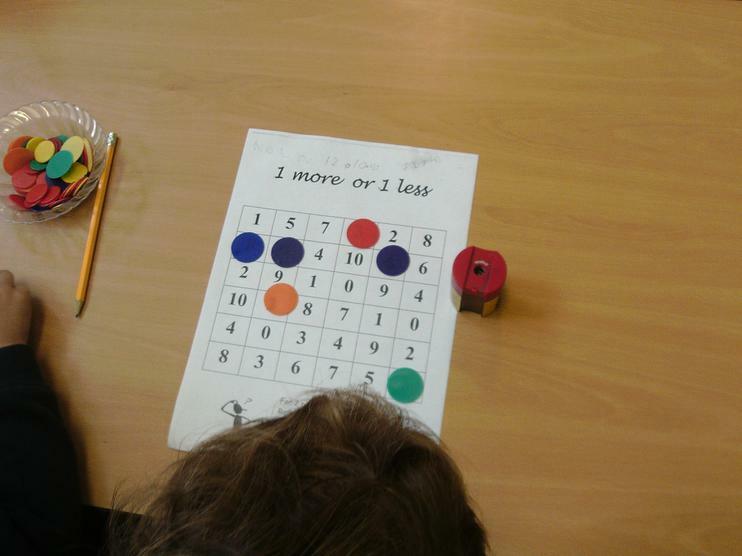 Playing More or Less Bingo. 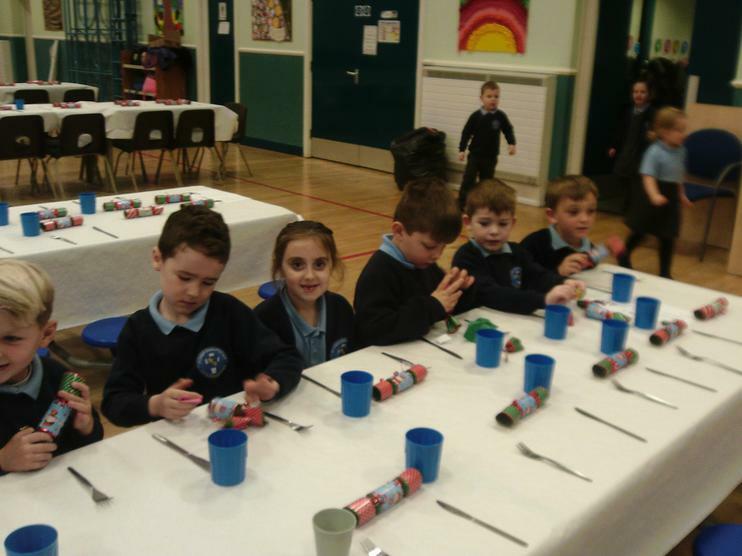 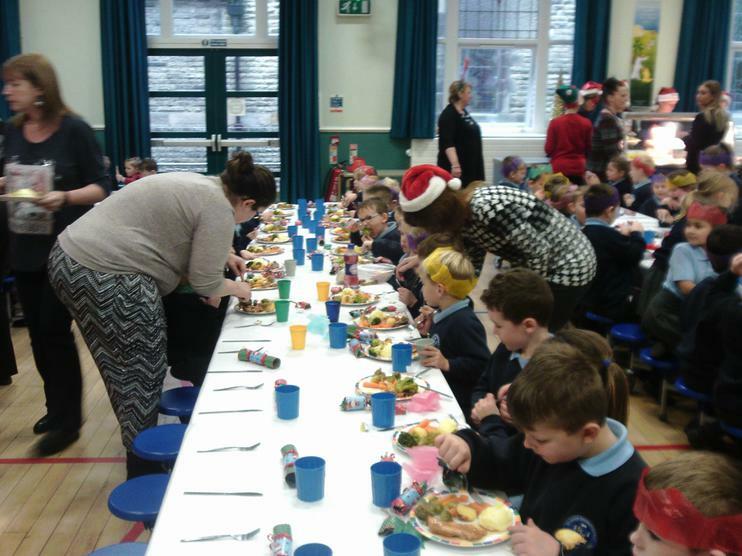 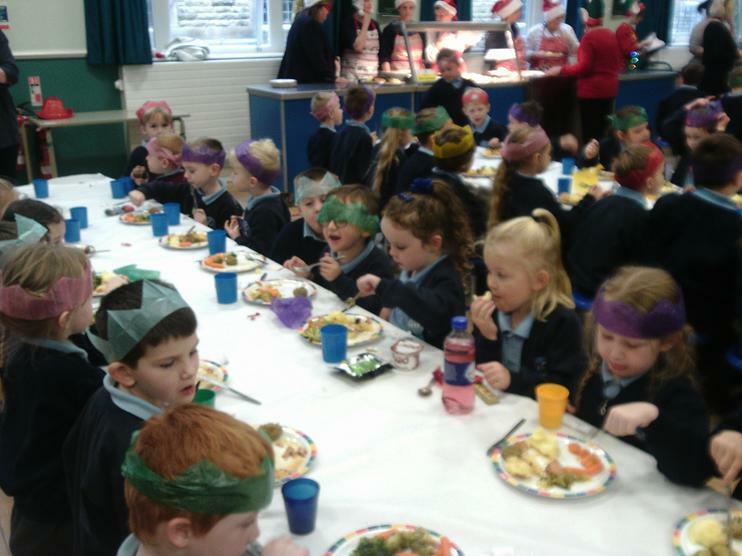 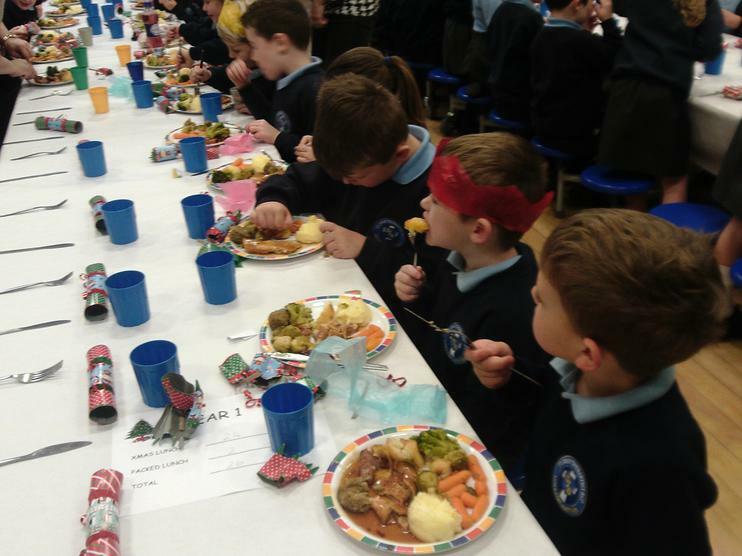 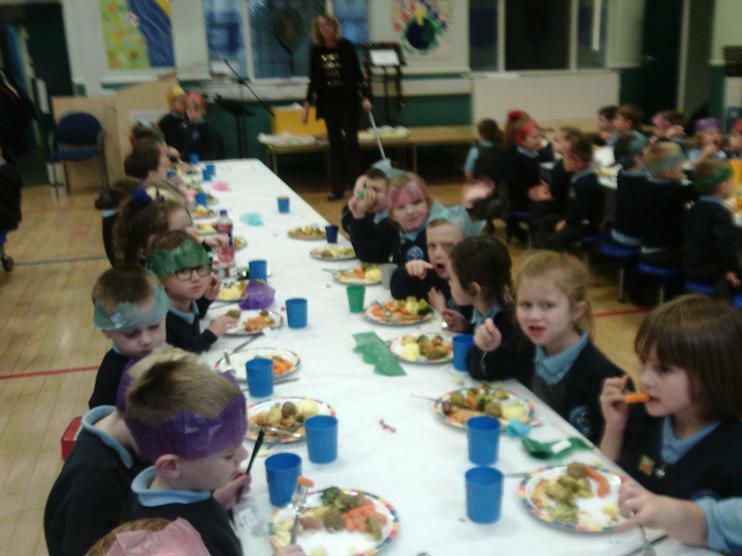 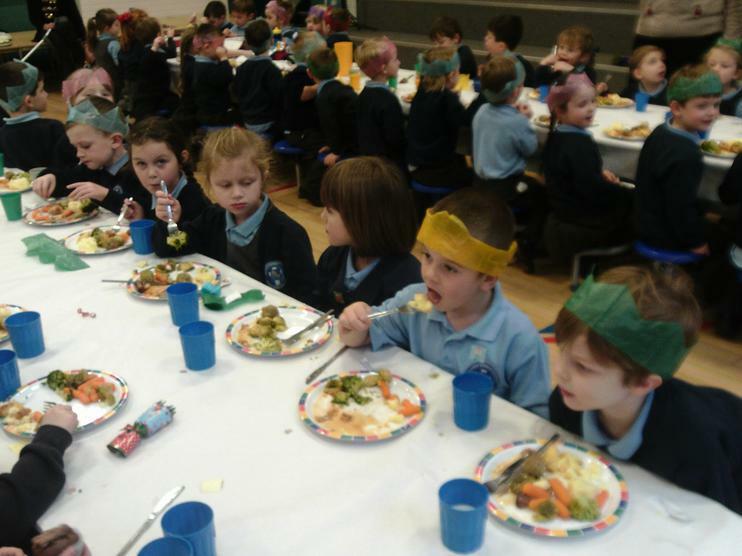 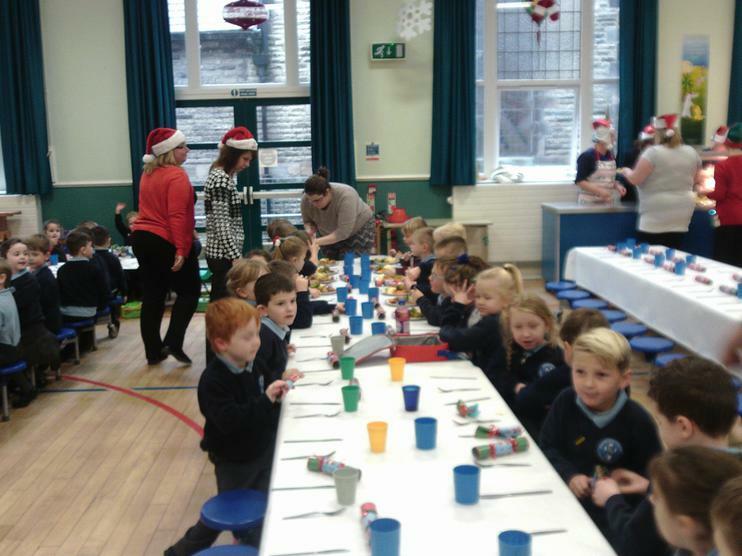 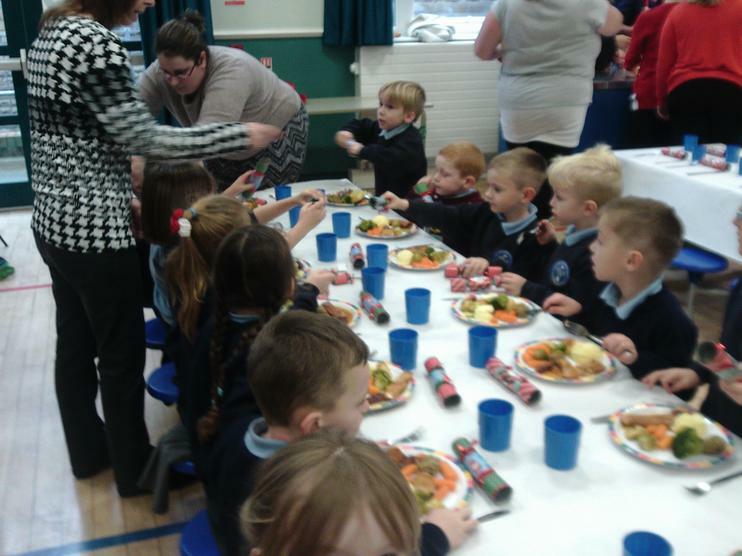 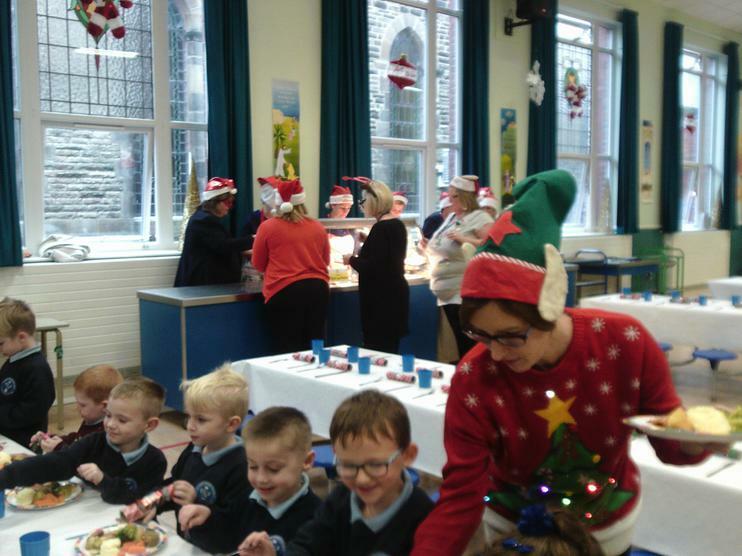 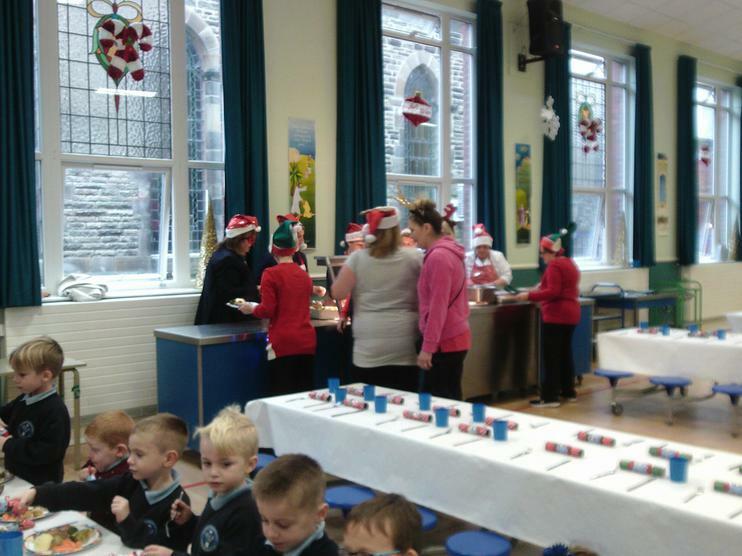 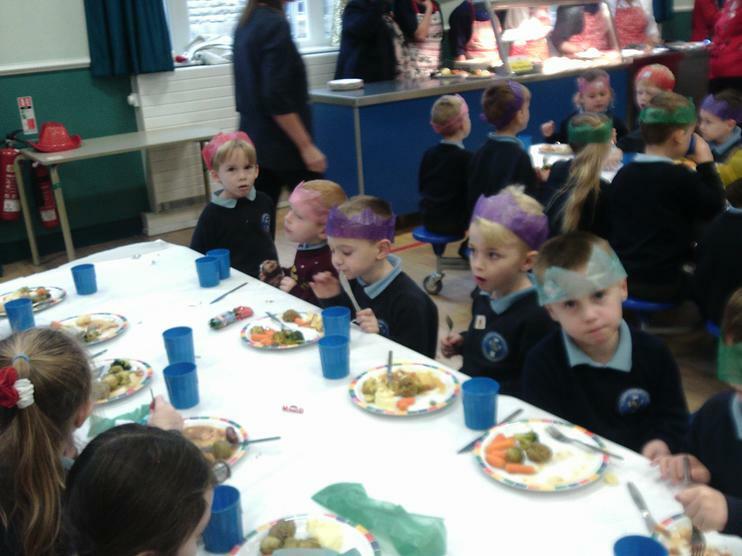 Celebrating Christmas with our St John's Family. 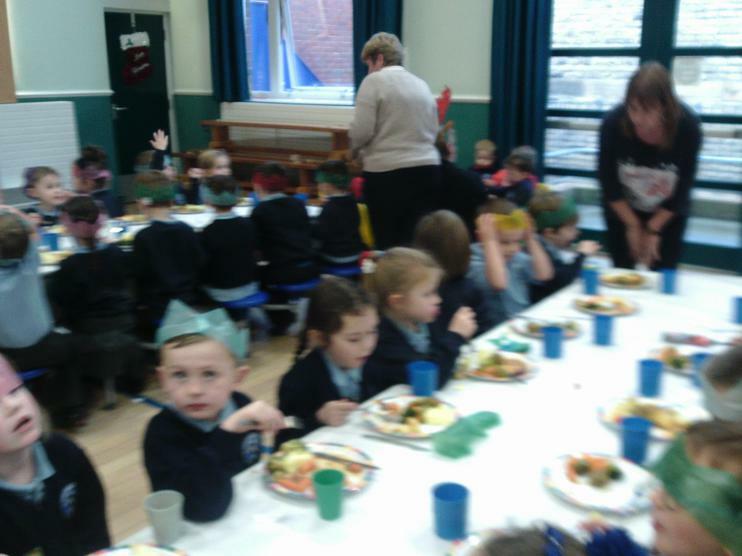 It was a lovely lunch. 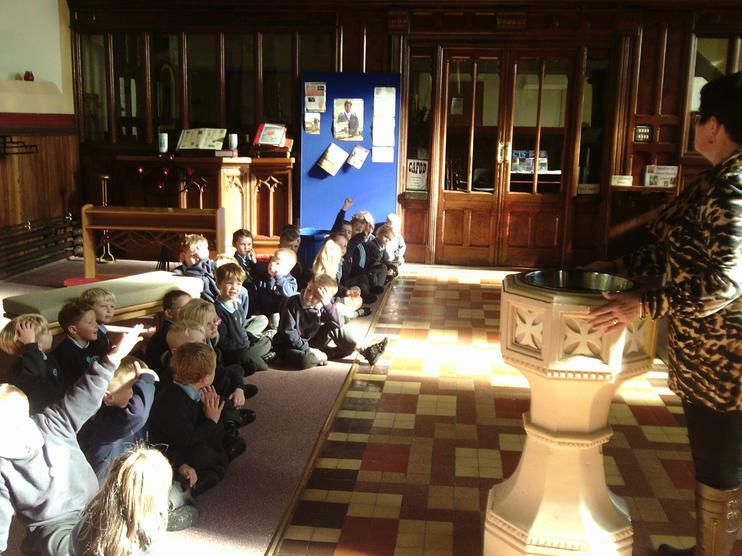 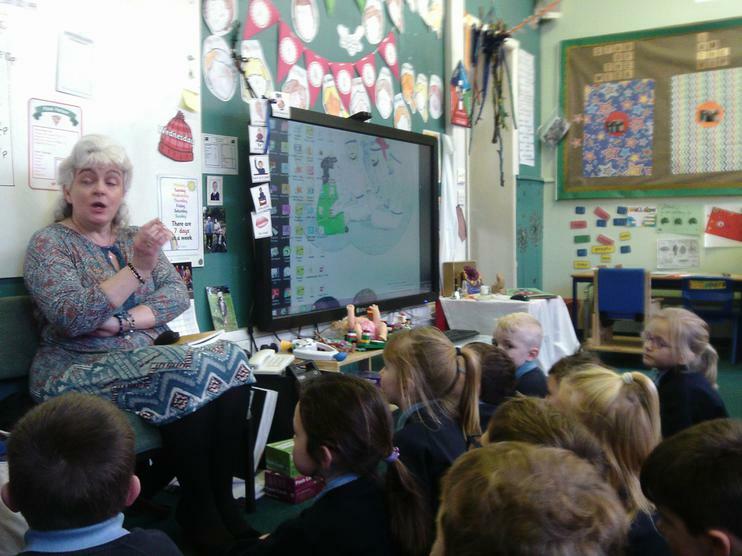 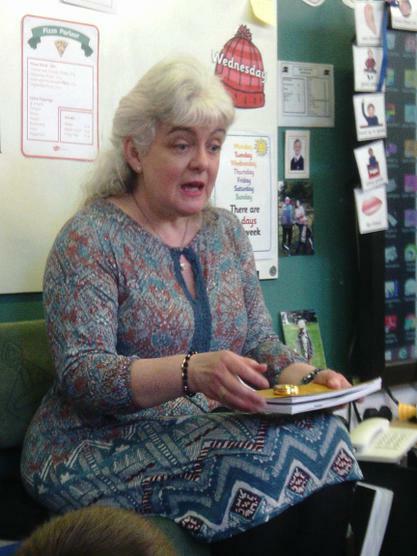 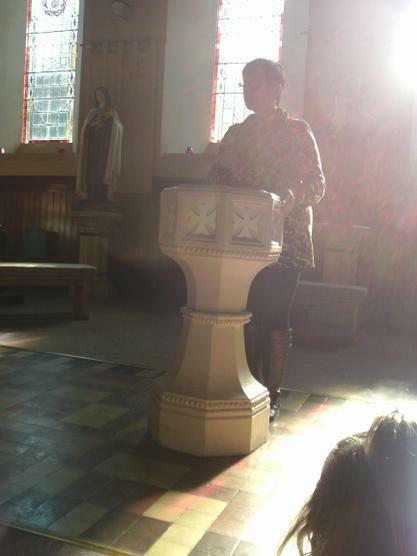 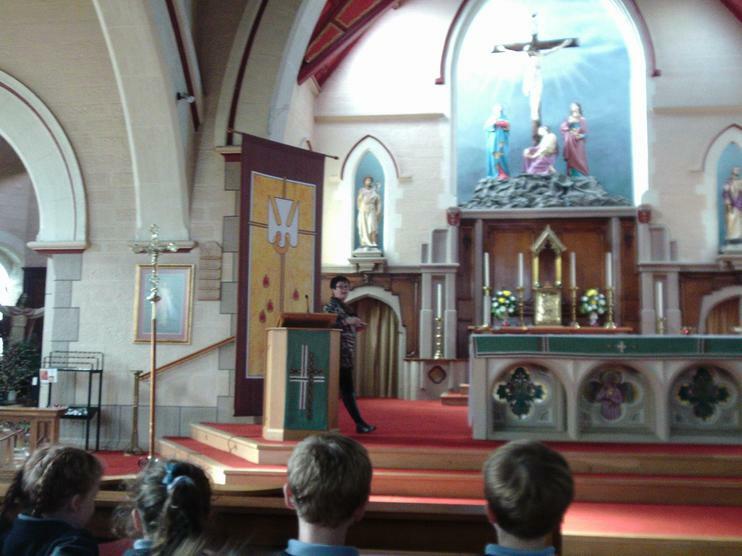 Our Friend Mrs Schofield came to speak to us about her special job as a Eucharistic Minister. 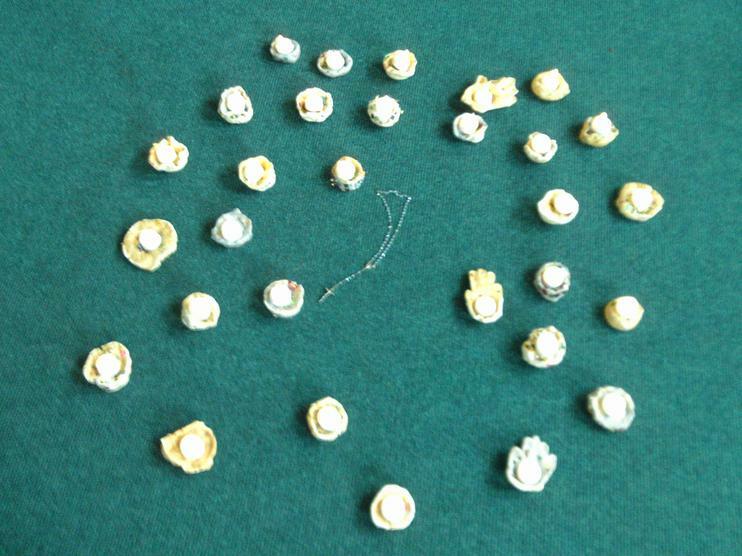 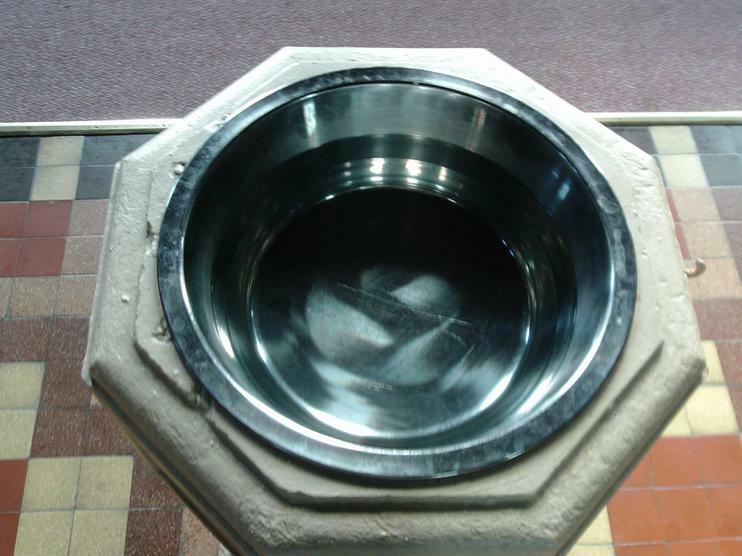 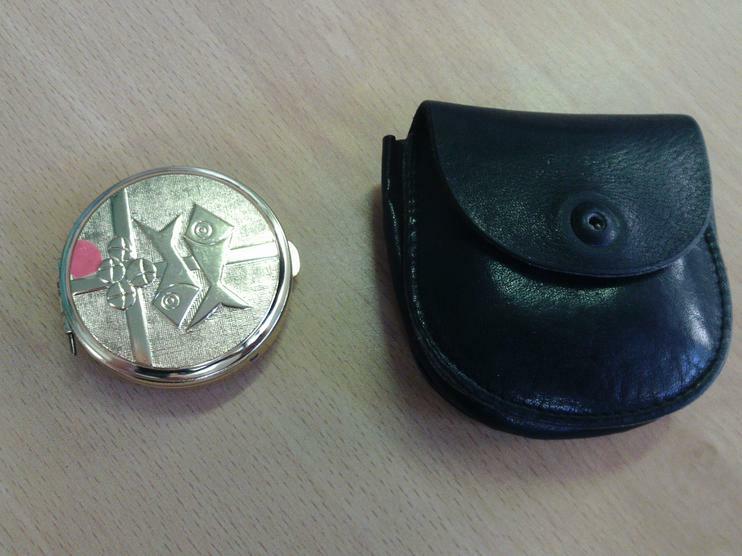 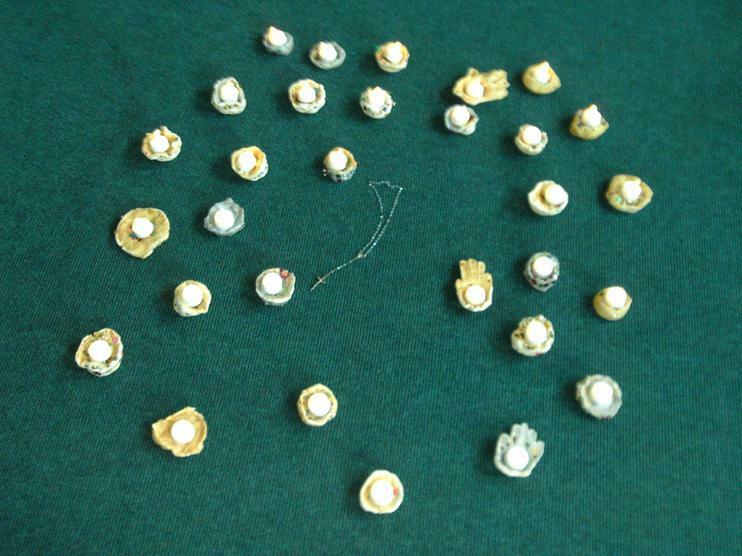 Do you know what a Pyx is? 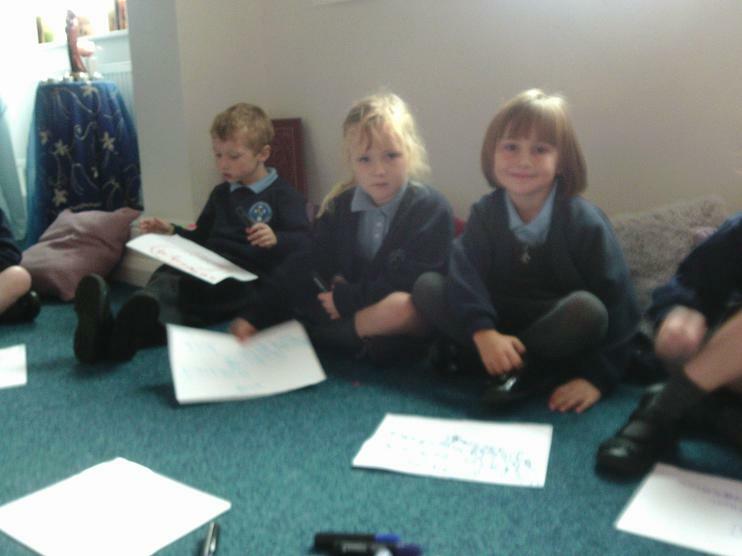 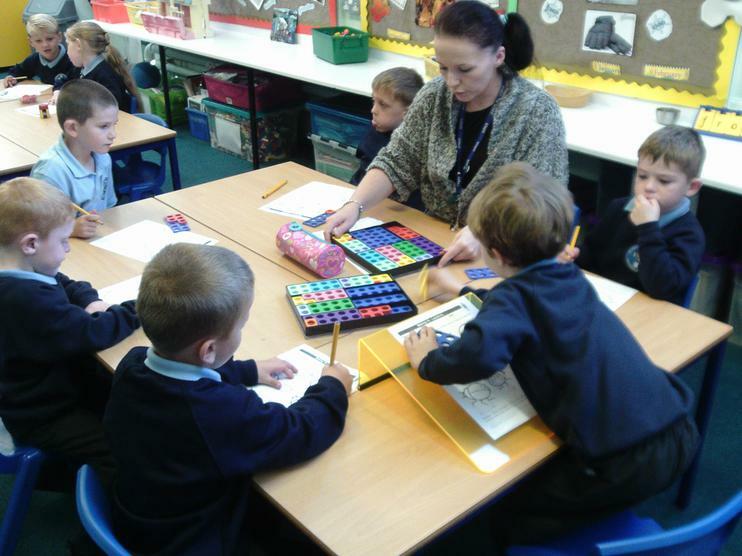 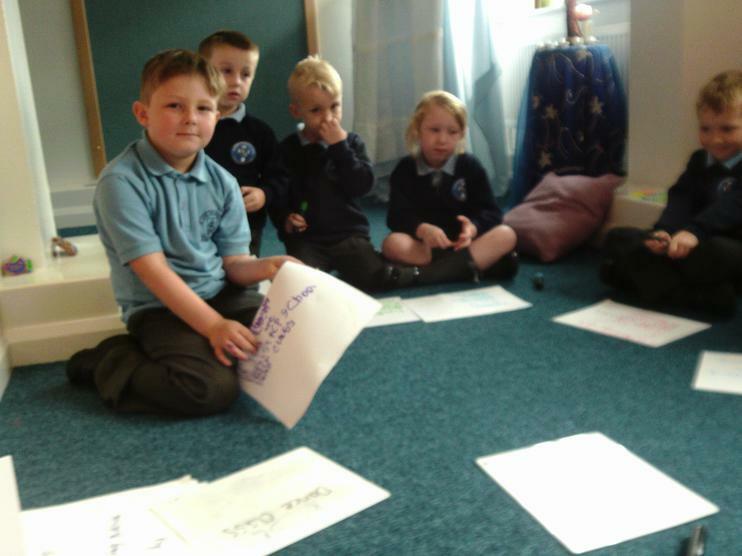 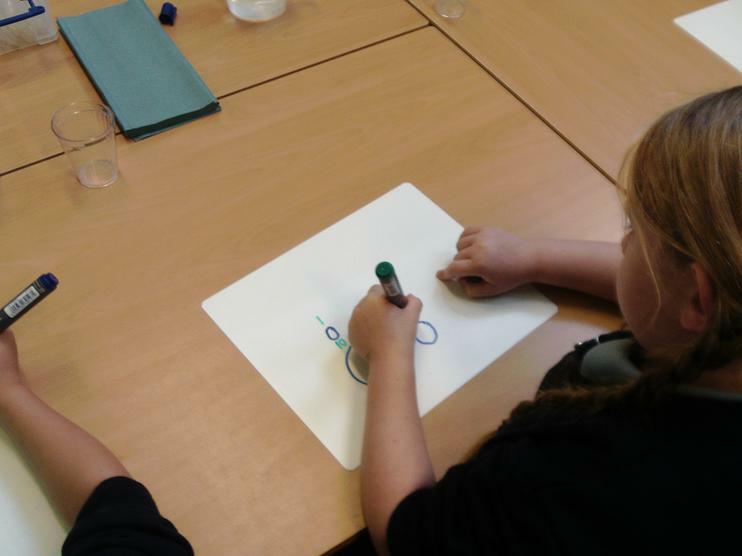 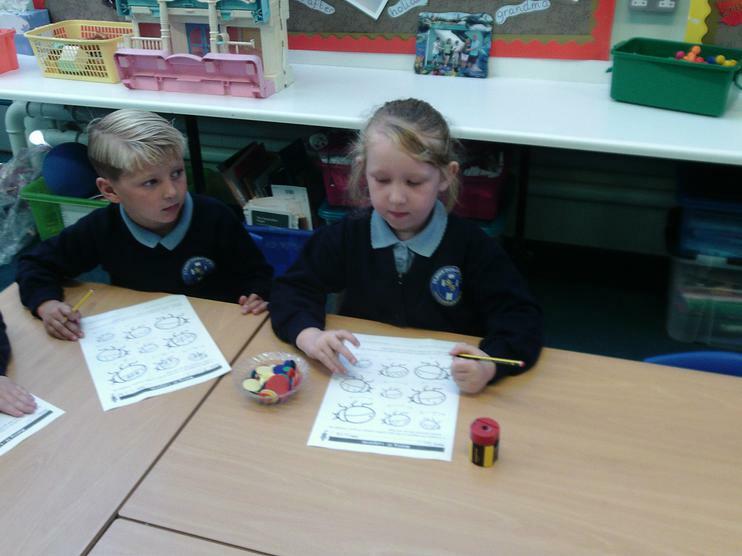 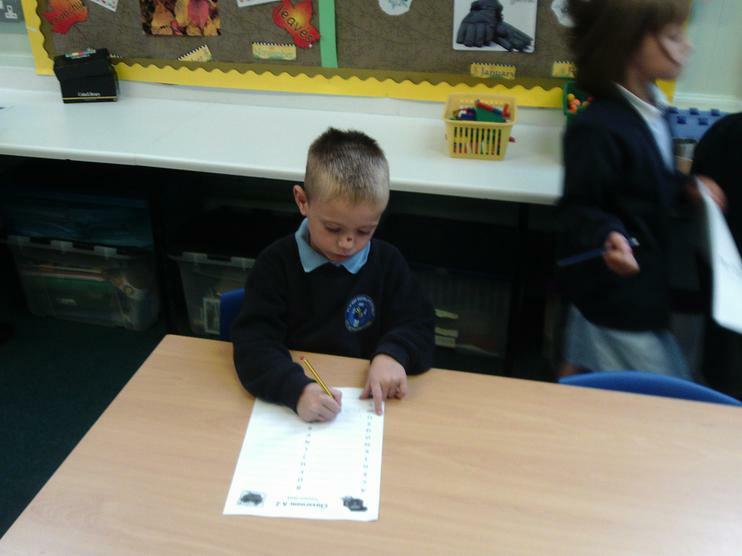 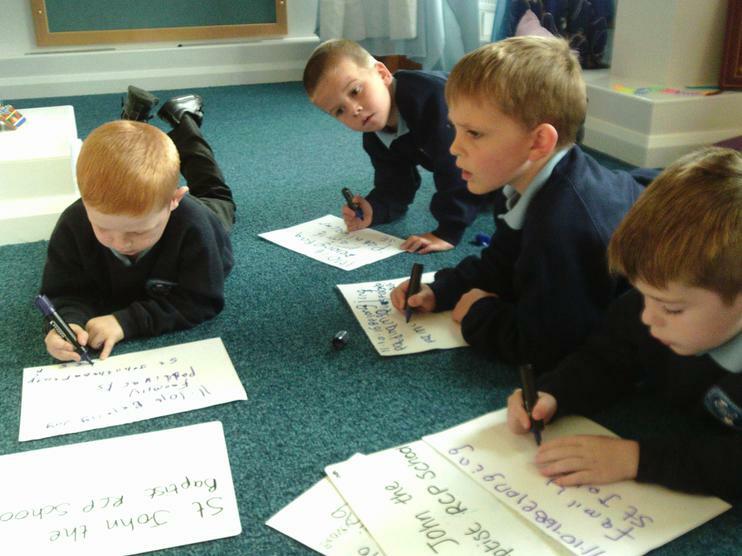 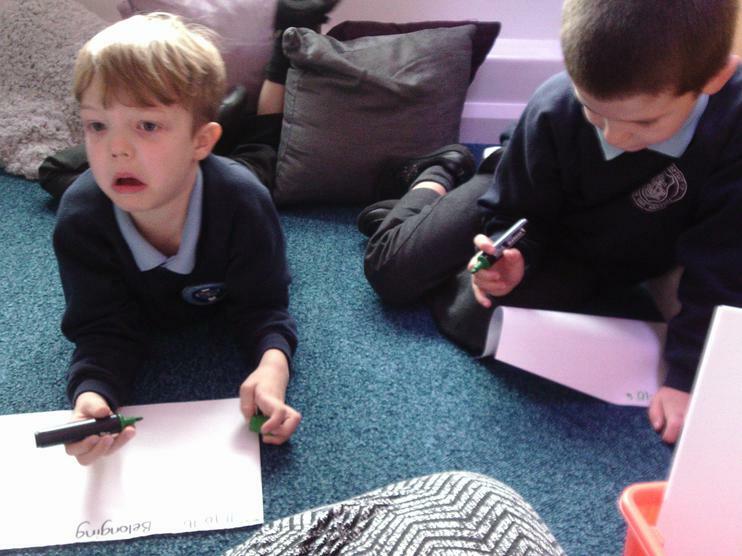 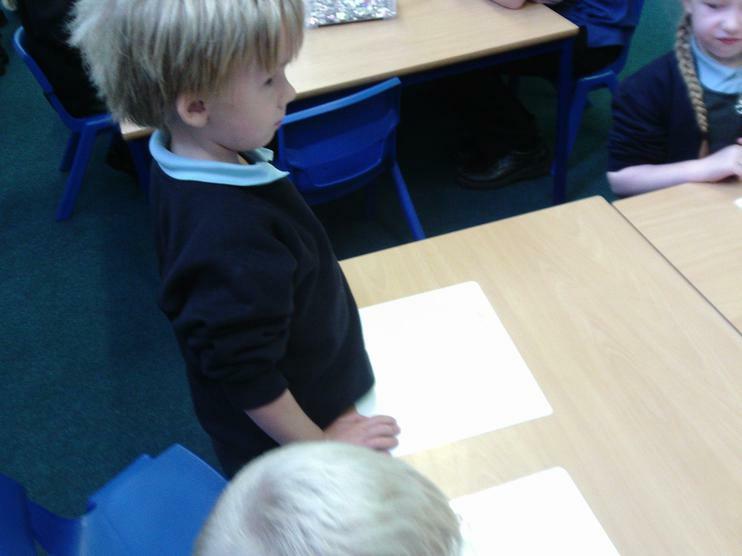 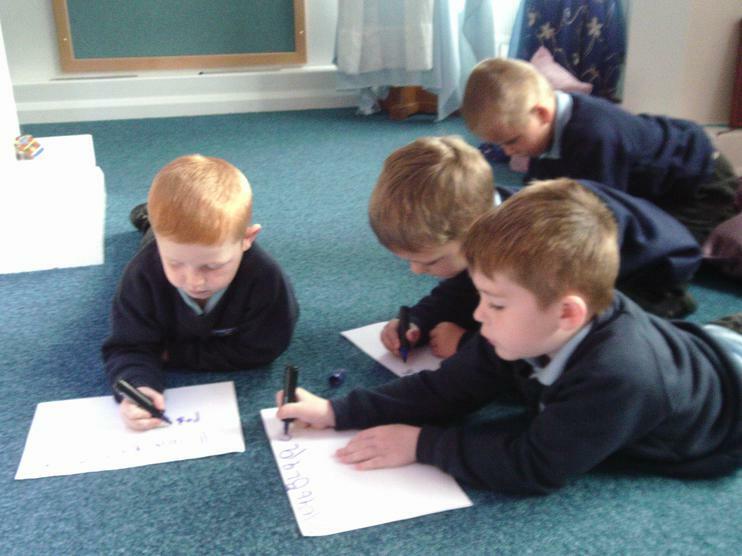 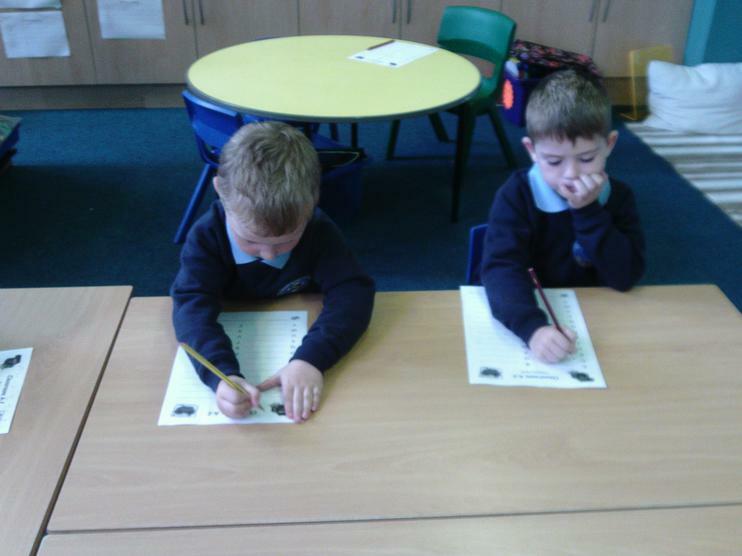 Miss Bradley taught us how to write instructions. 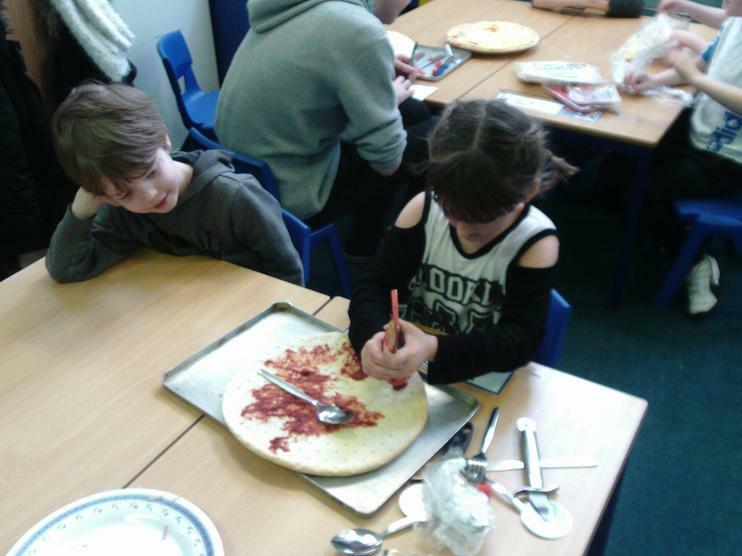 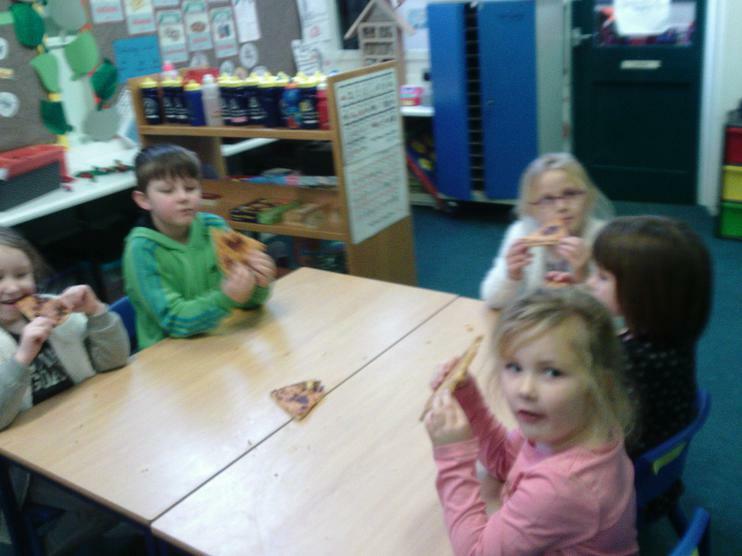 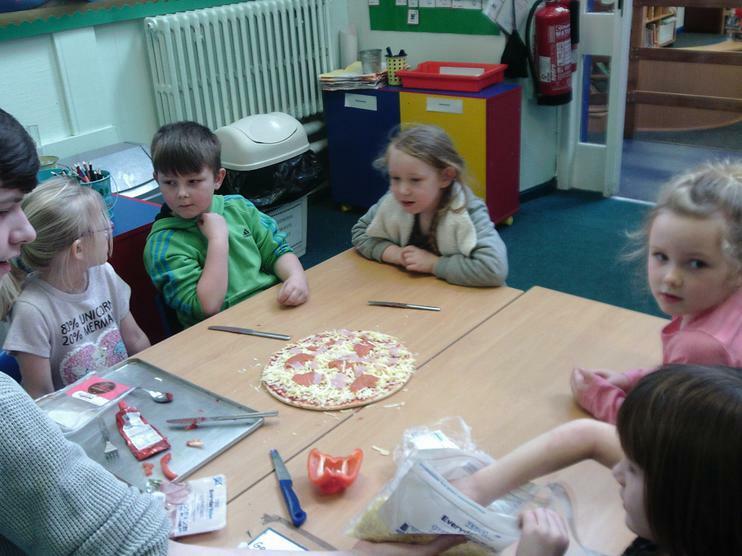 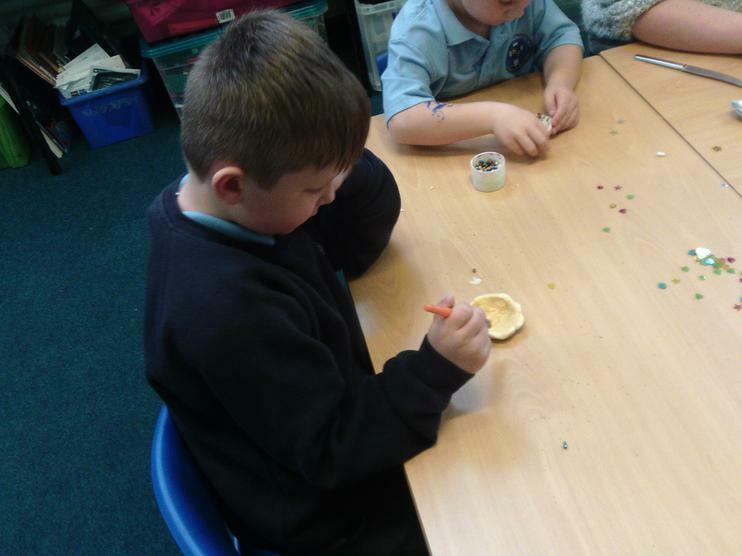 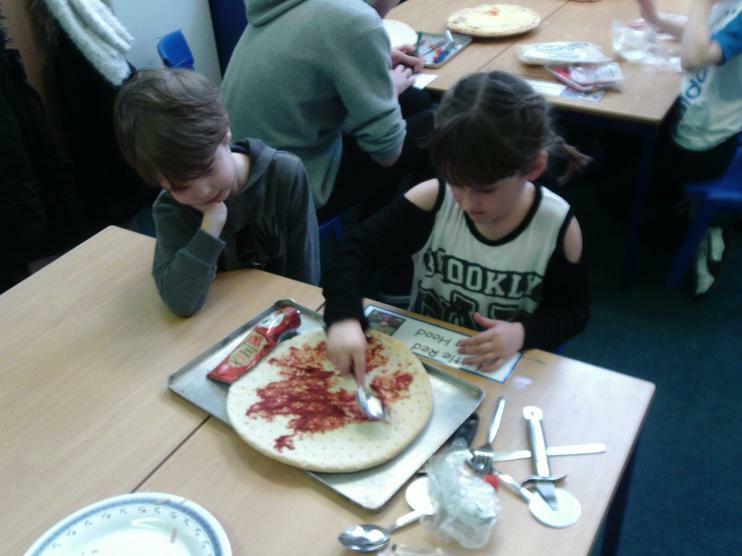 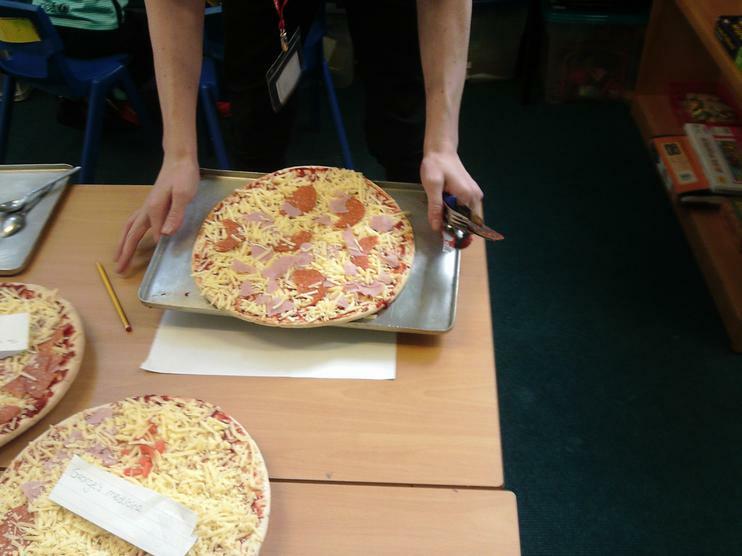 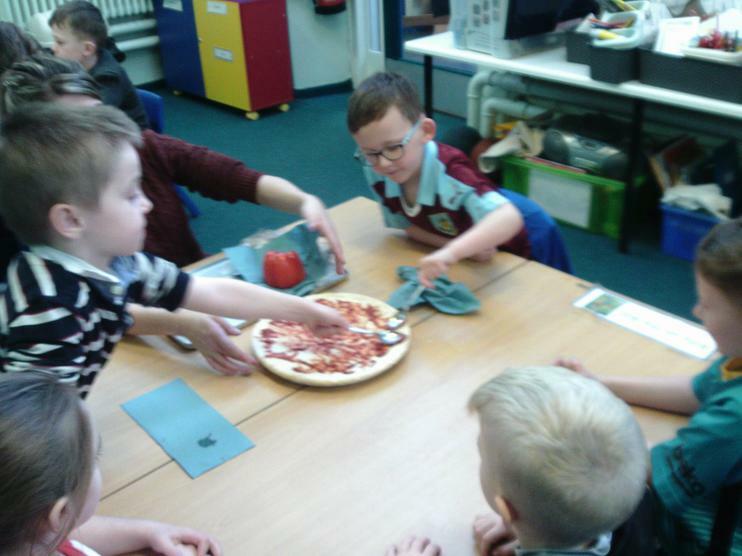 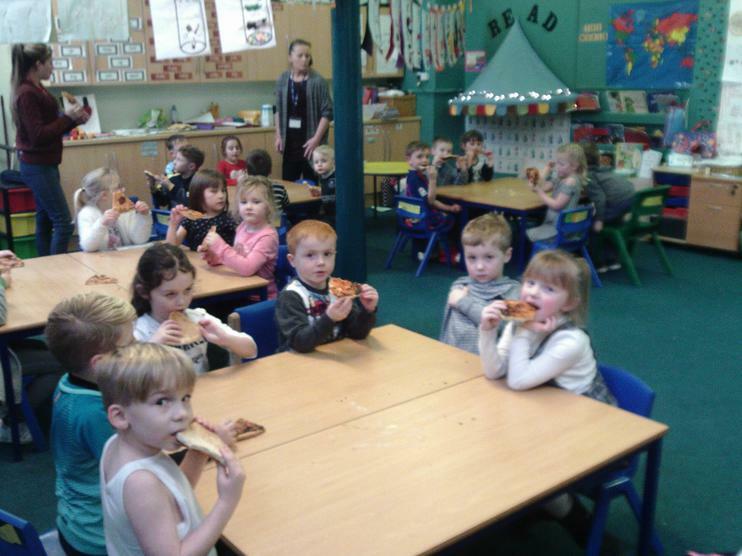 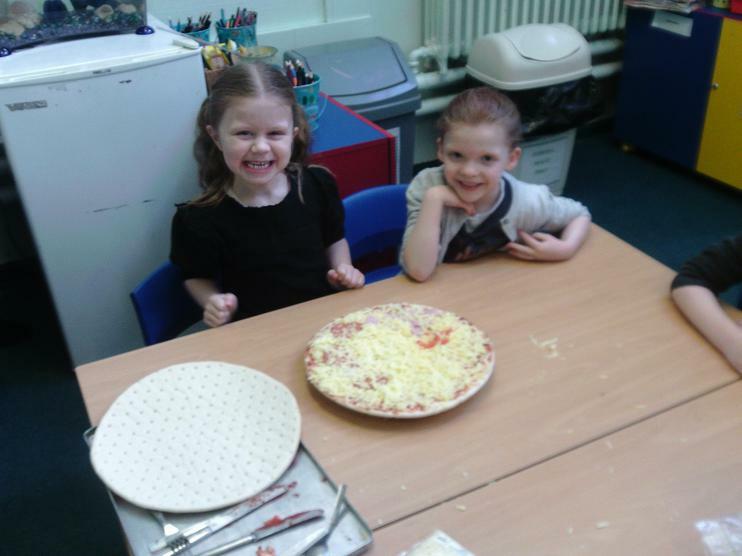 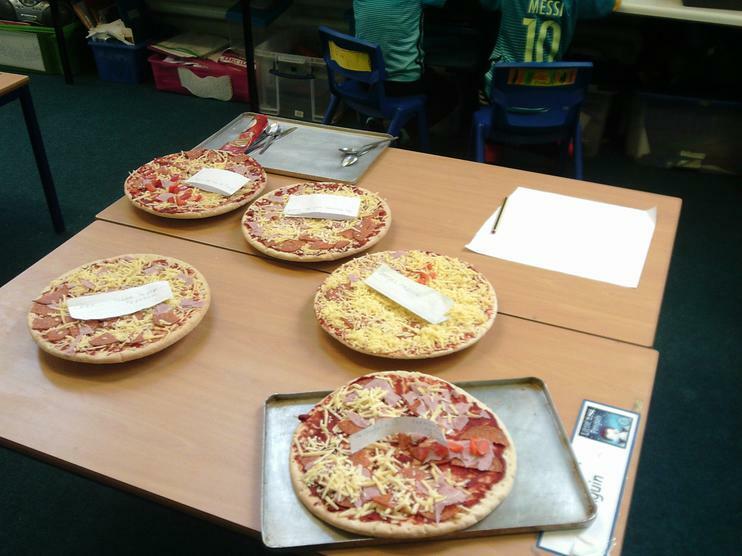 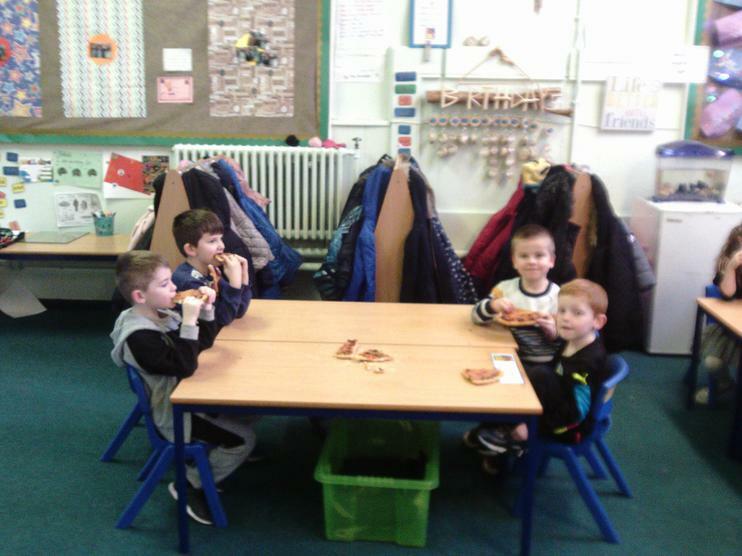 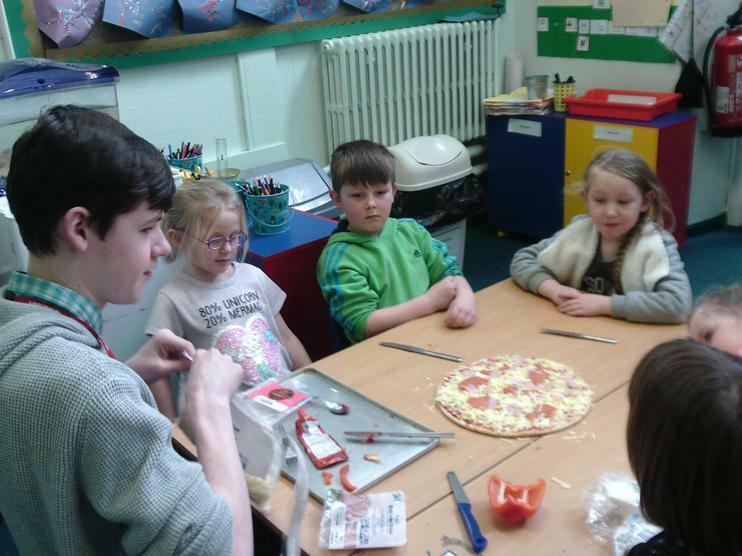 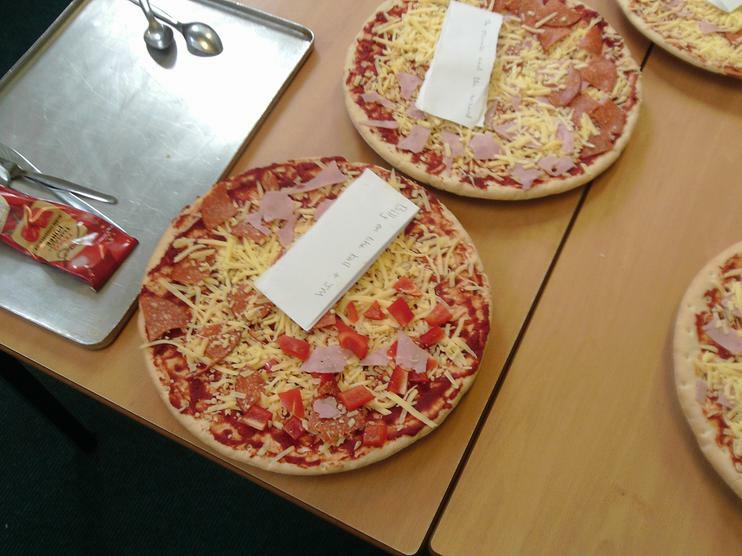 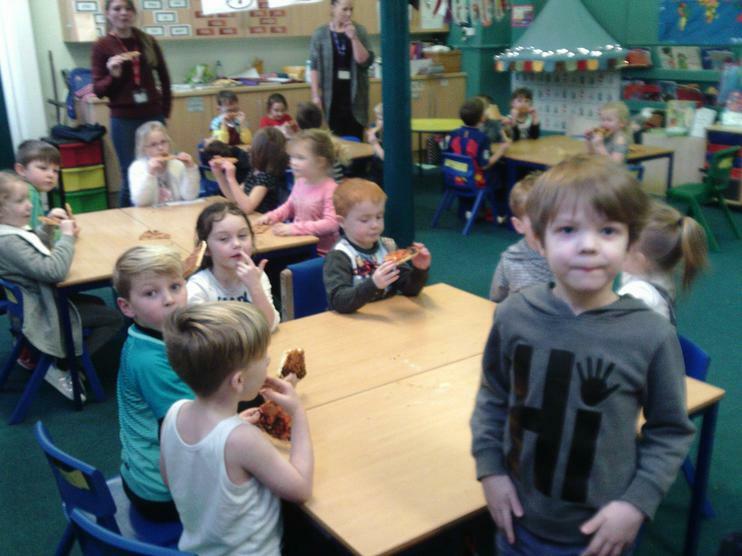 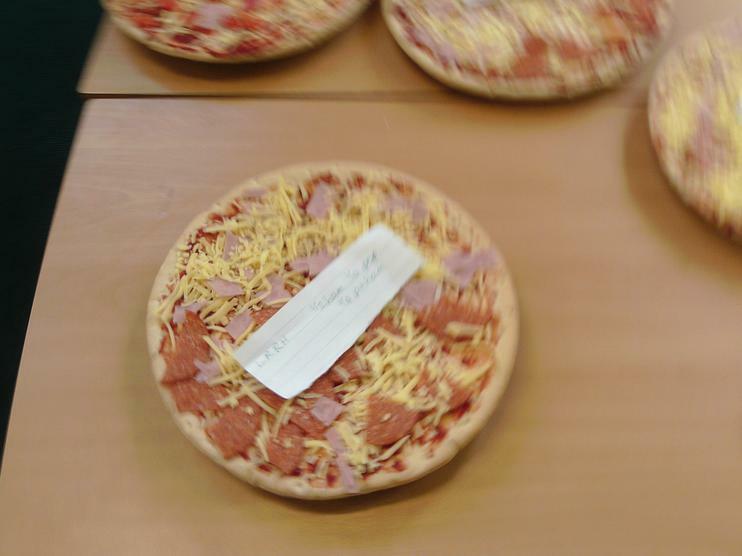 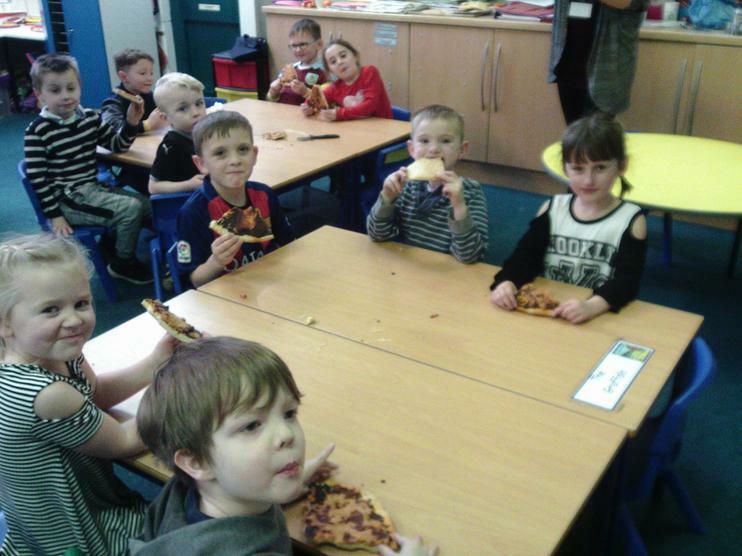 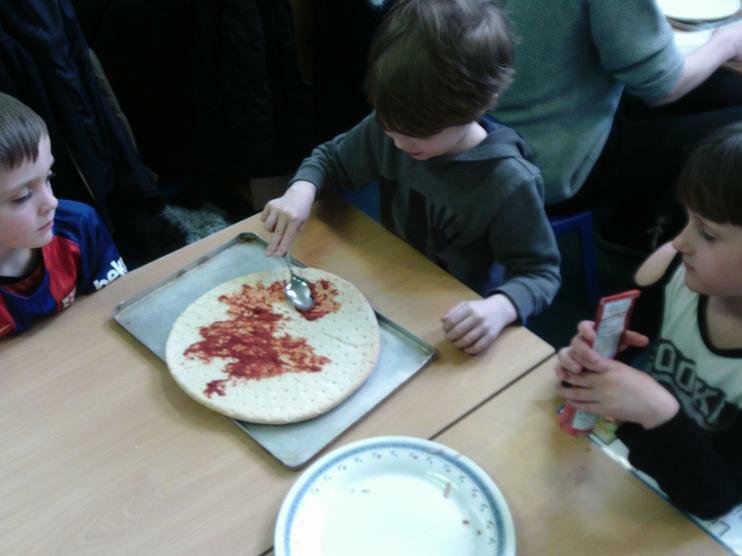 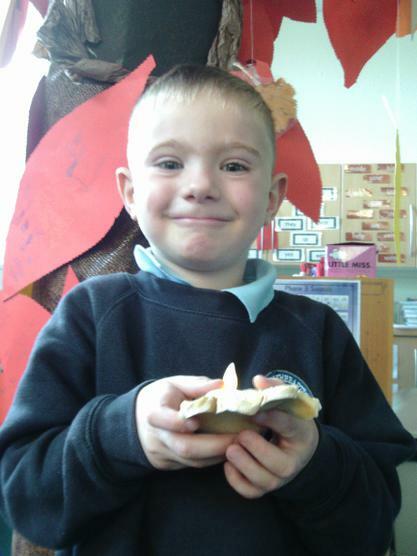 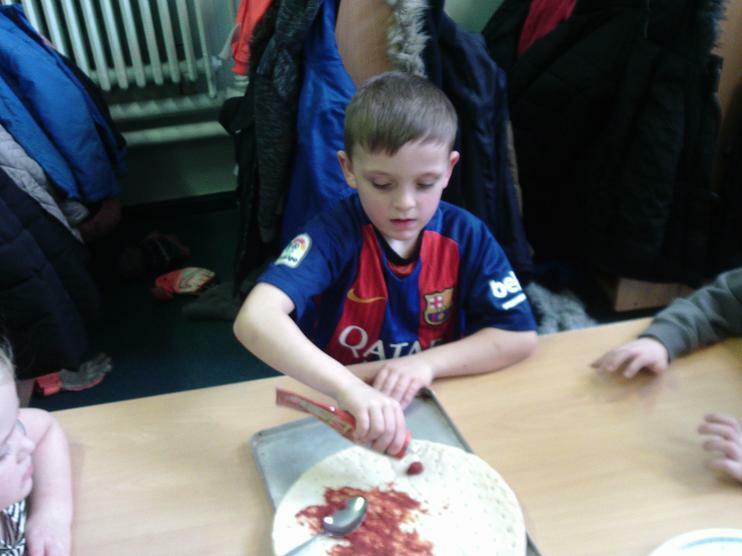 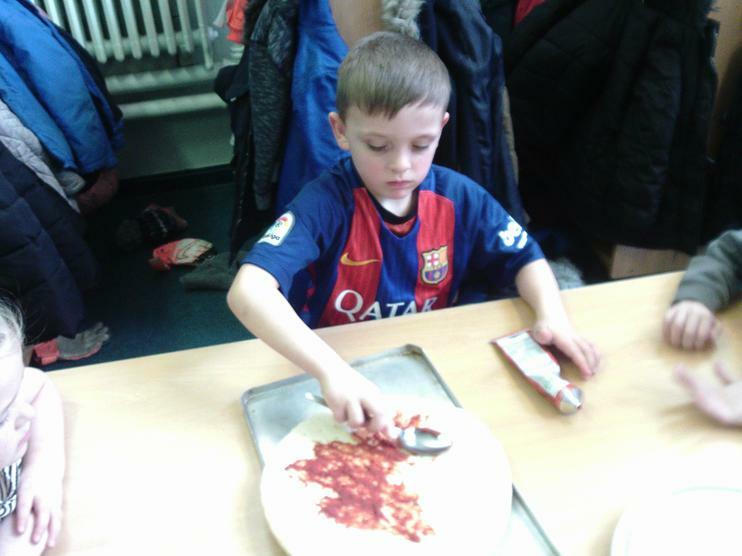 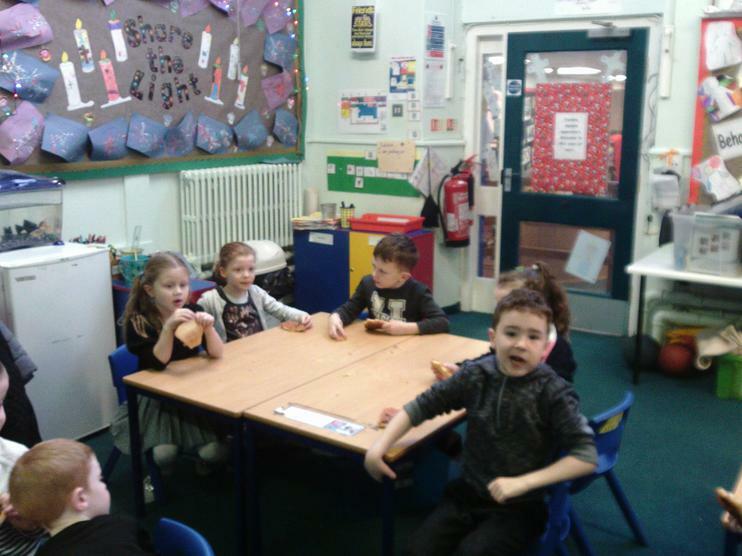 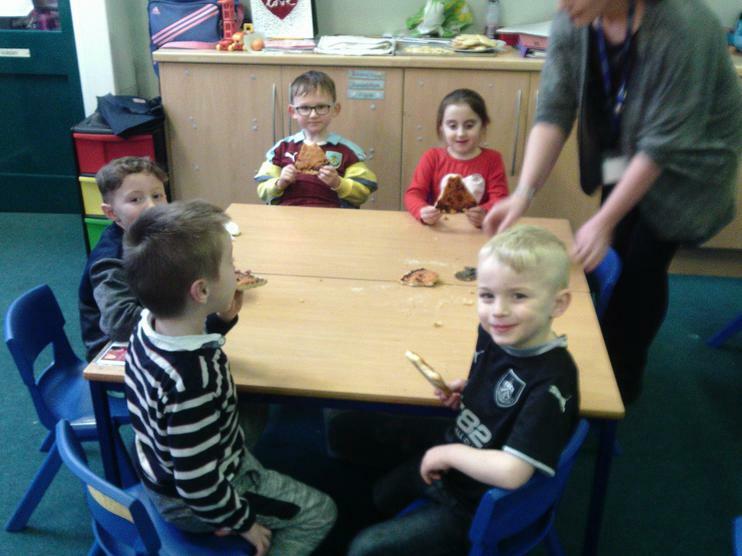 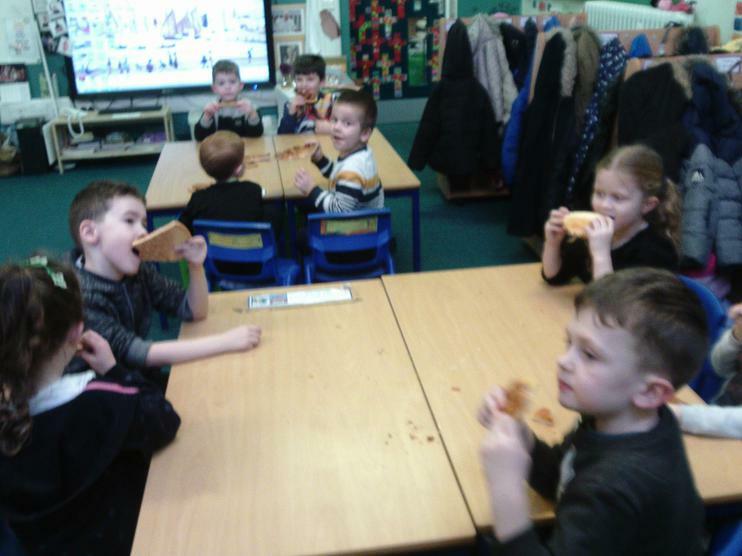 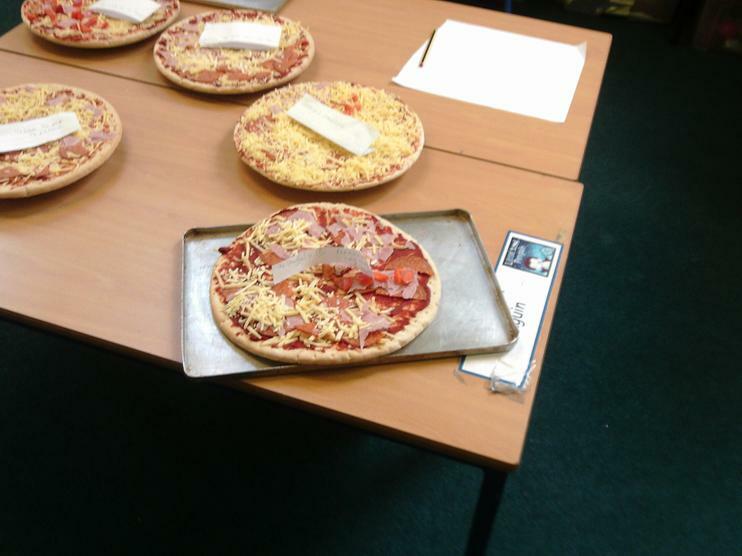 On Friday we followed our own instructions and made pizzas! 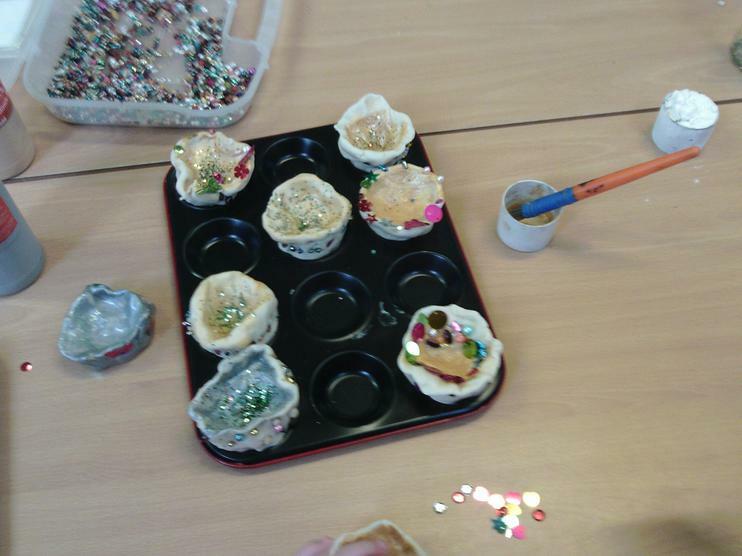 Unfortunately Mrs Clough left them in the oven slightly too long....but we still enjoyed them!